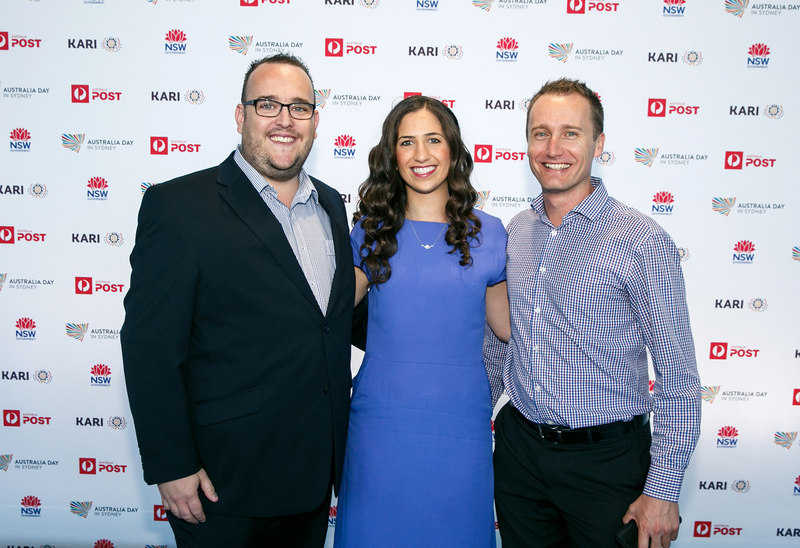 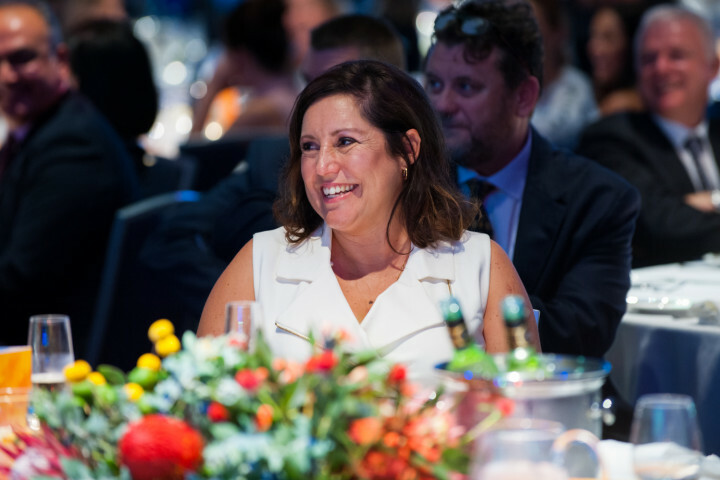 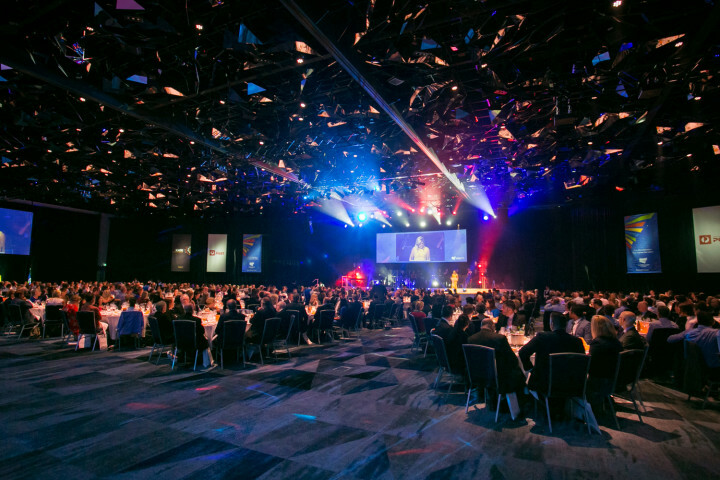 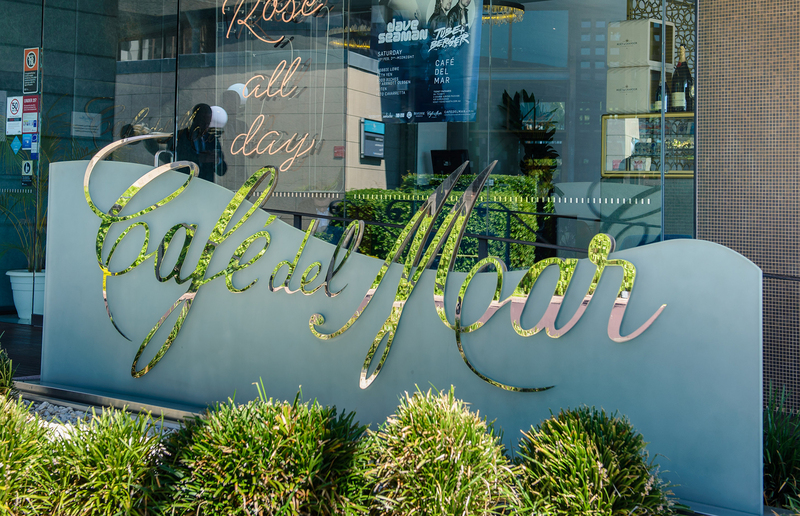 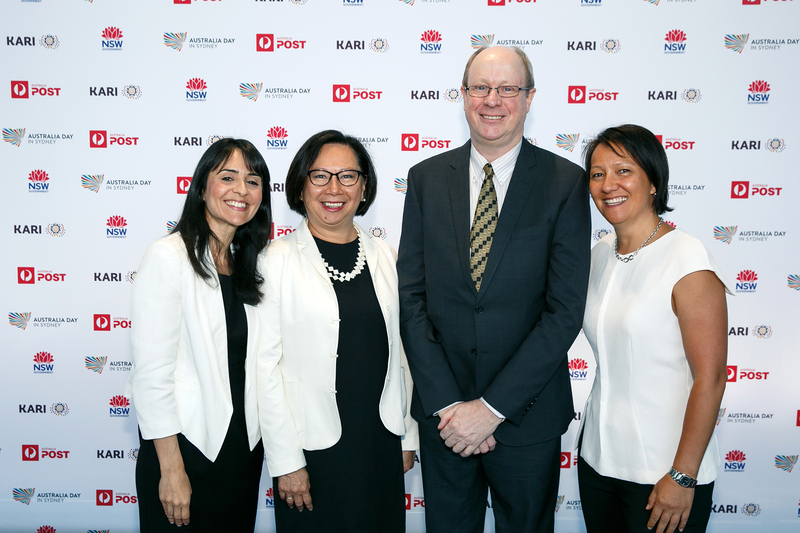 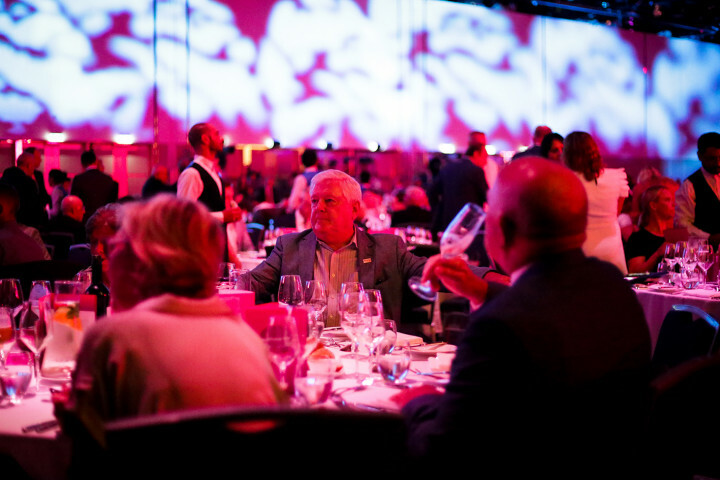 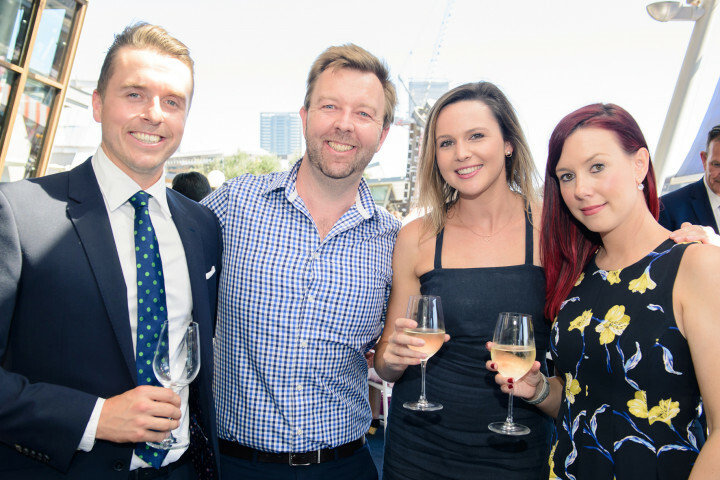 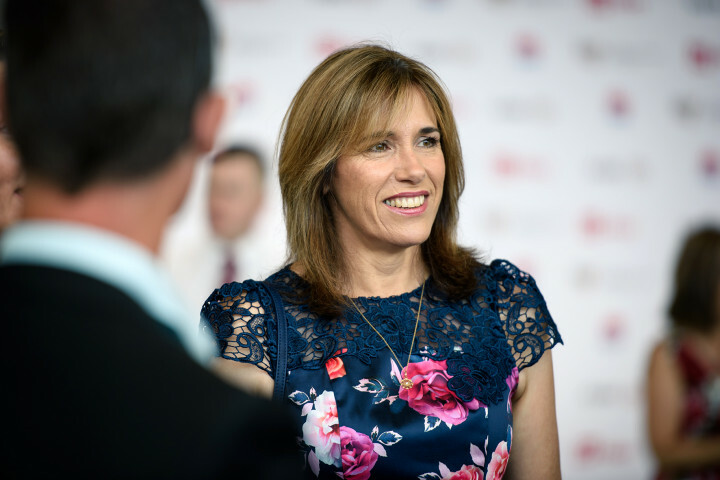 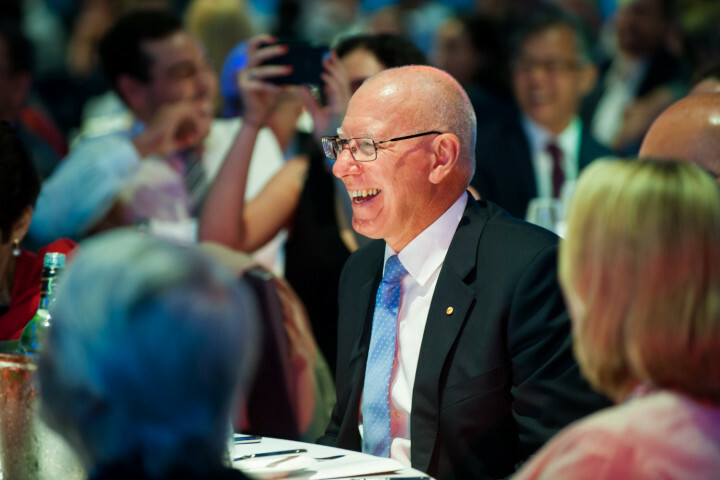 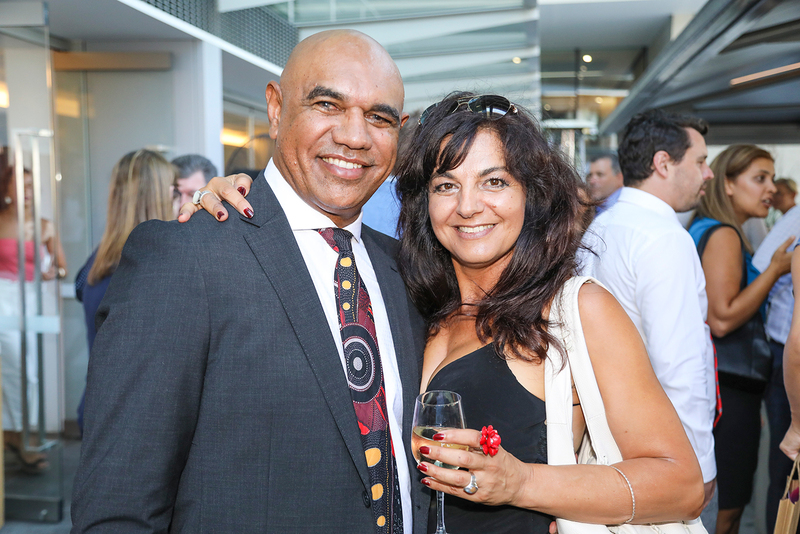 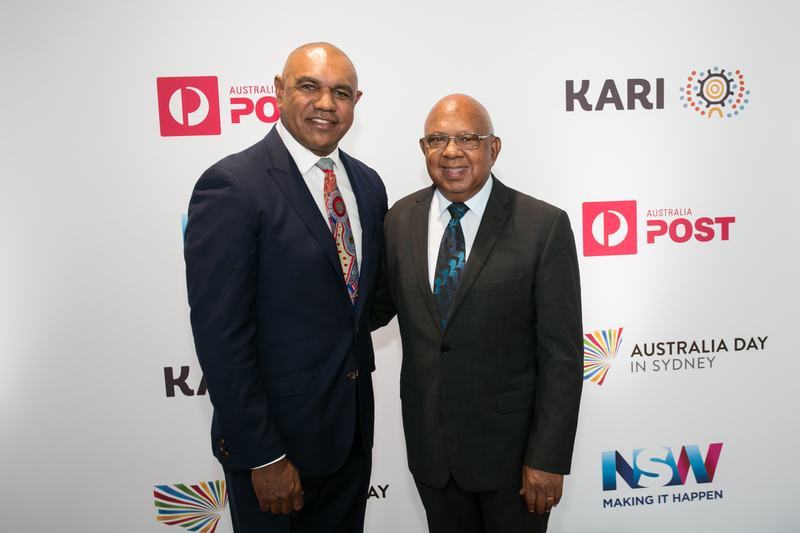 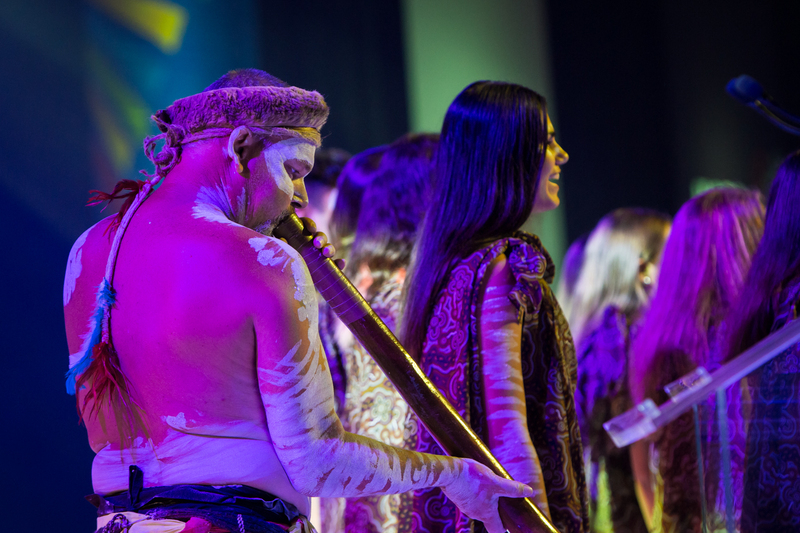 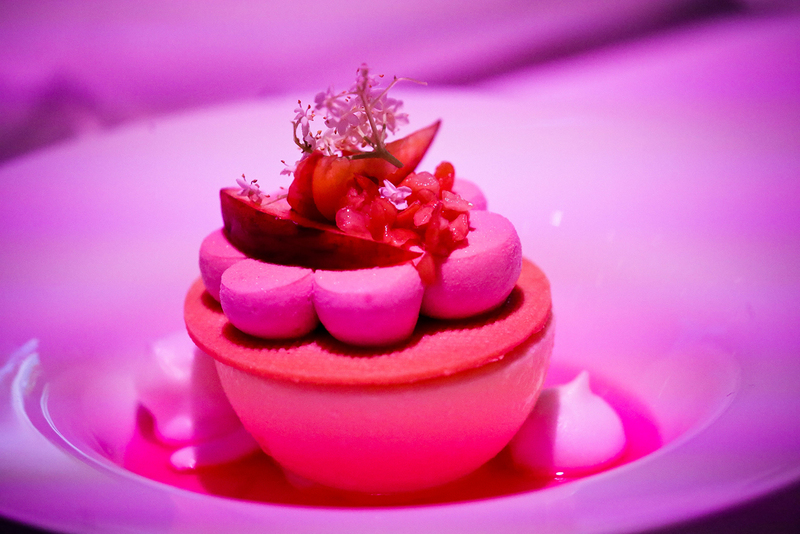 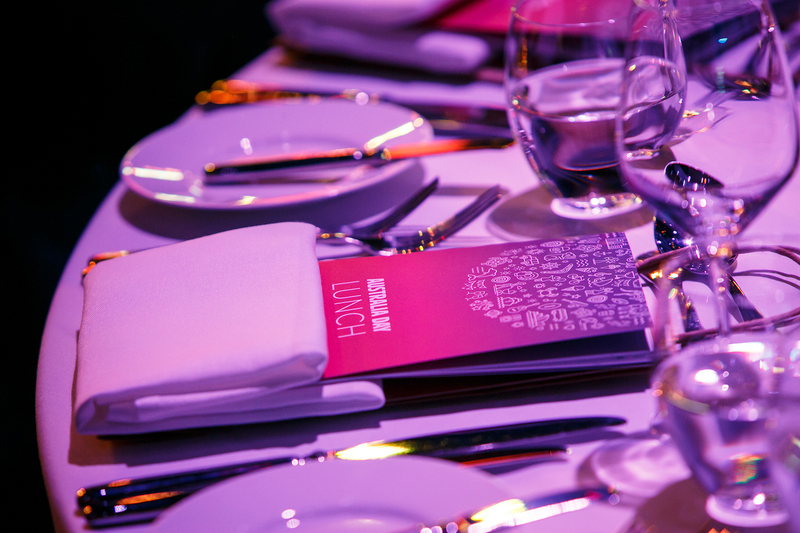 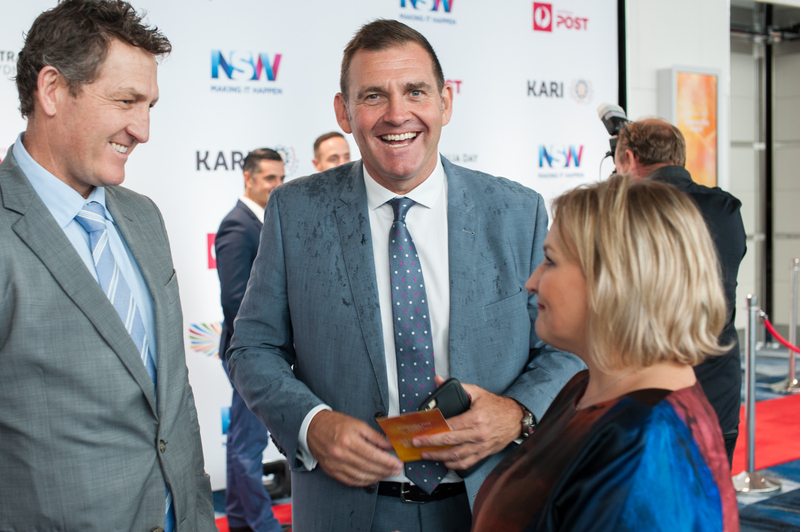 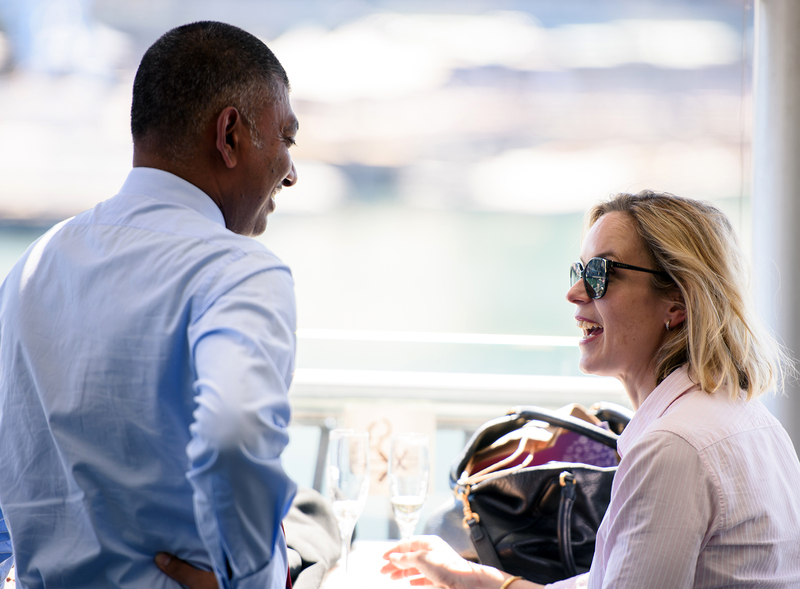 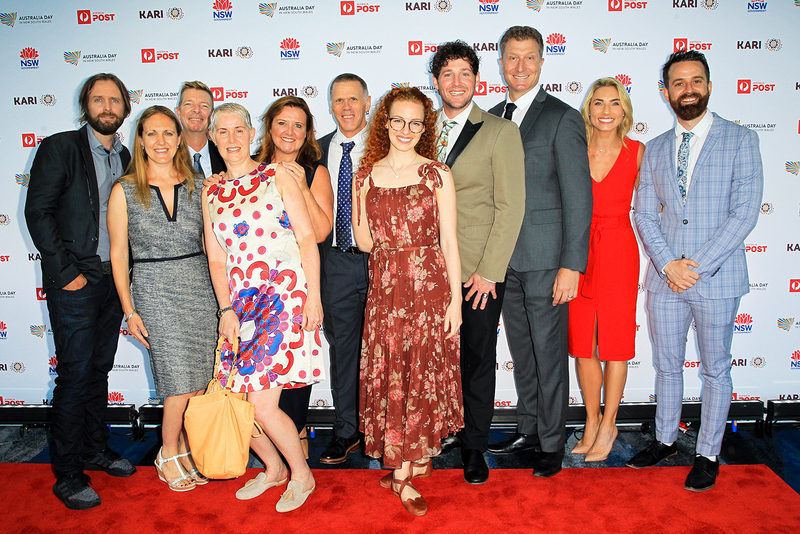 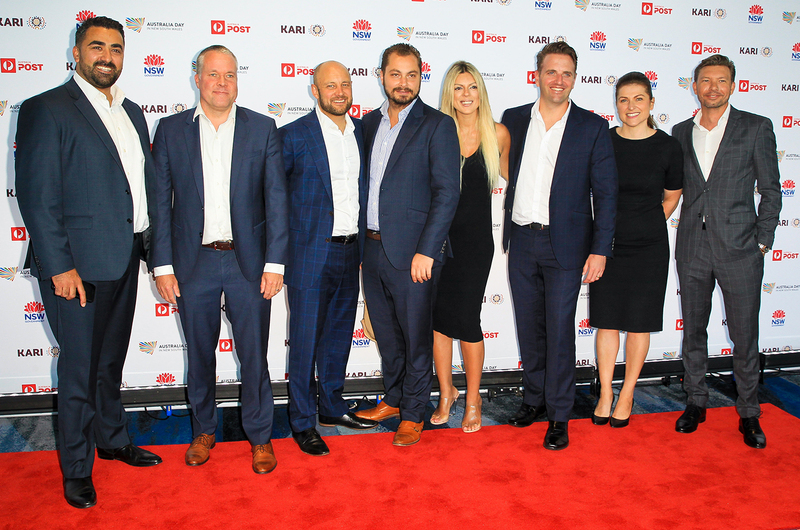 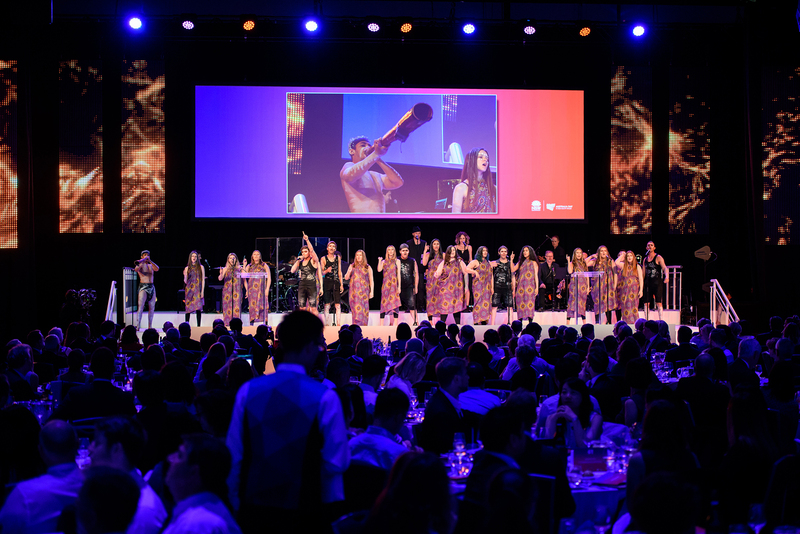 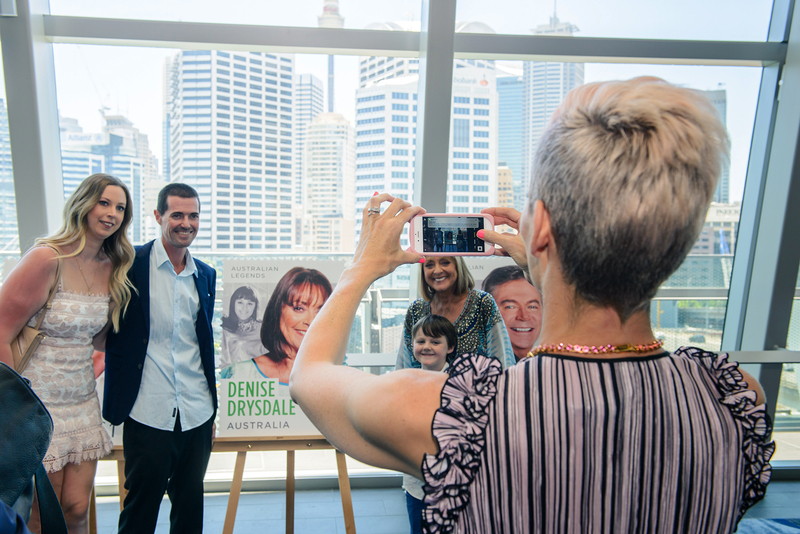 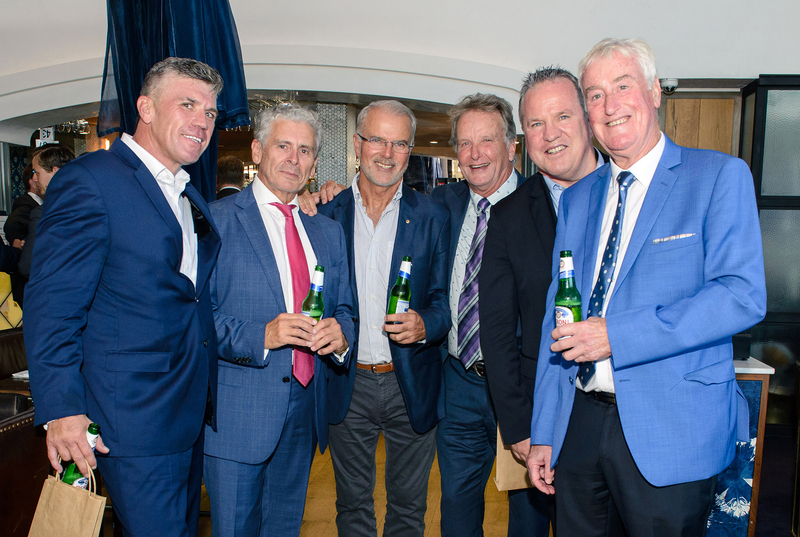 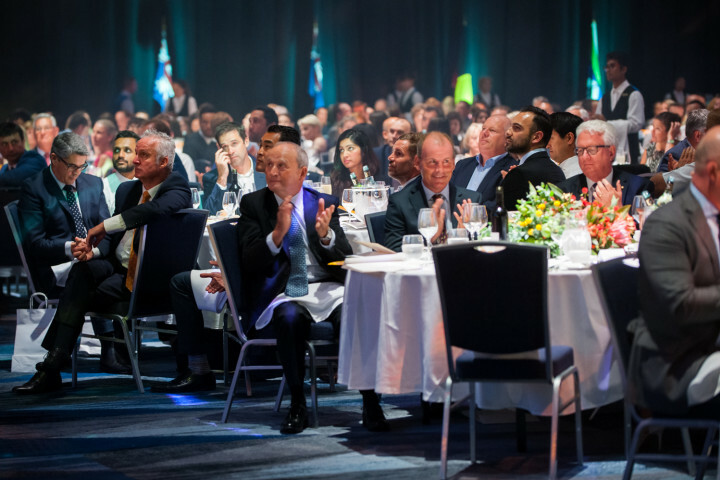 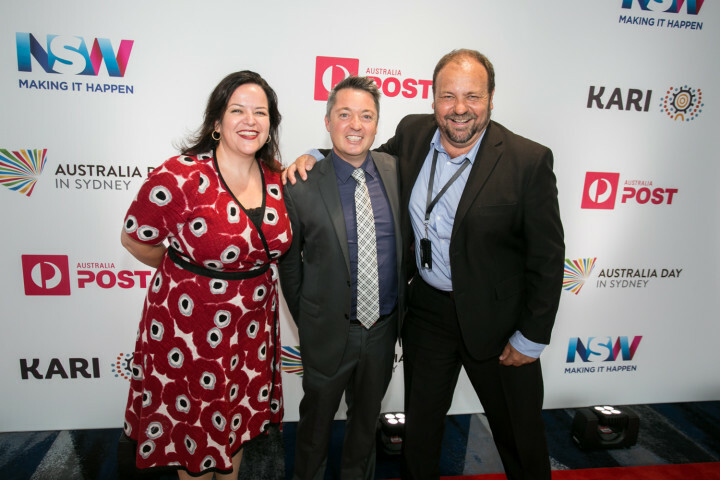 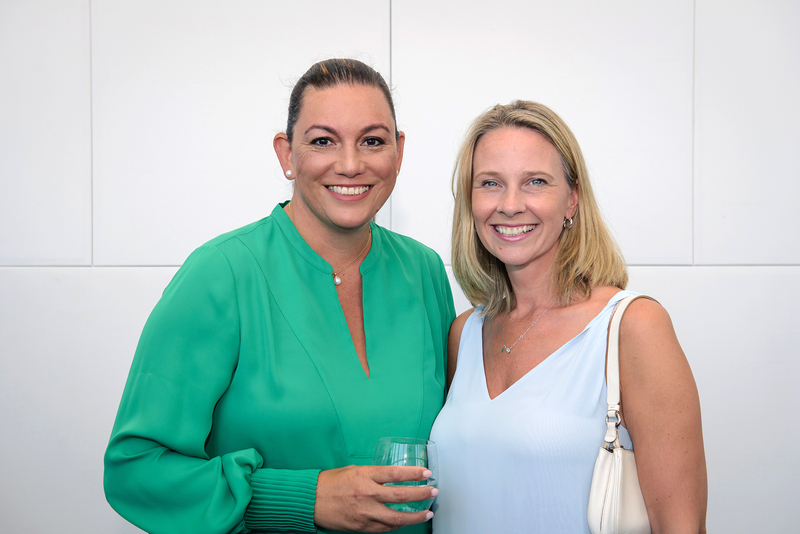 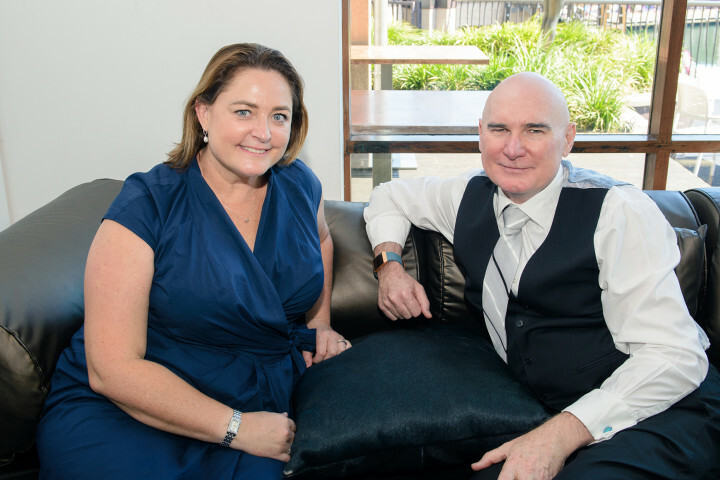 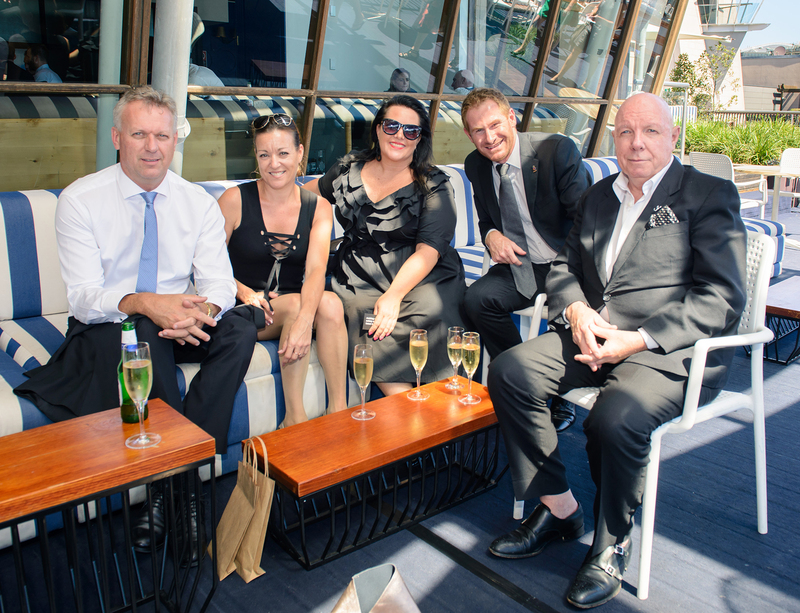 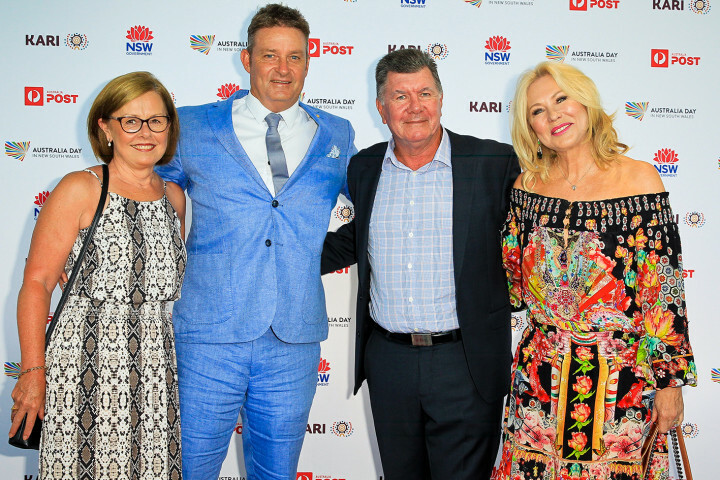 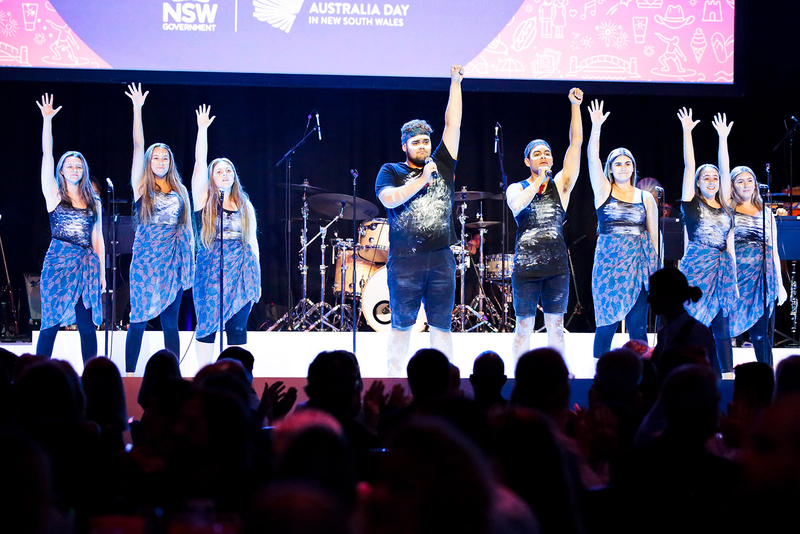 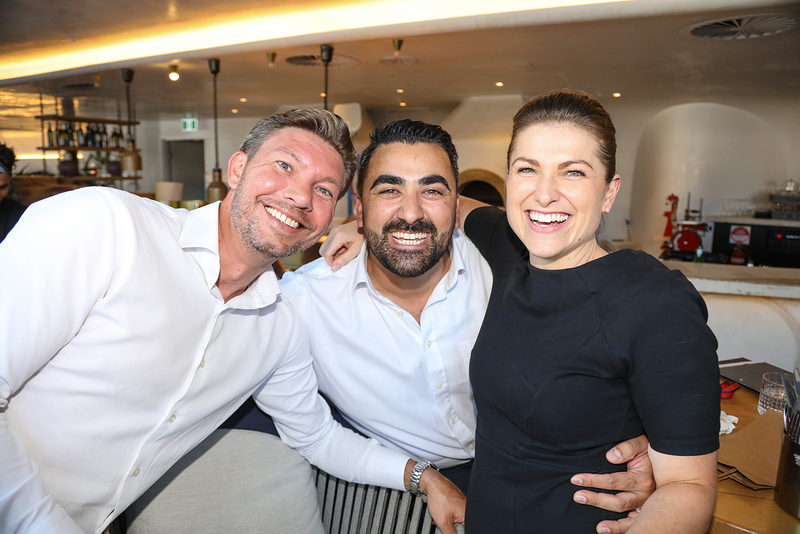 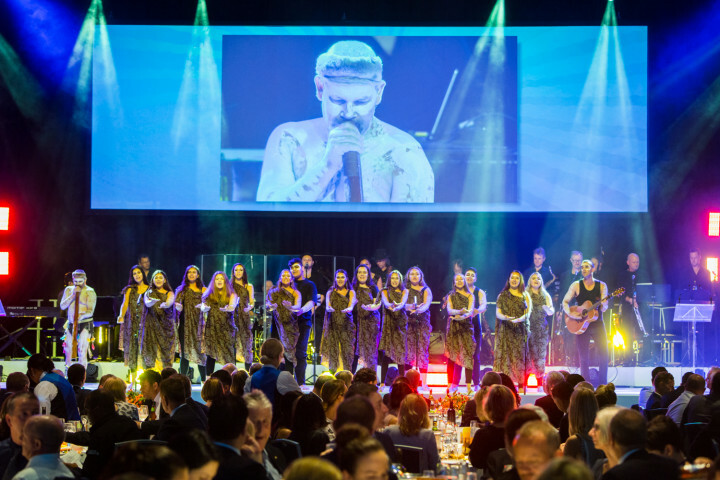 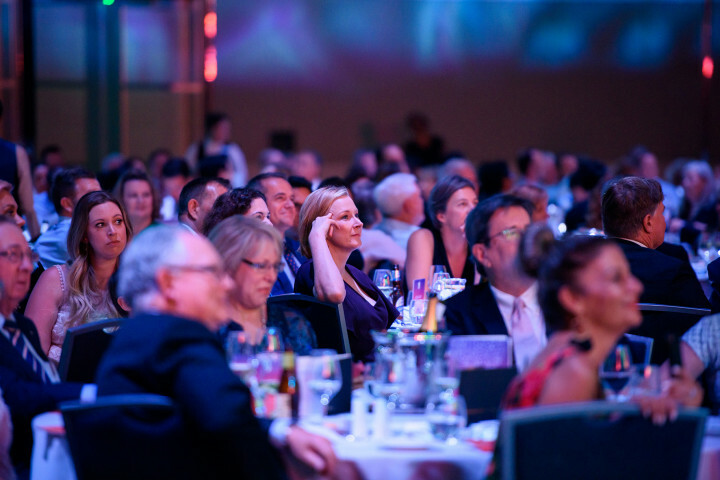 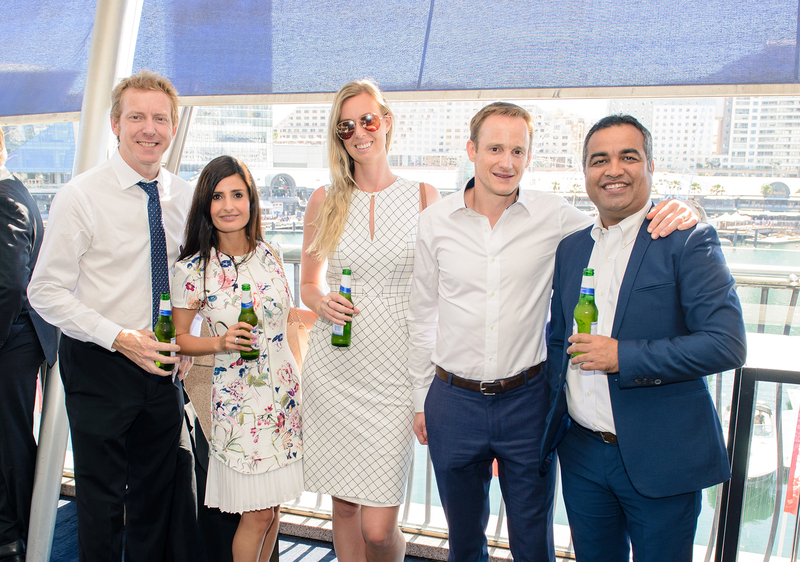 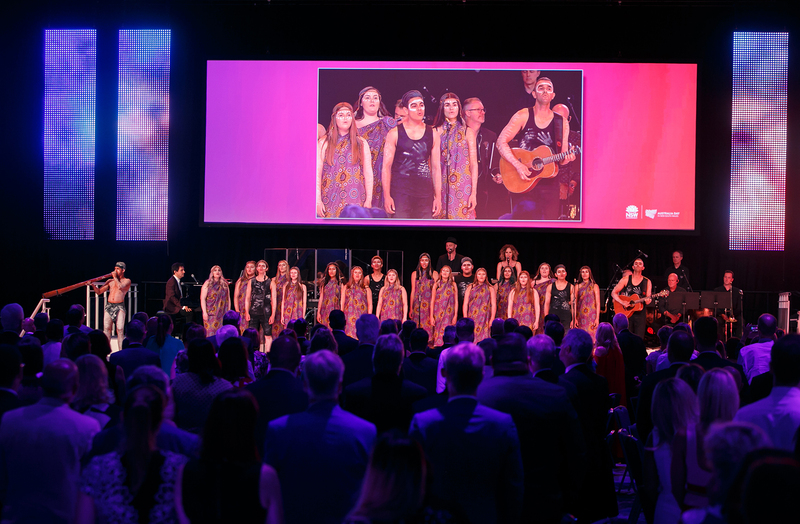 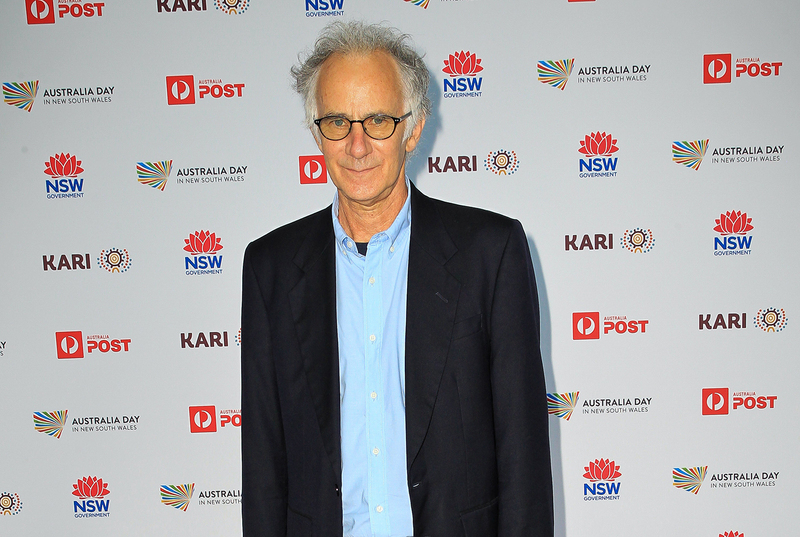 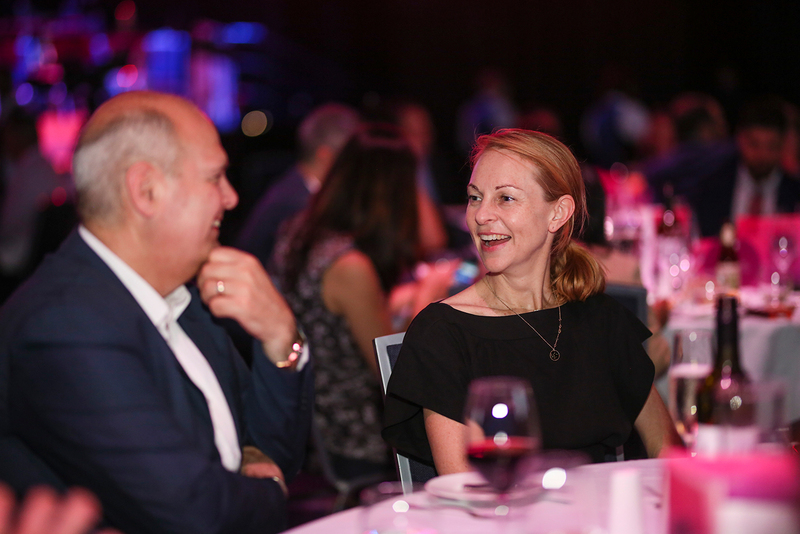 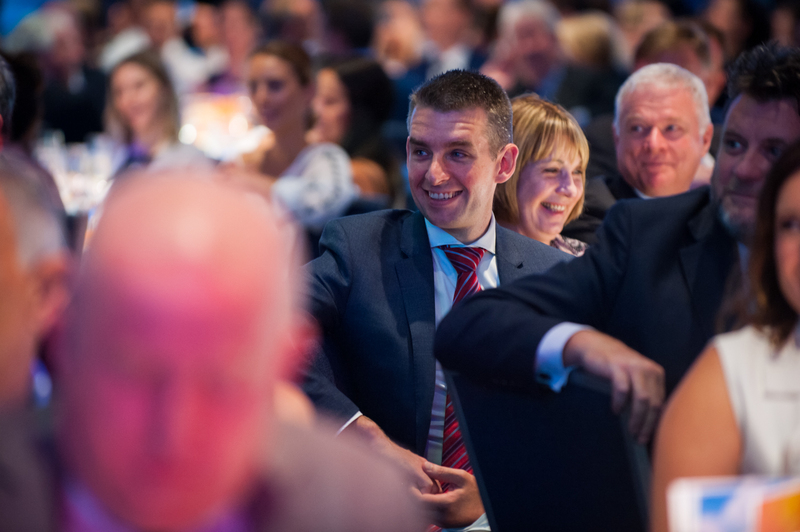 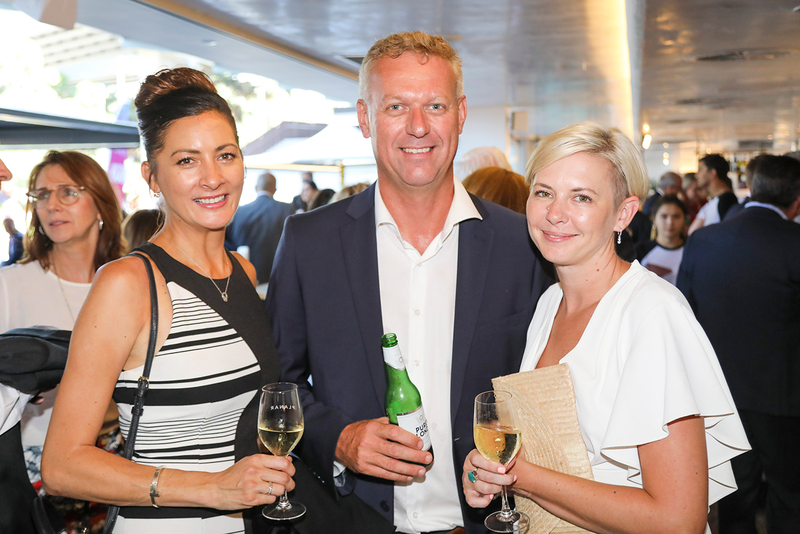 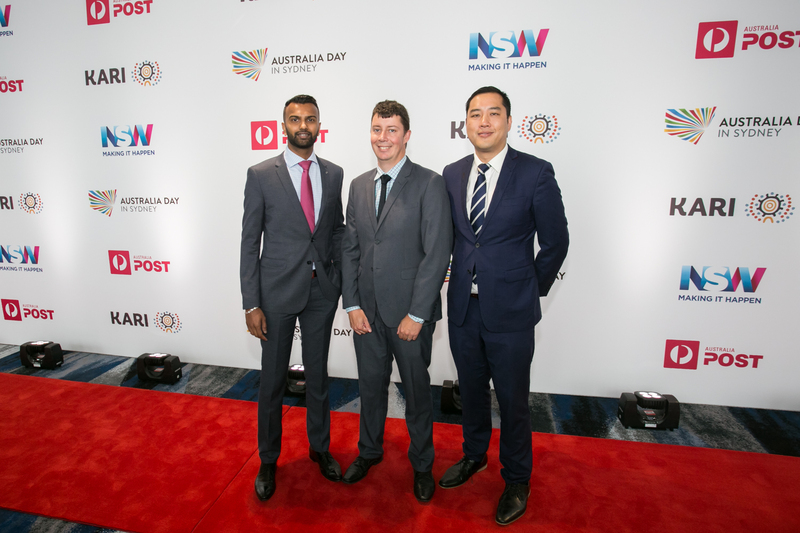 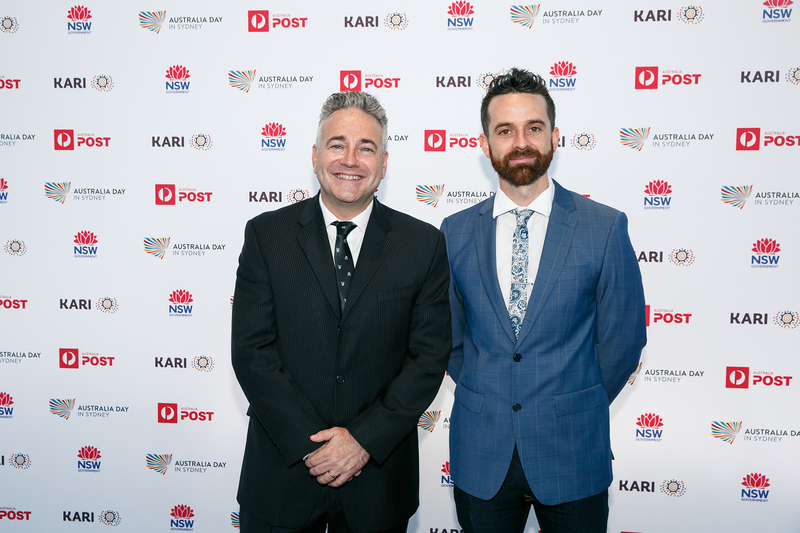 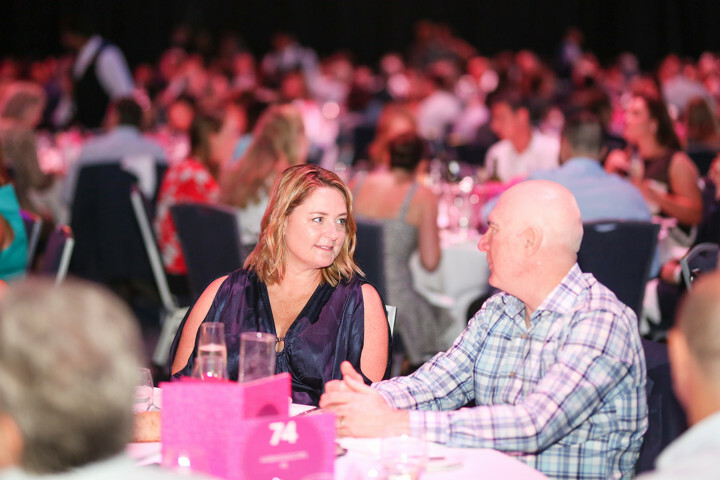 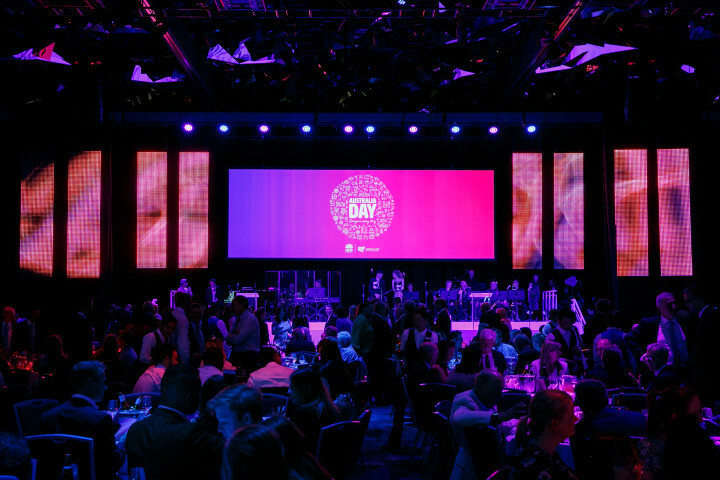 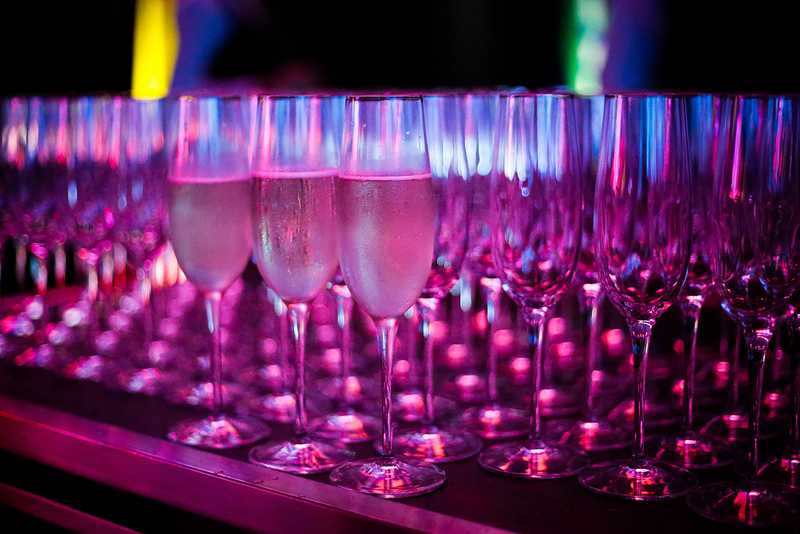 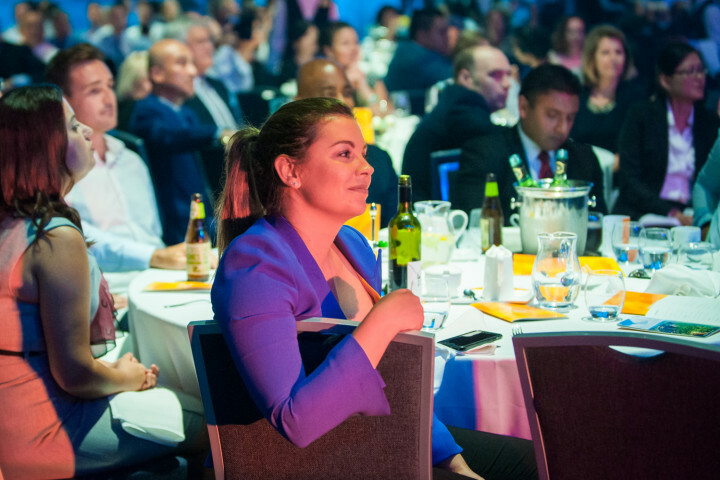 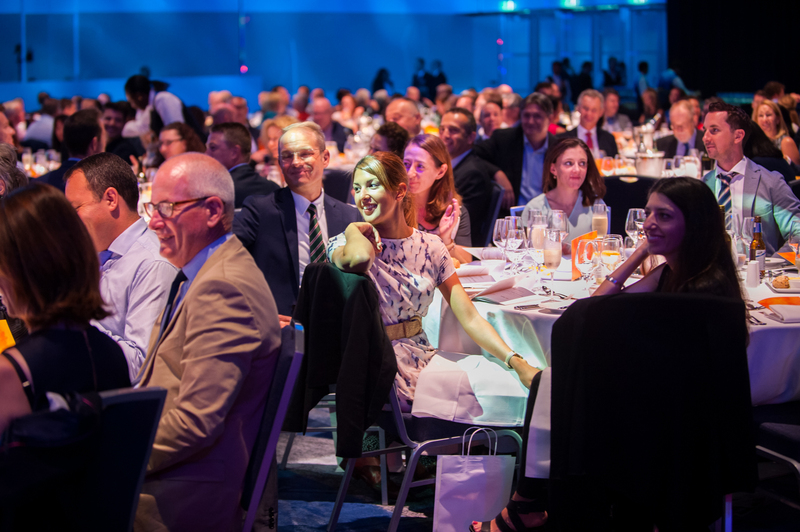 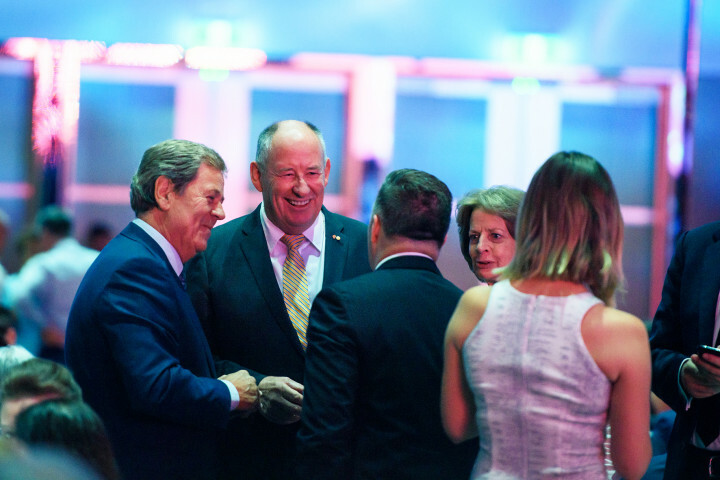 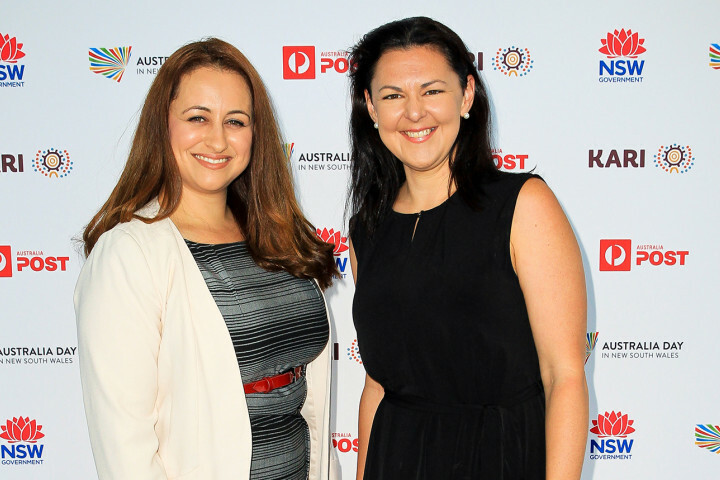 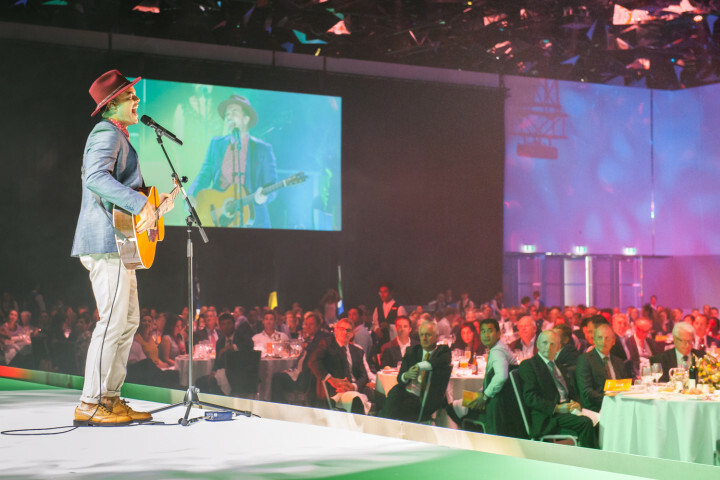 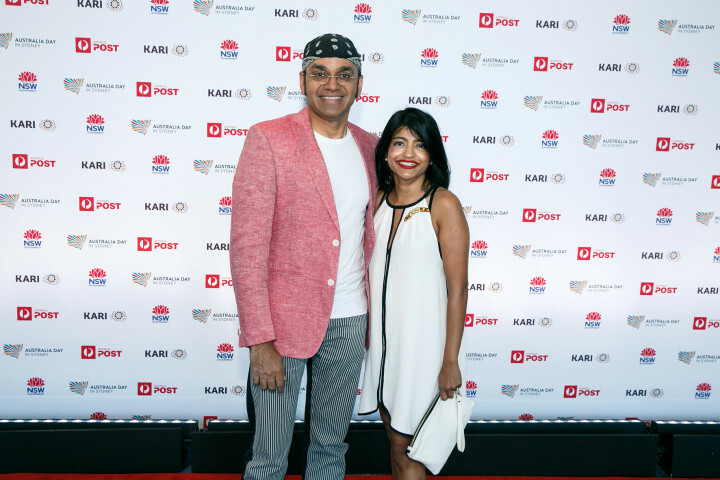 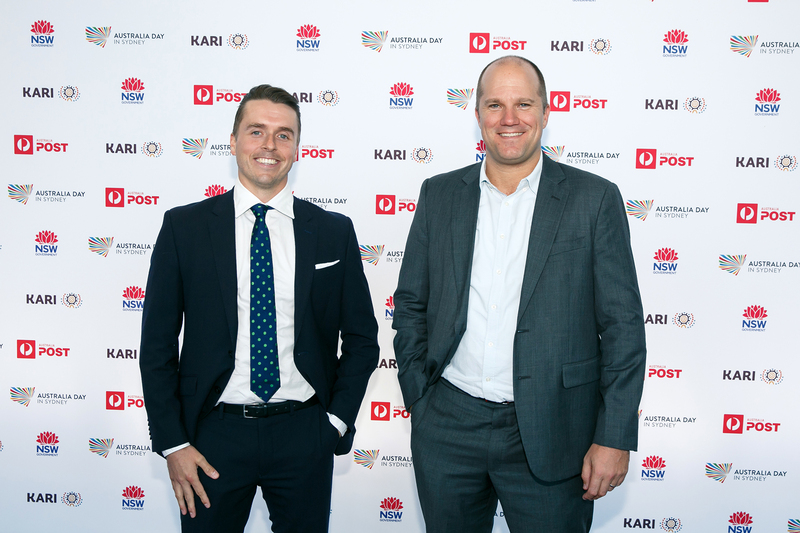 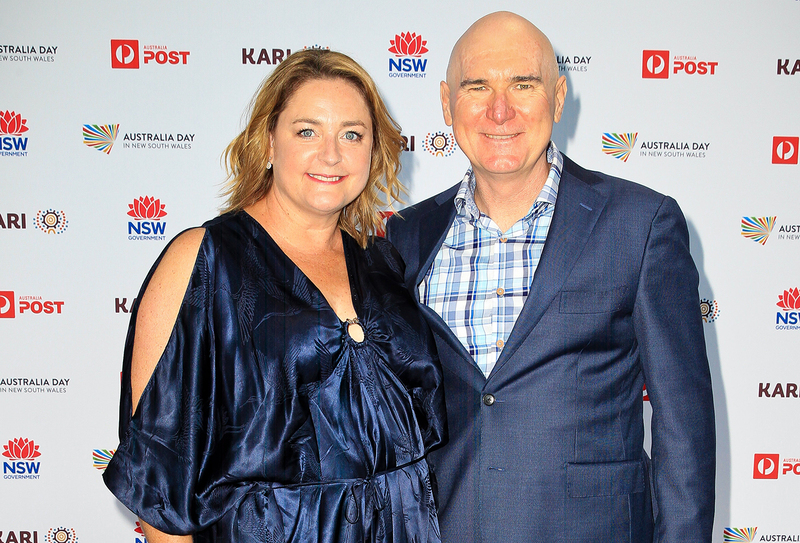 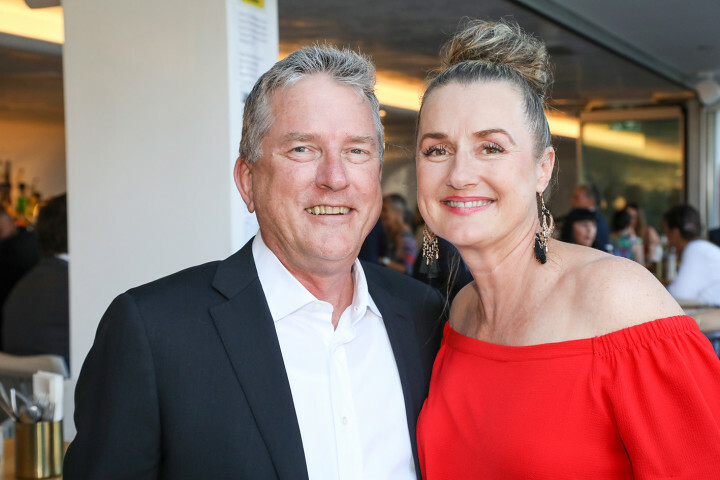 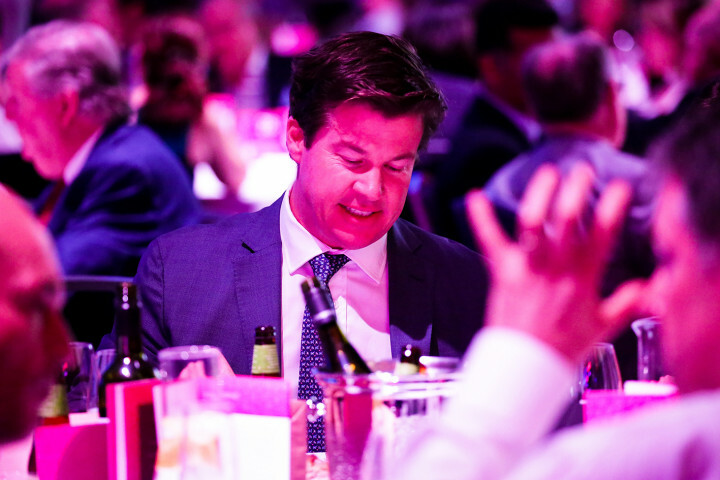 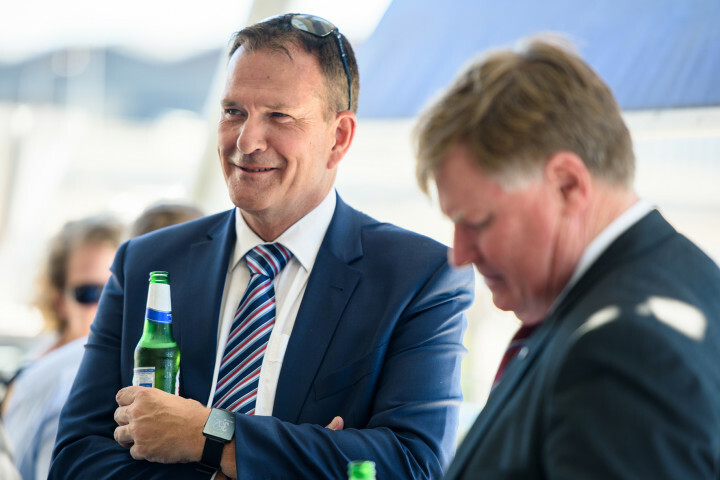 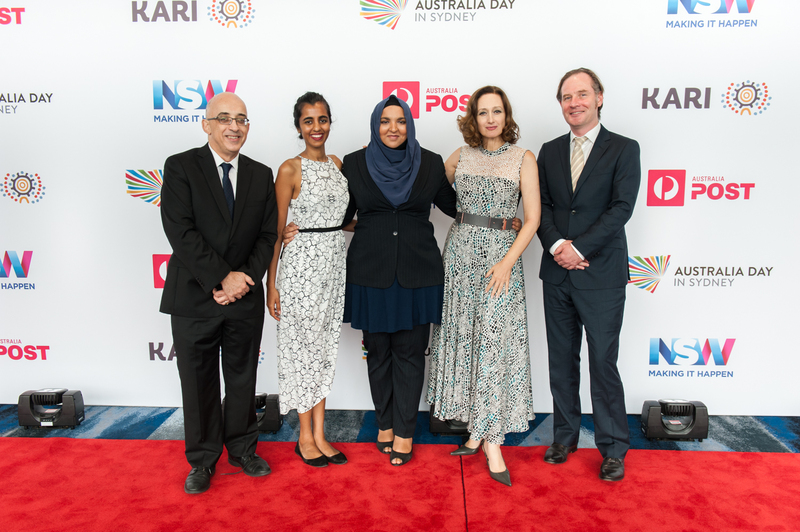 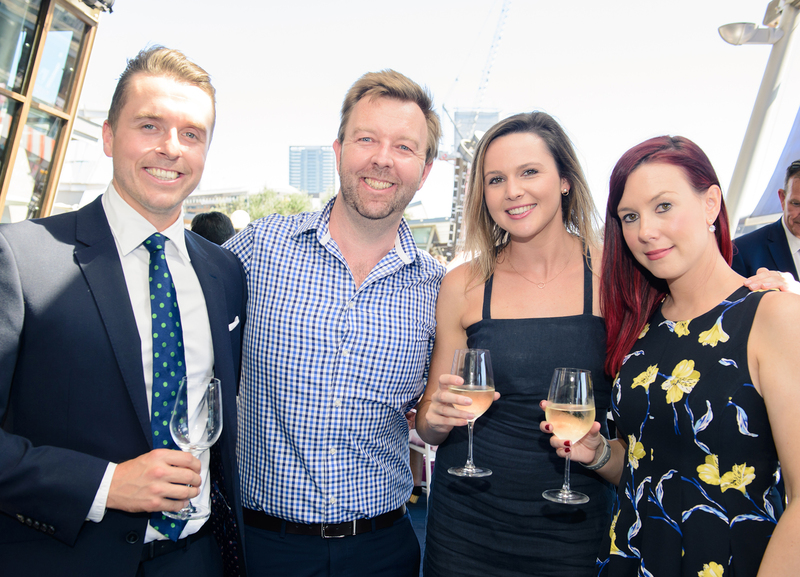 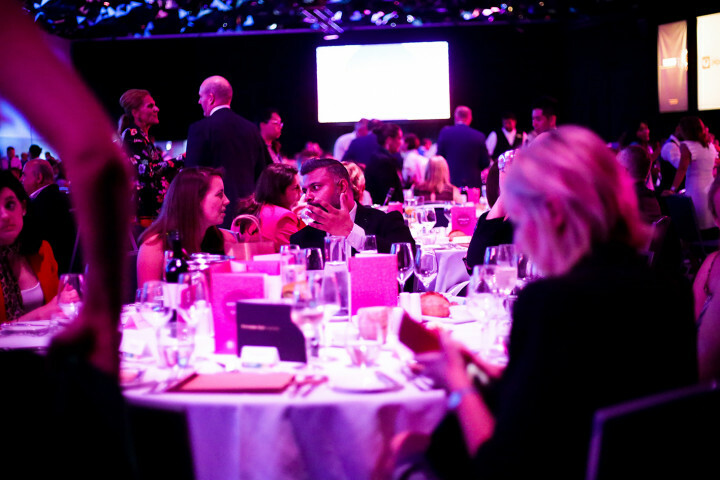 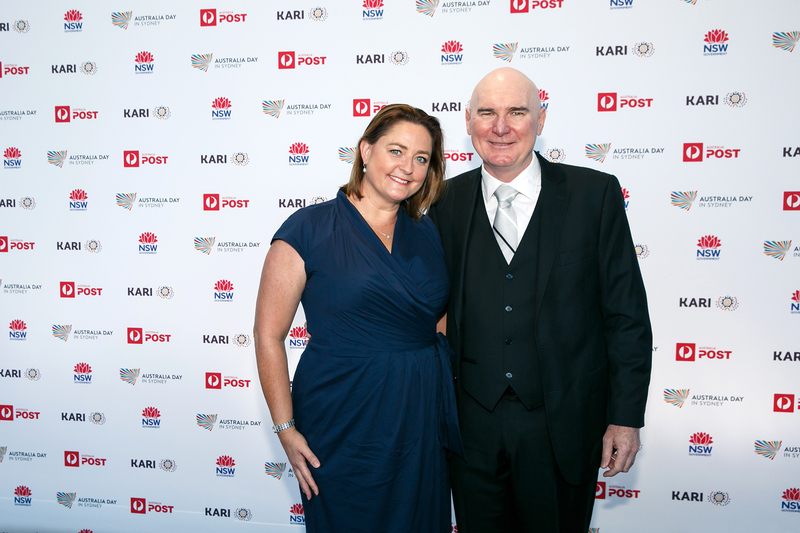 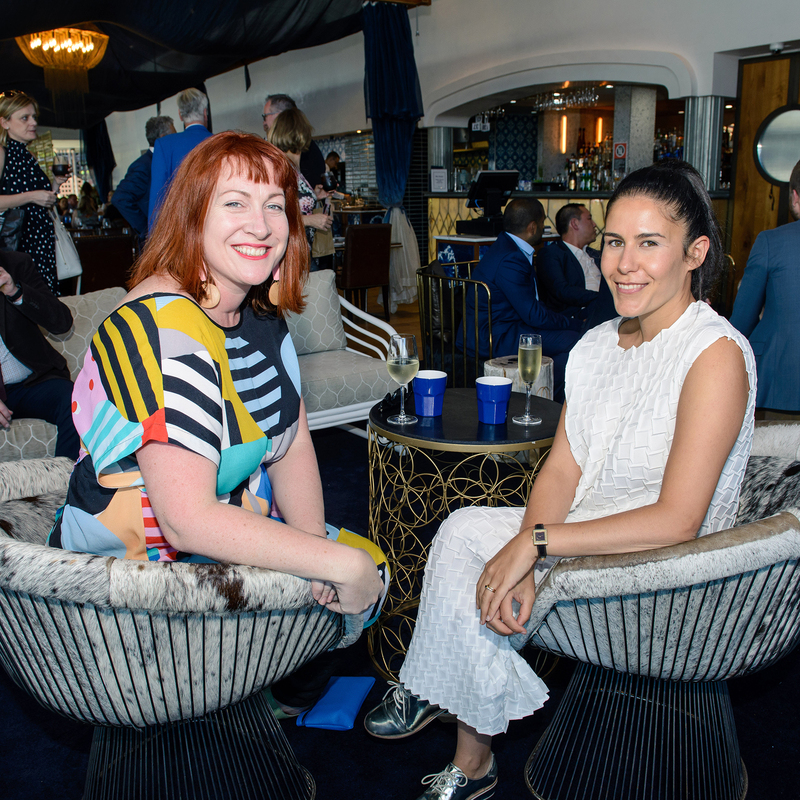 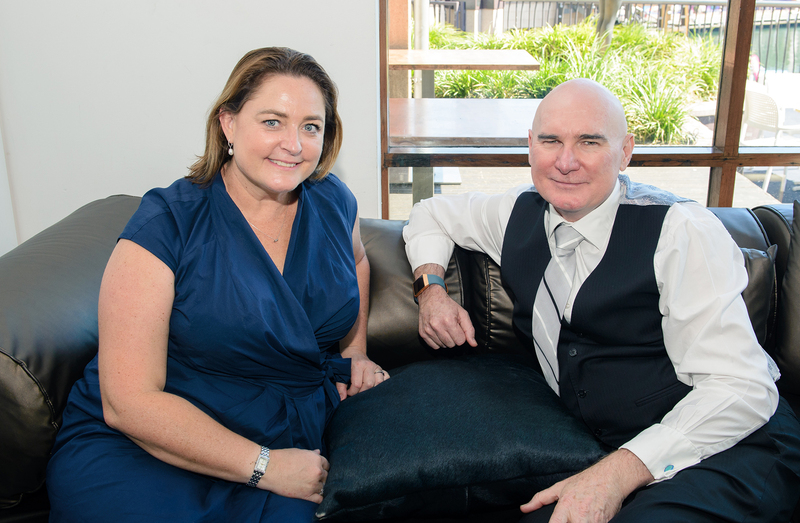 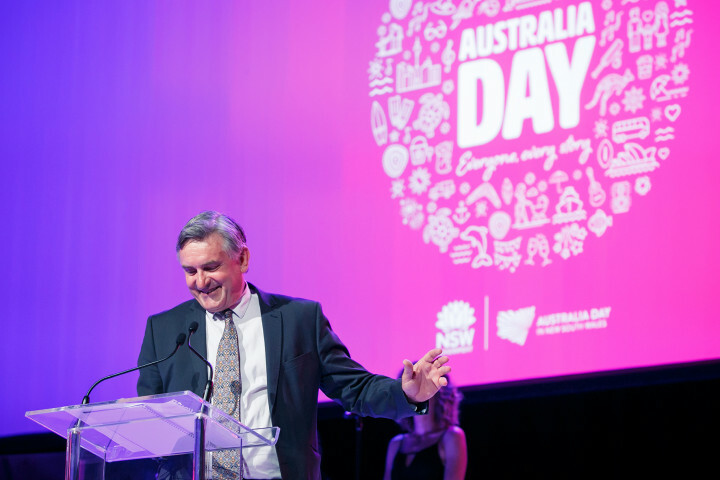 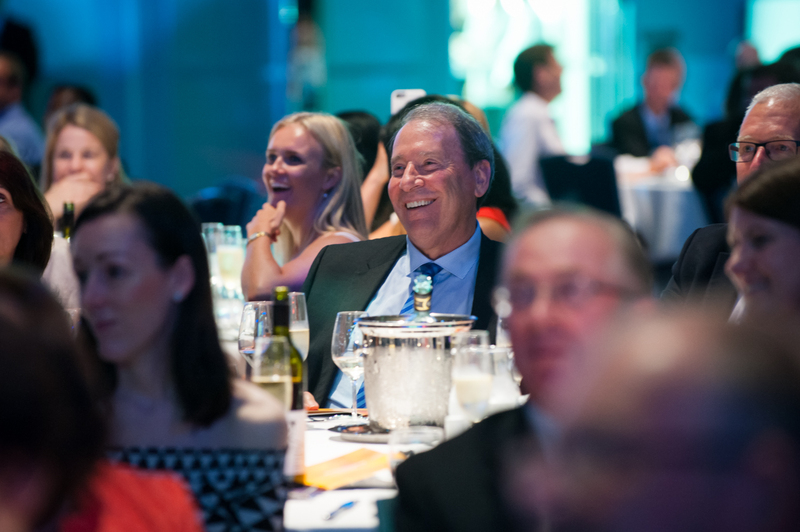 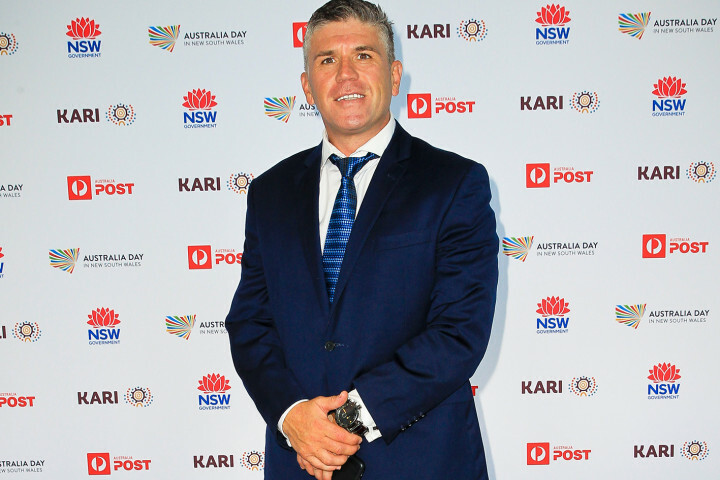 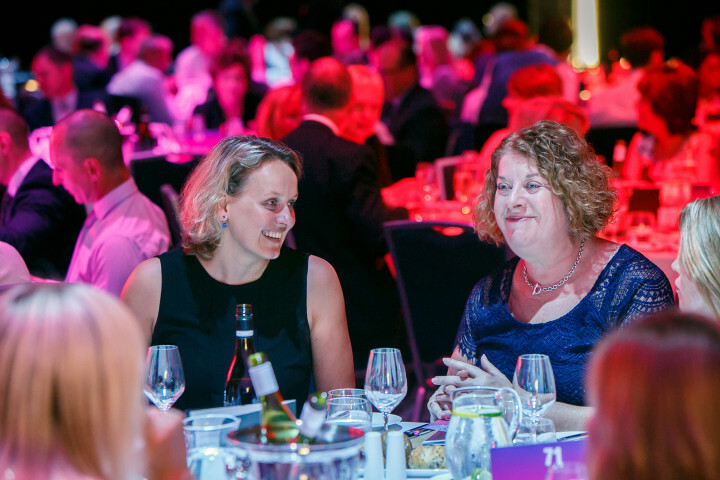 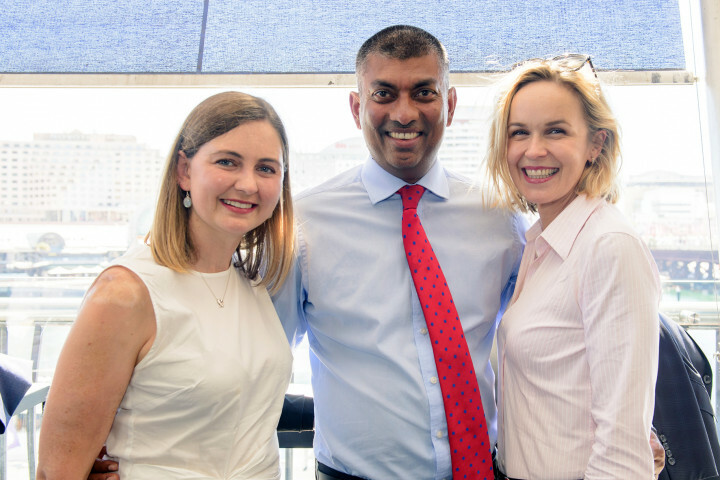 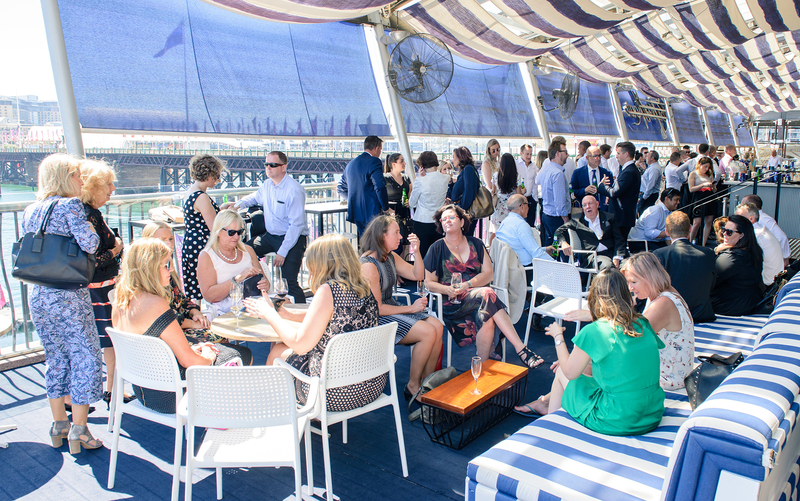 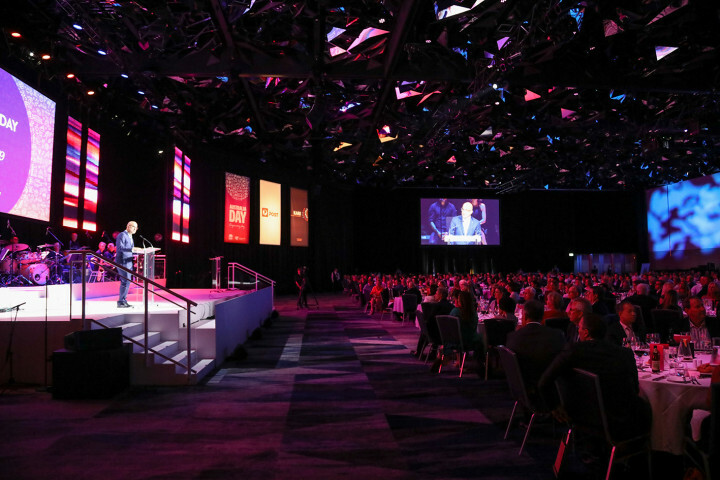 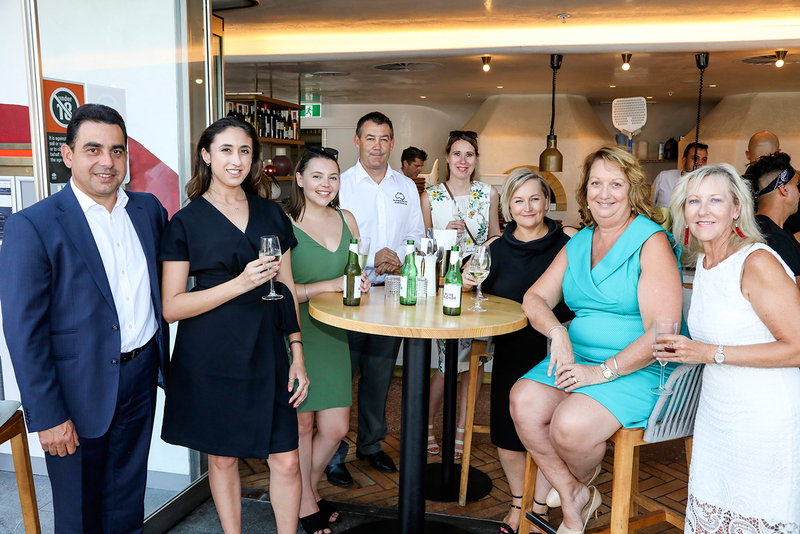 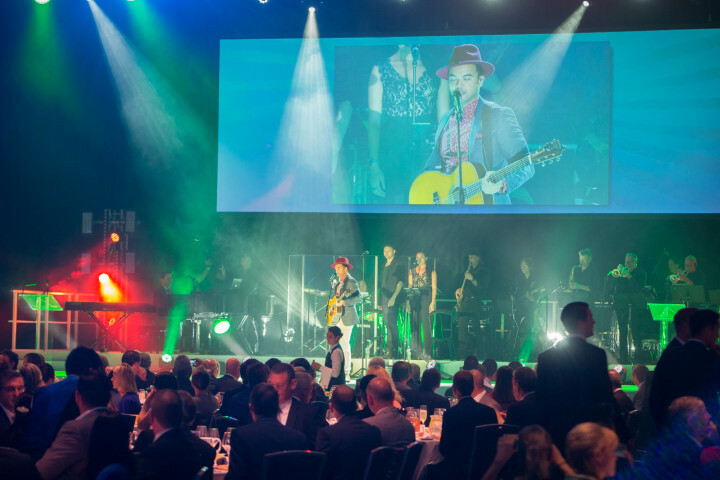 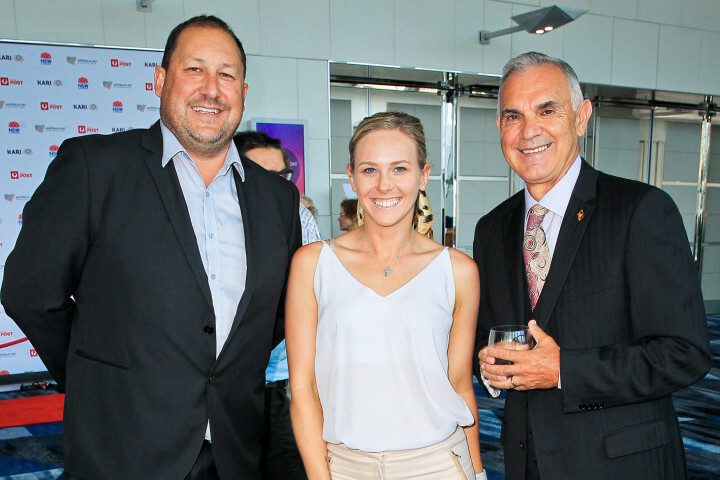 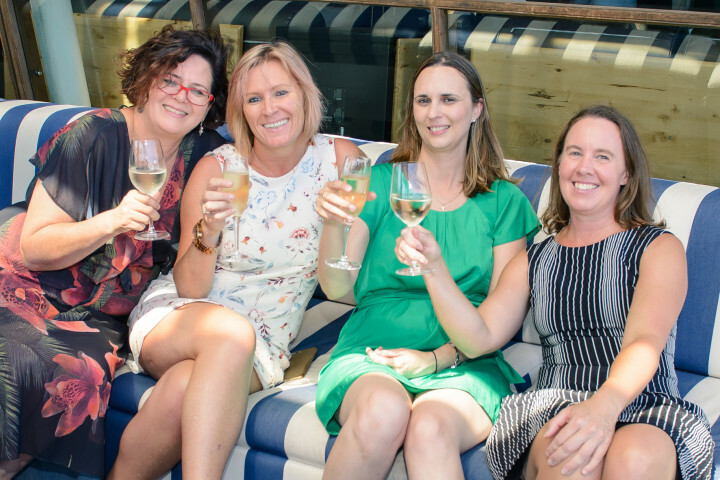 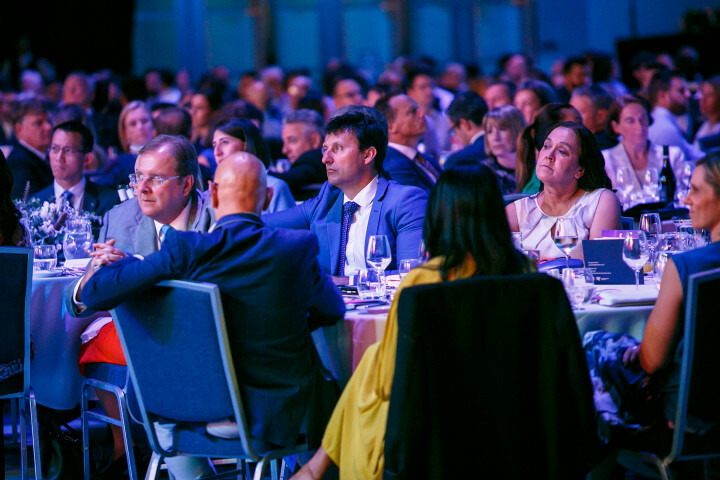 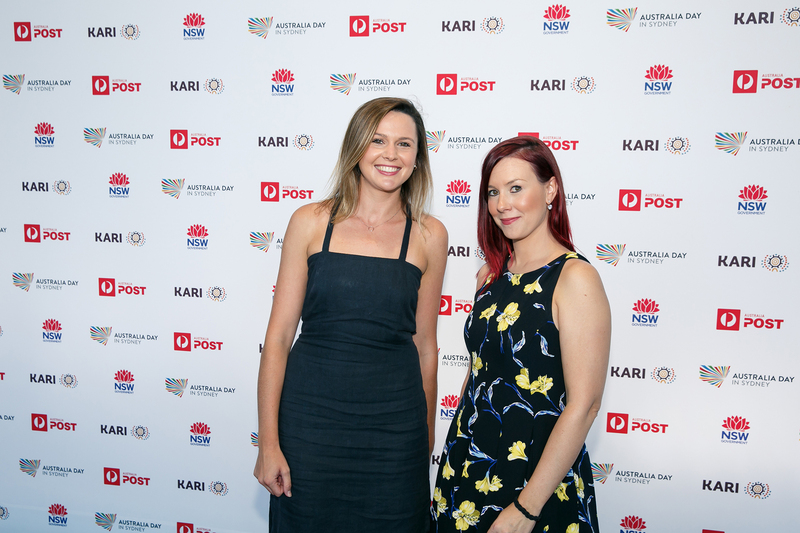 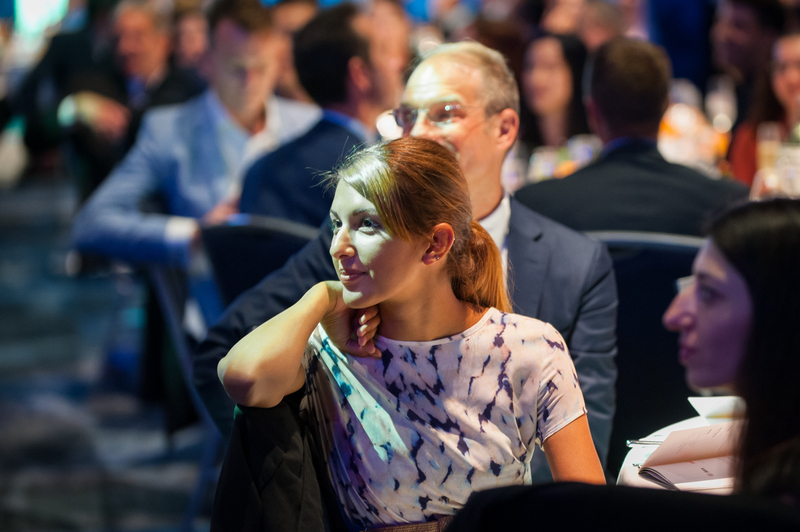 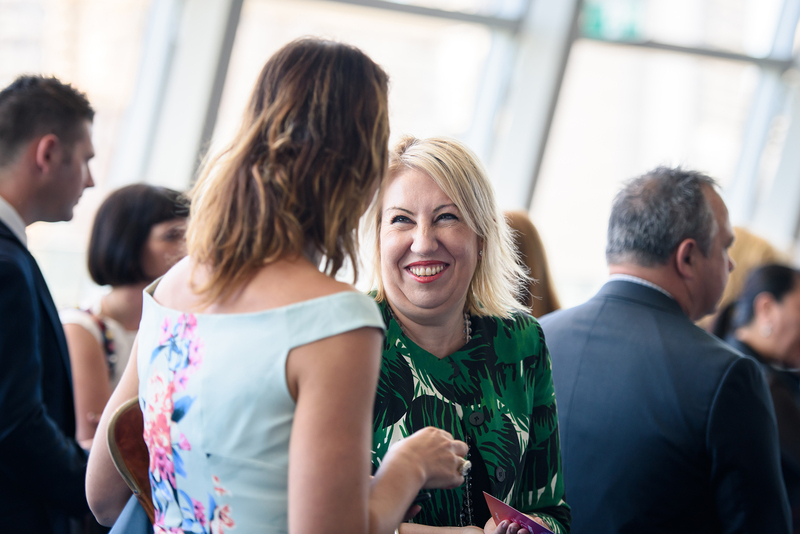 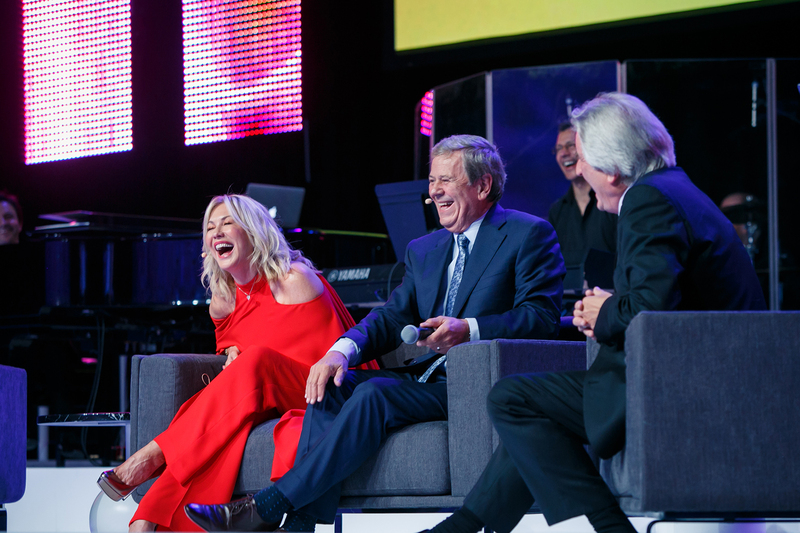 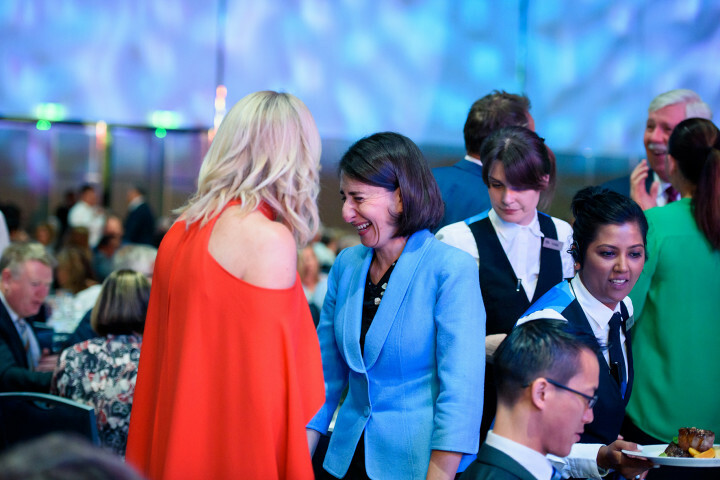 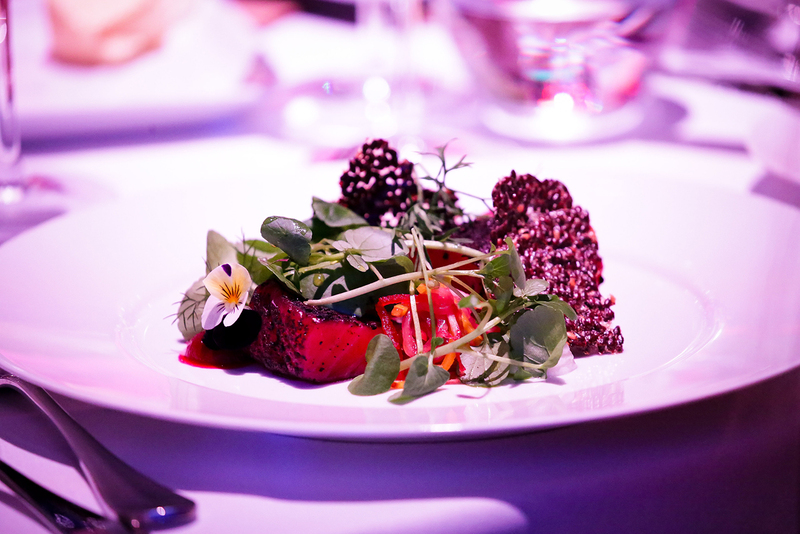 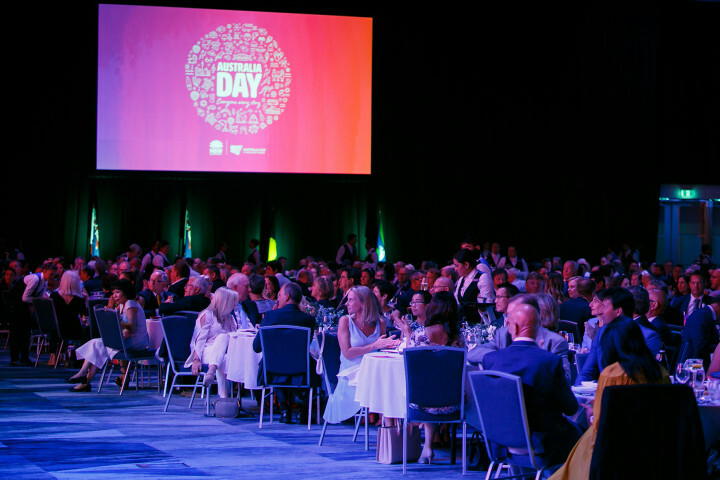 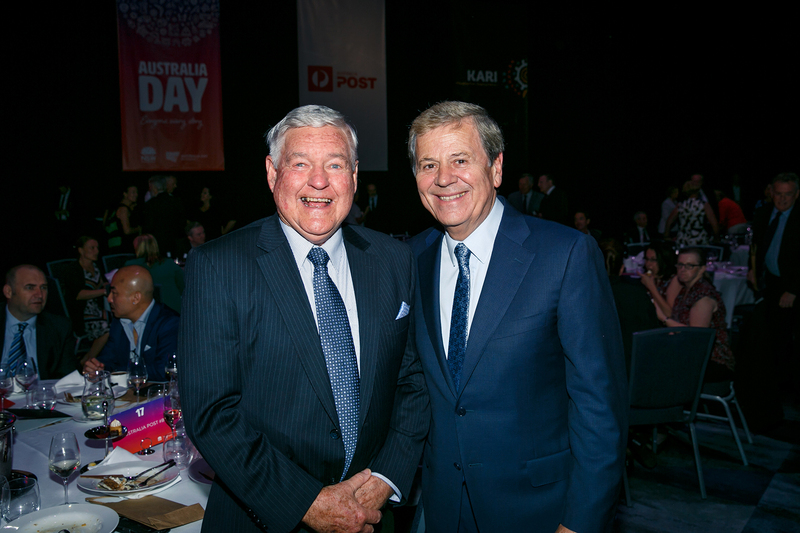 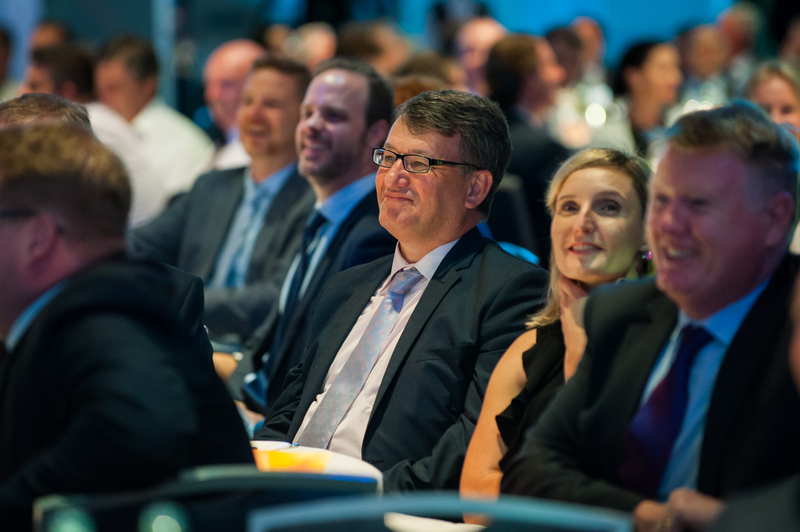 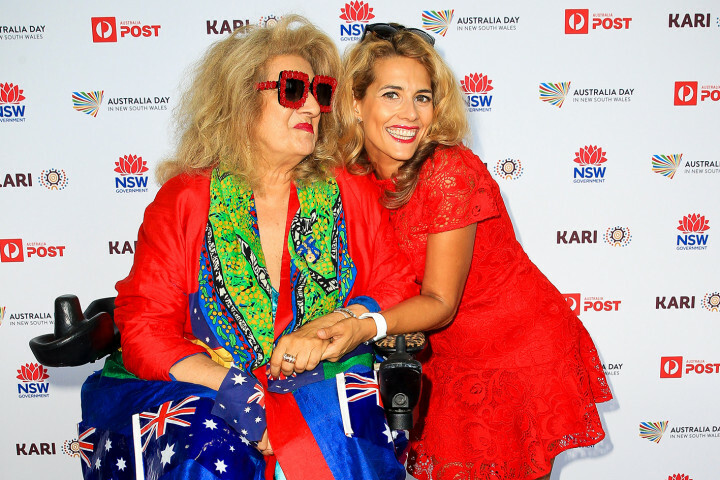 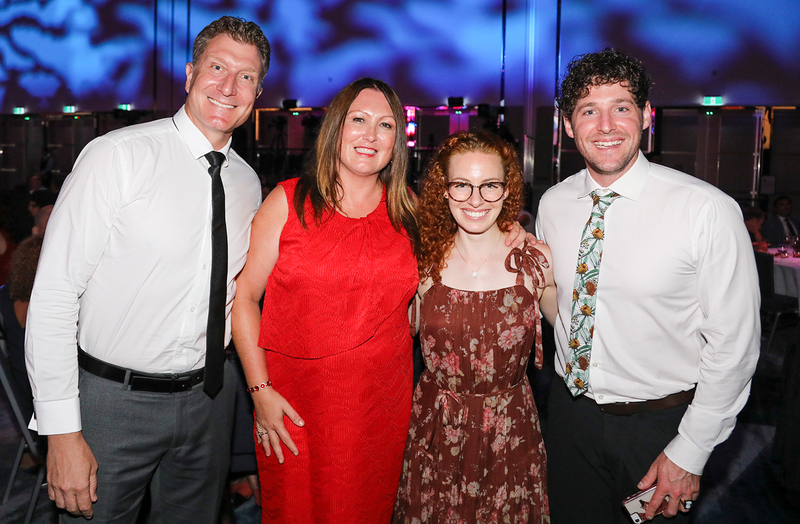 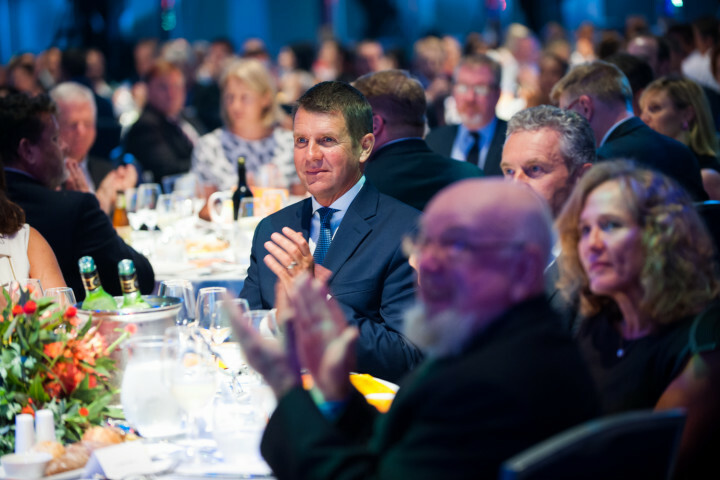 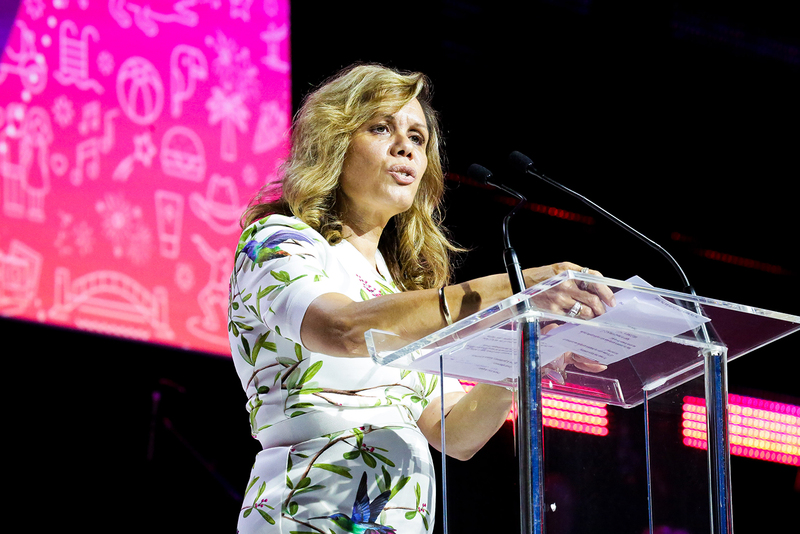 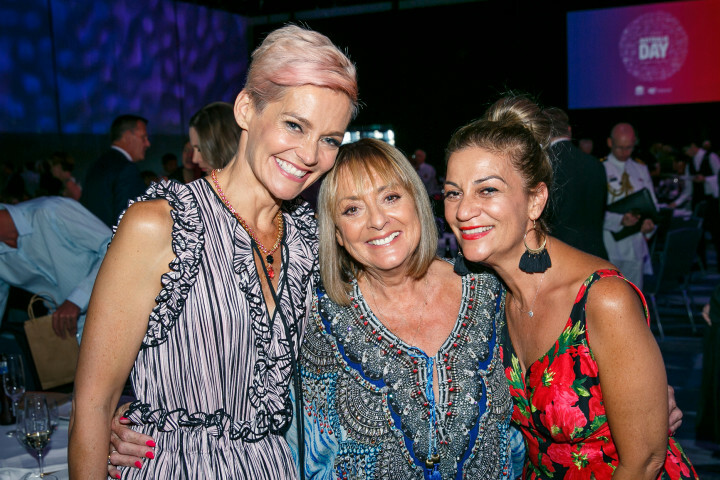 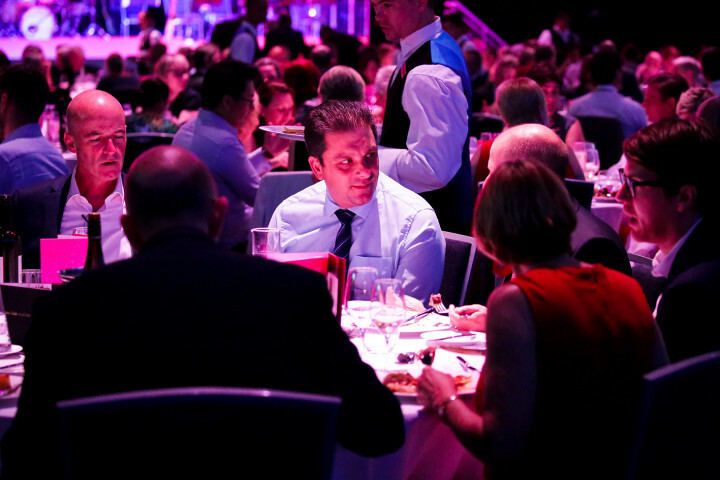 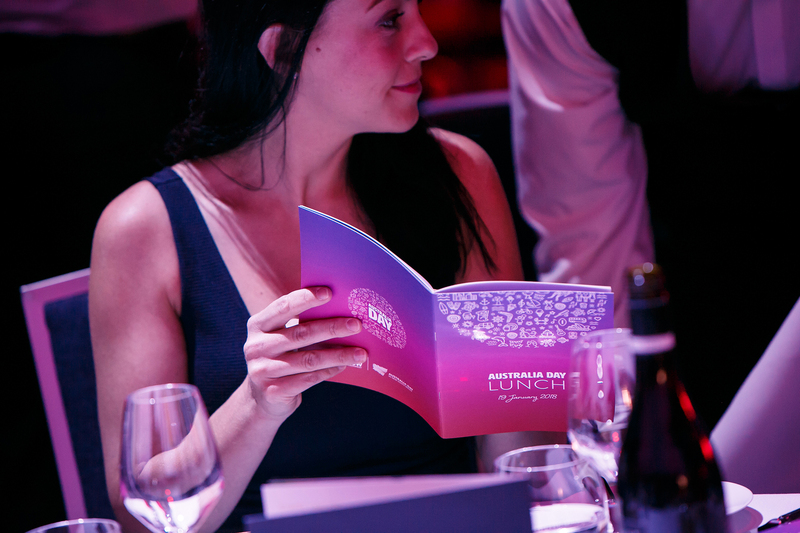 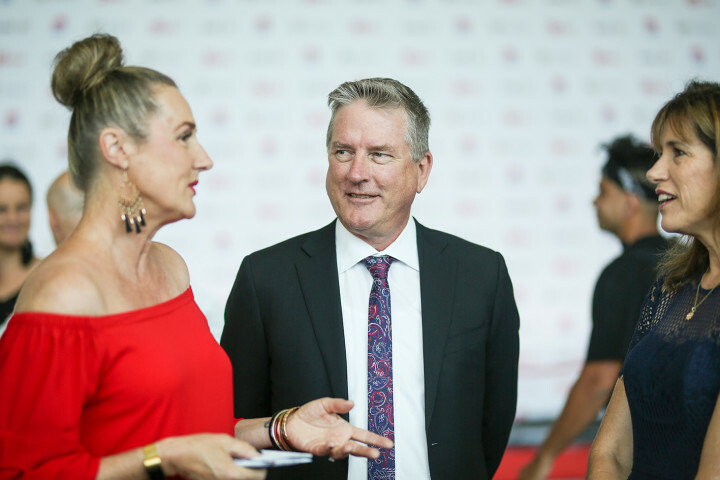 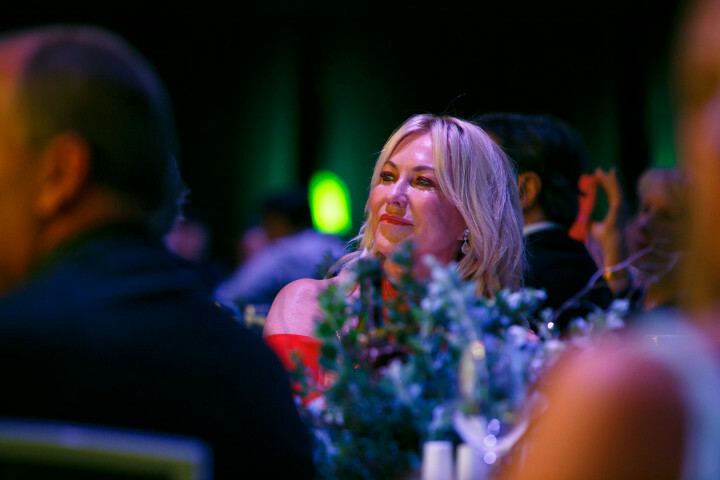 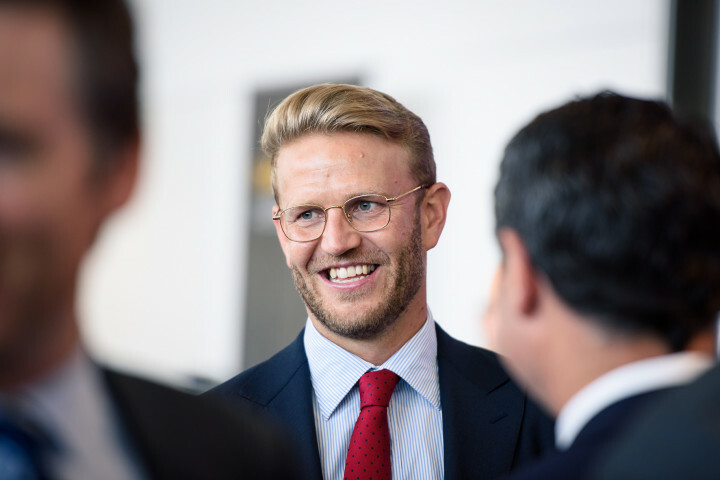 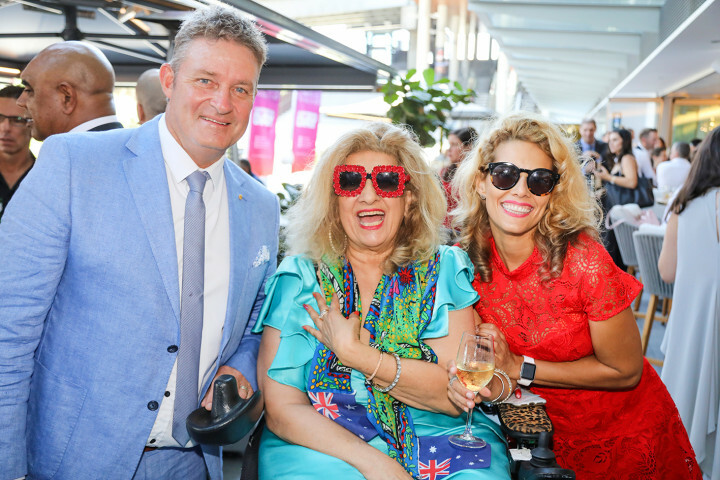 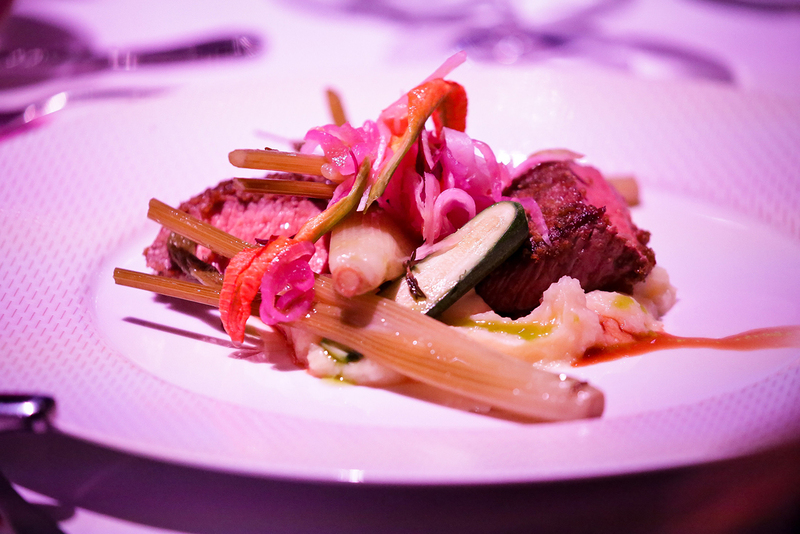 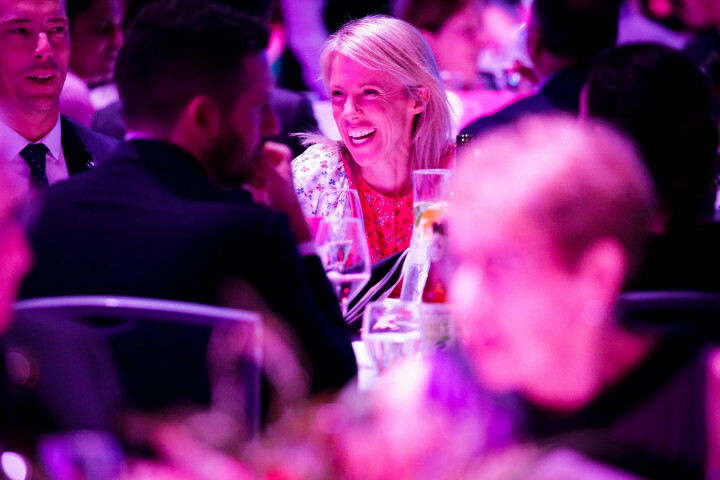 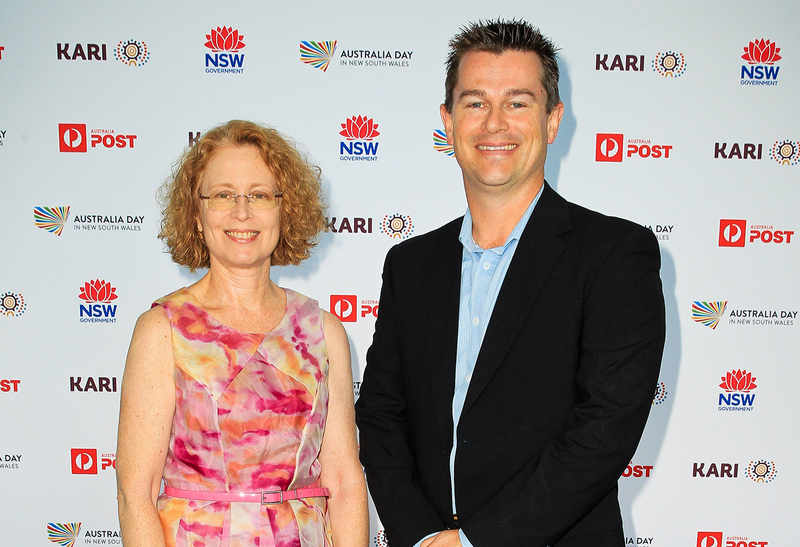 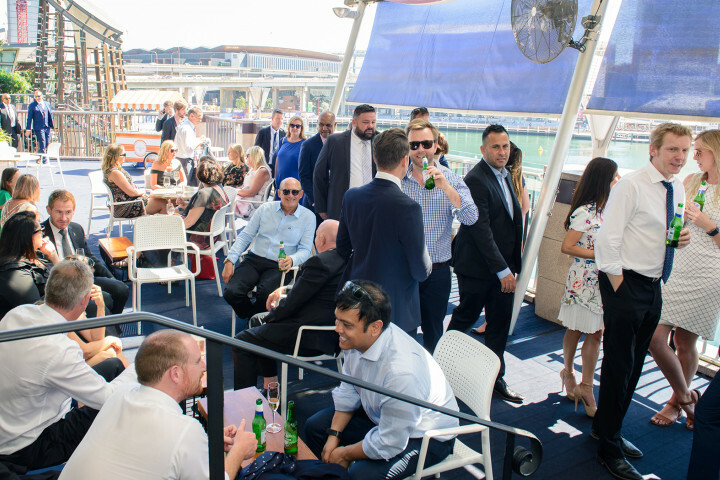 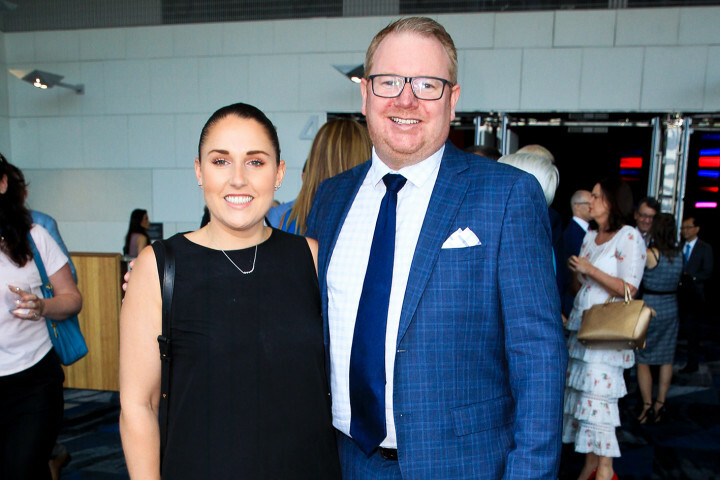 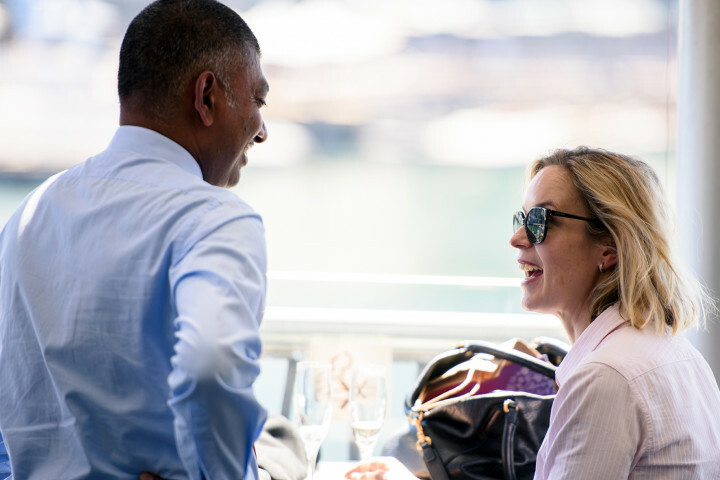 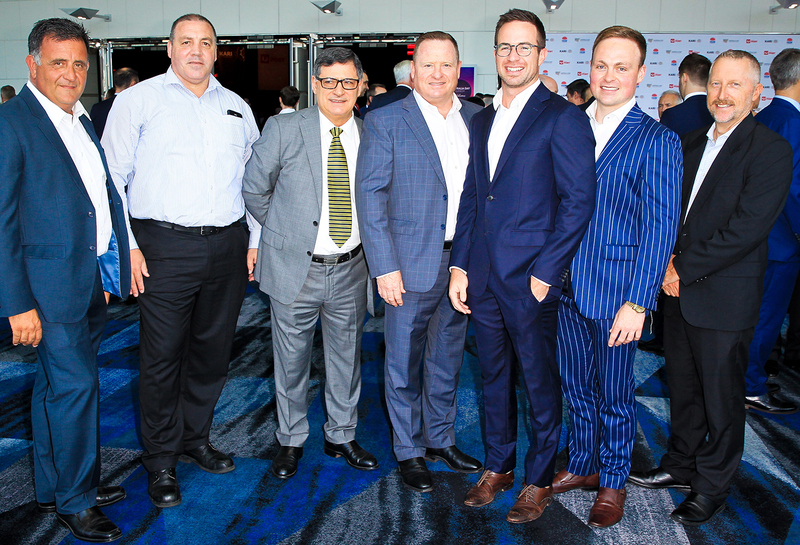 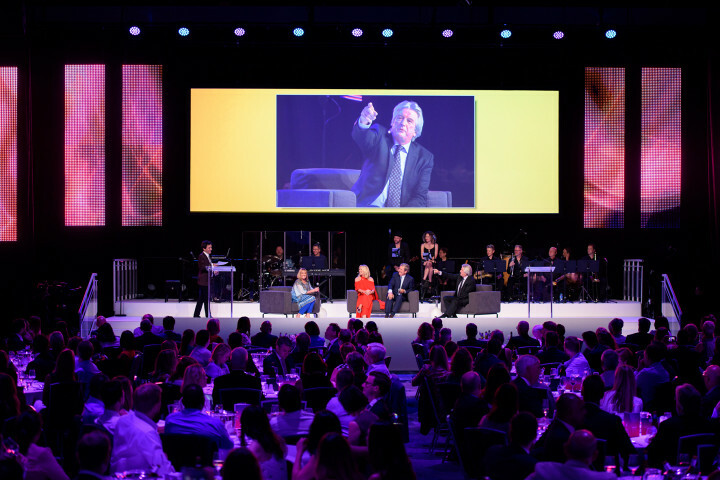 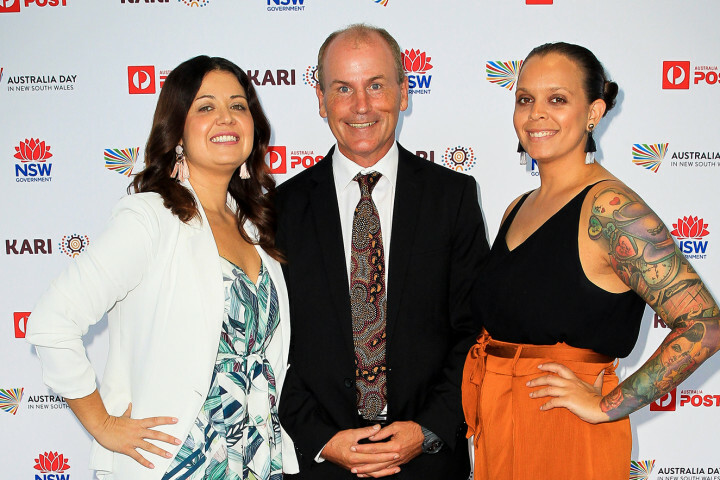 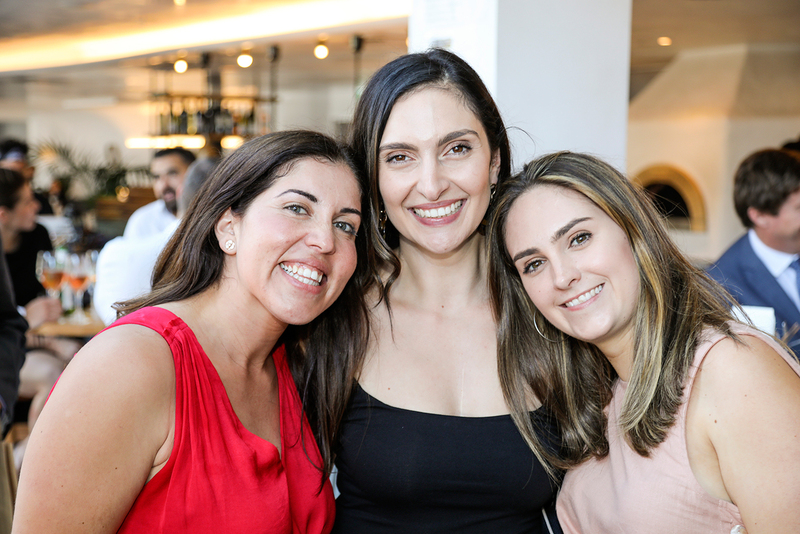 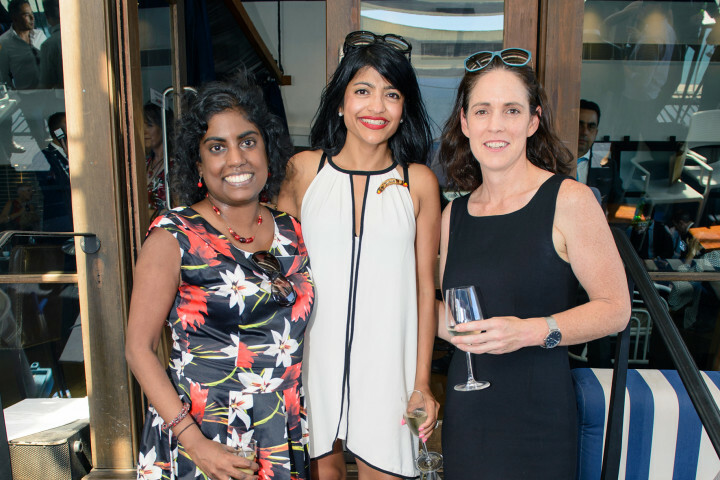 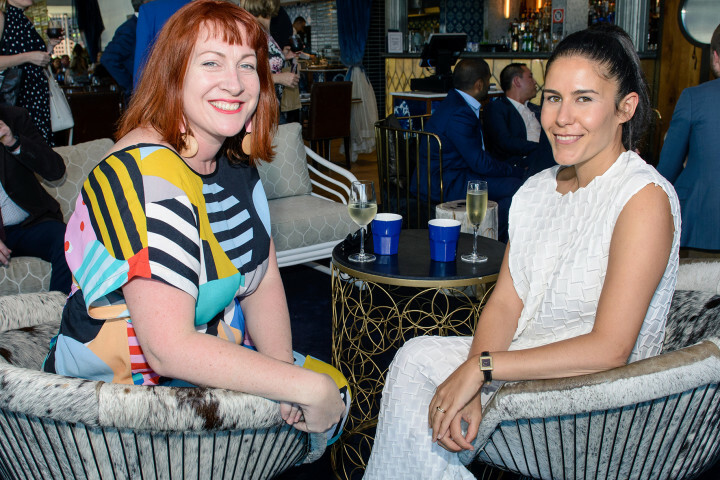 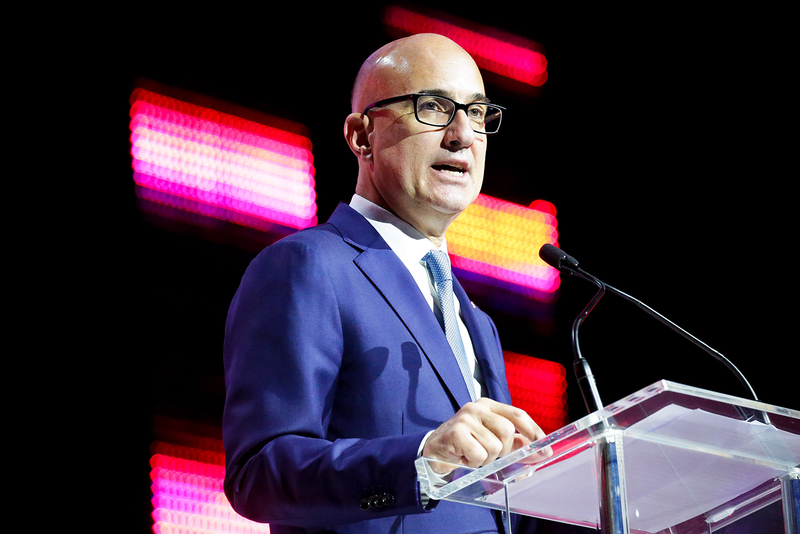 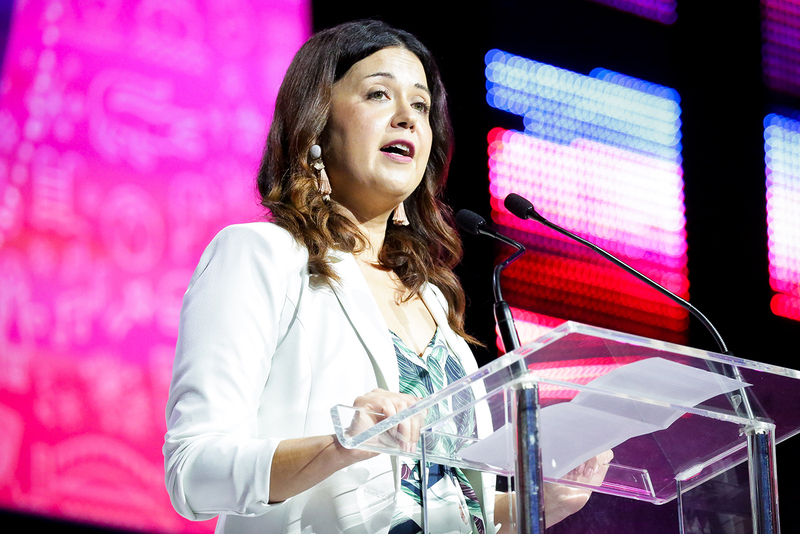 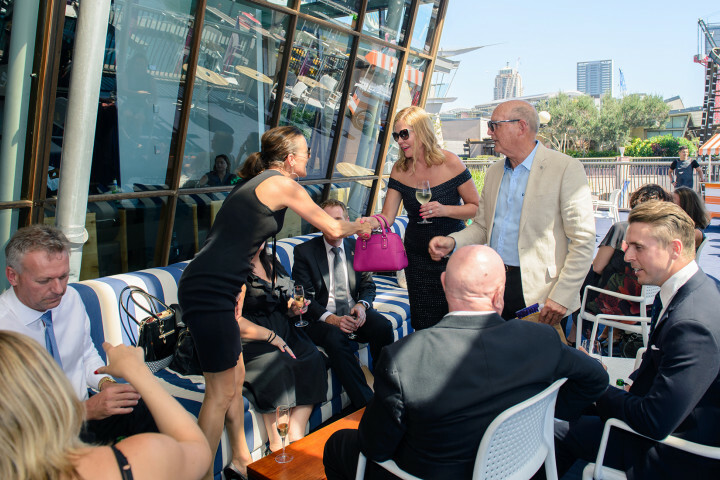 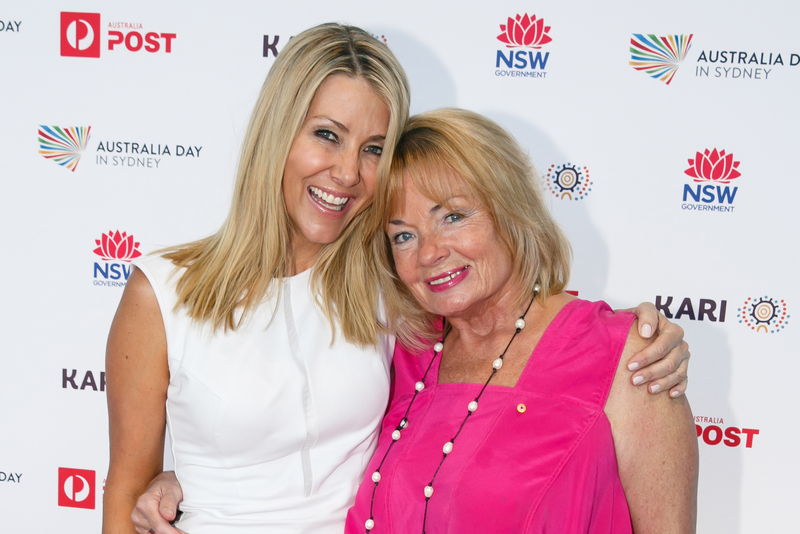 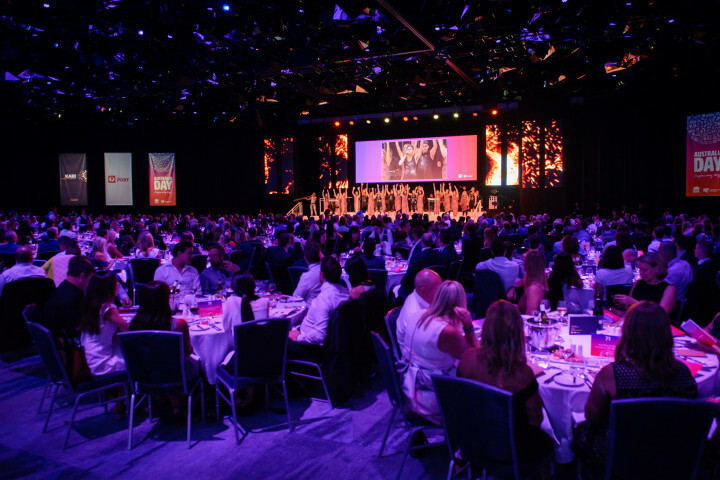 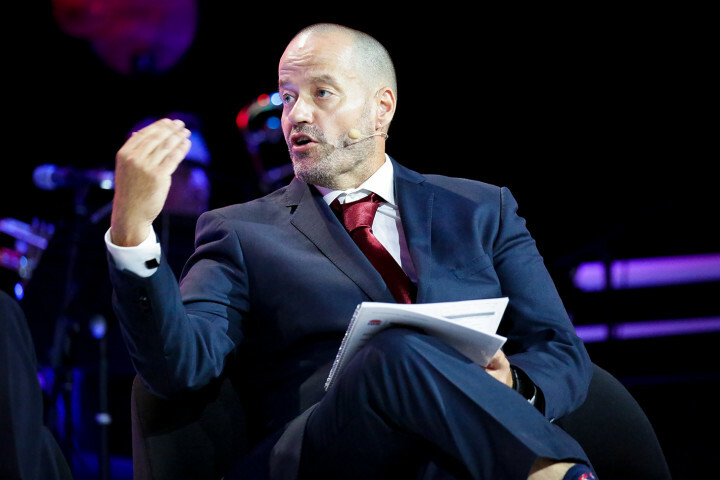 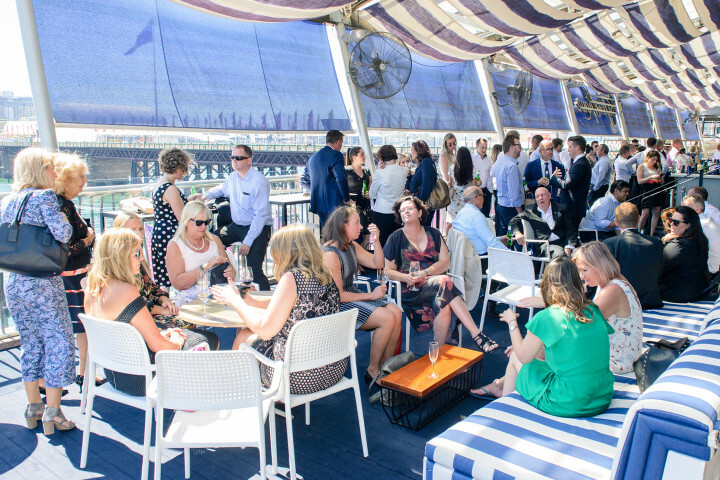 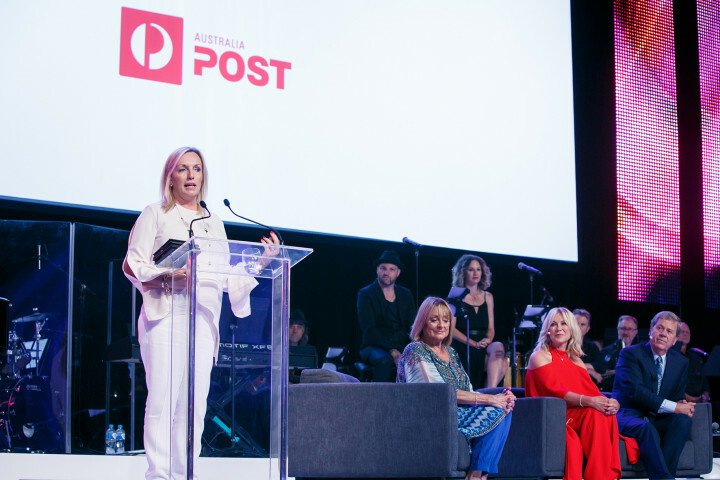 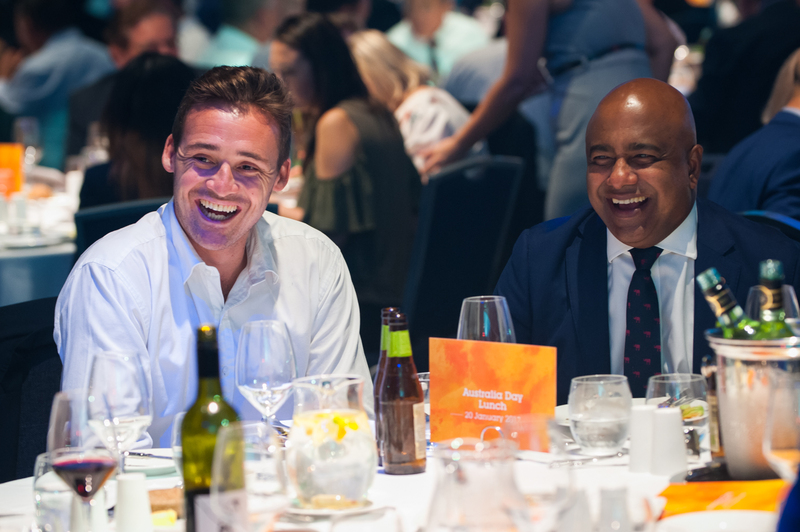 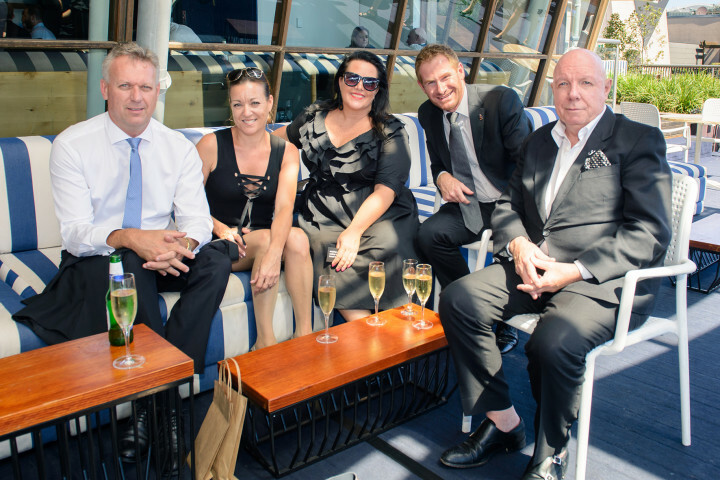 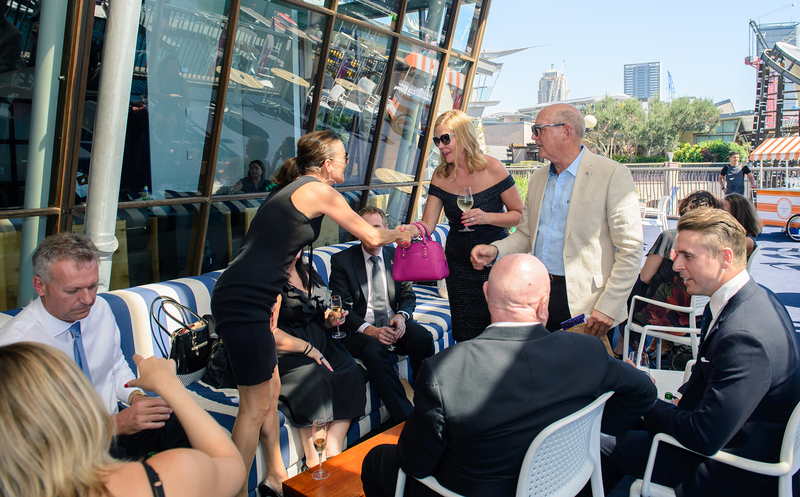 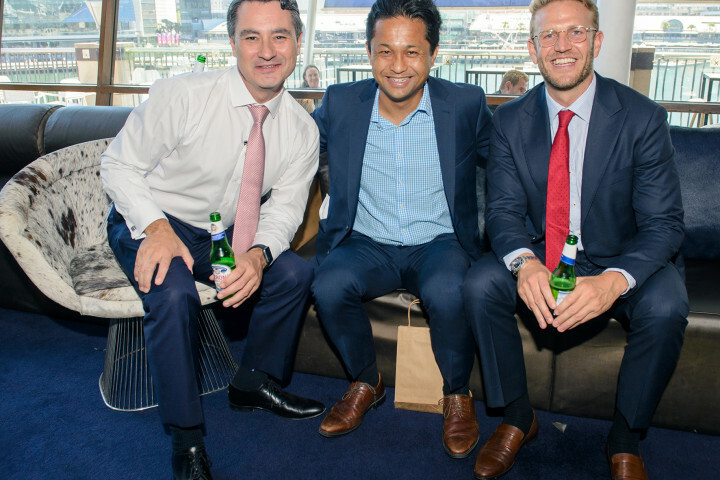 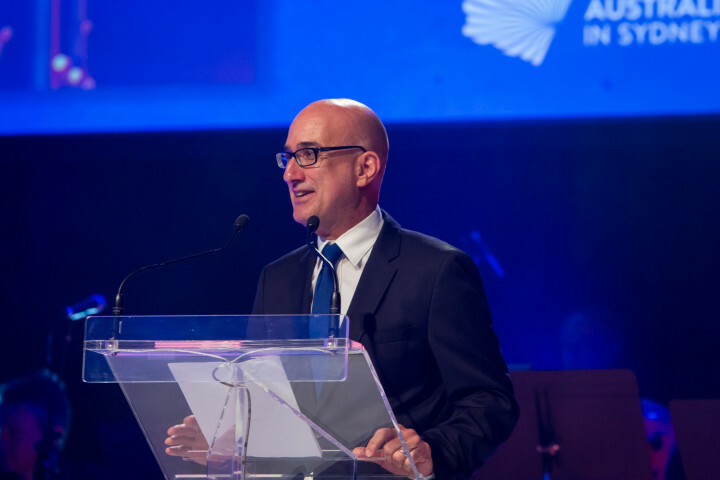 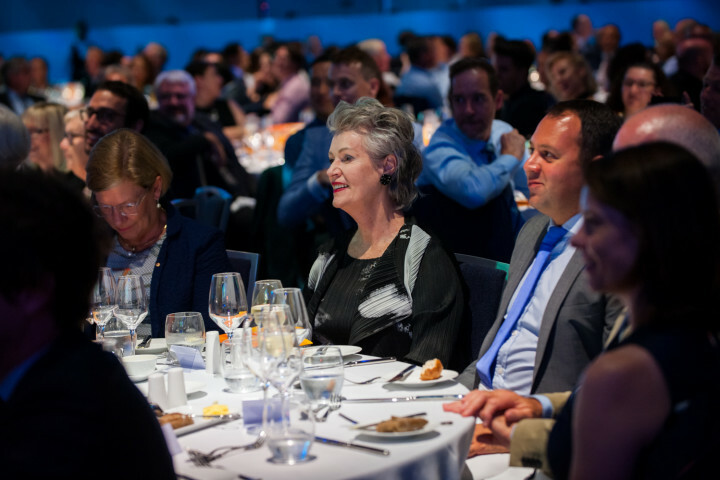 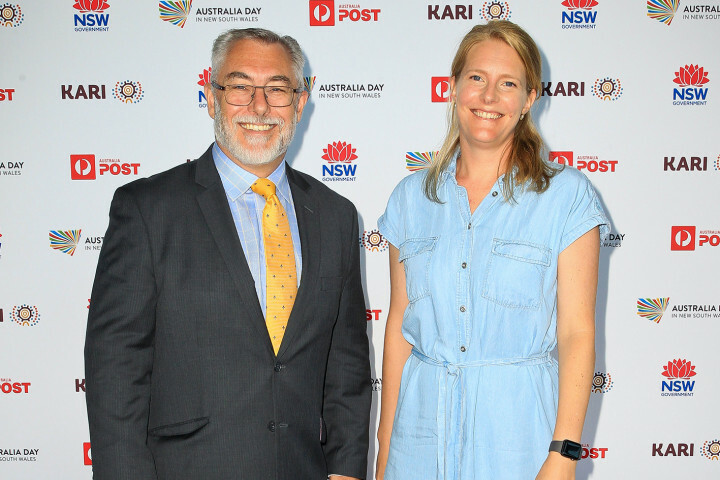 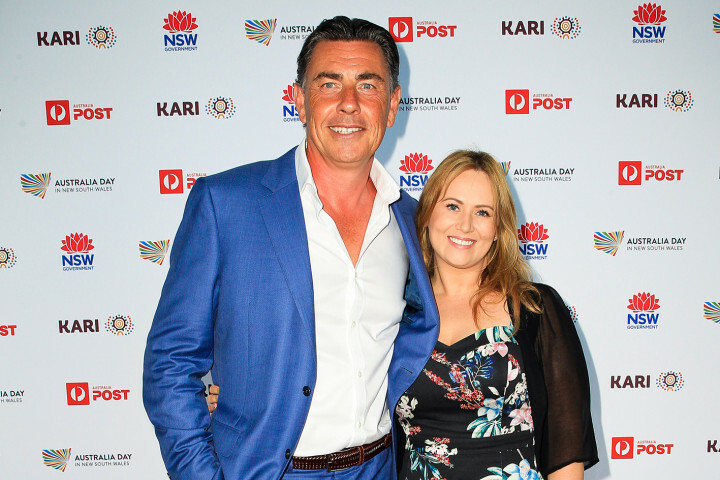 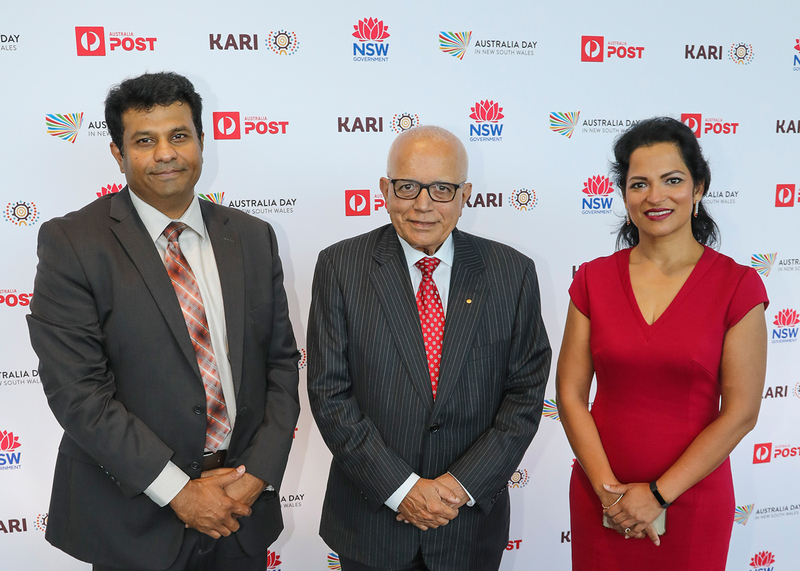 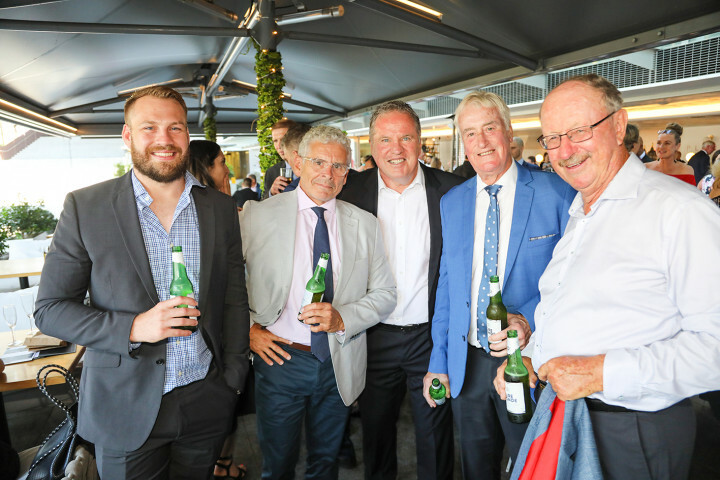 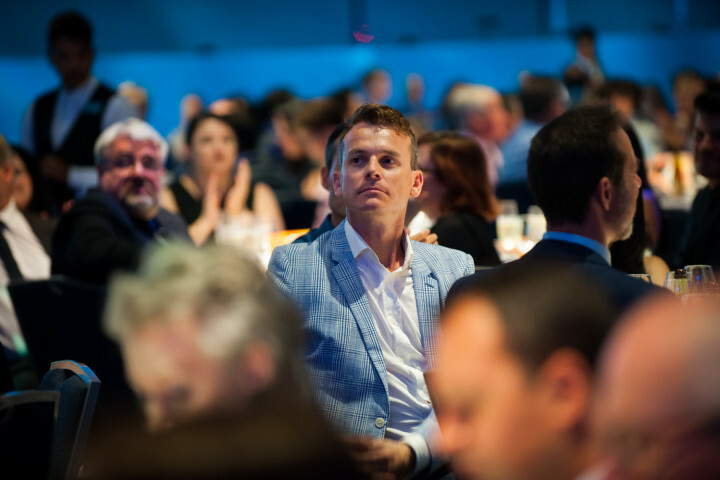 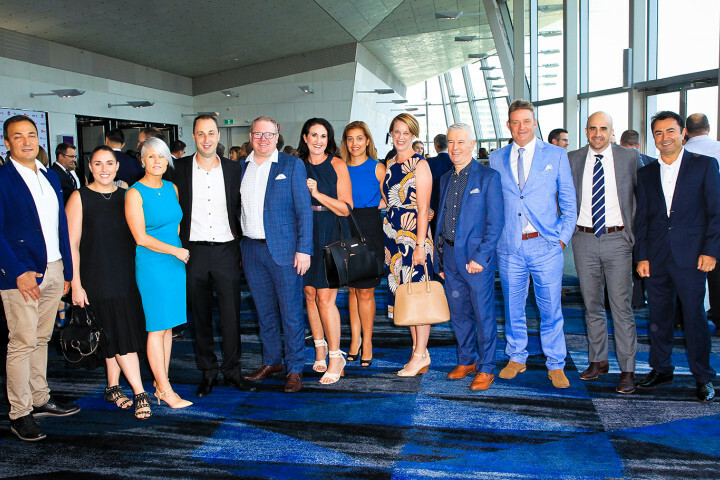 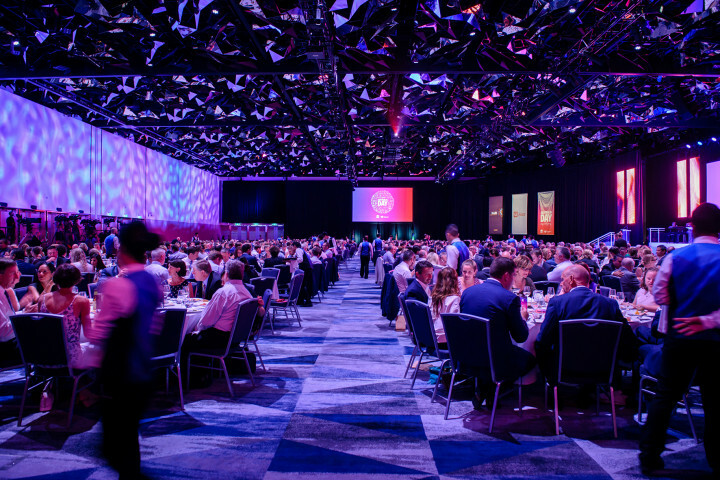 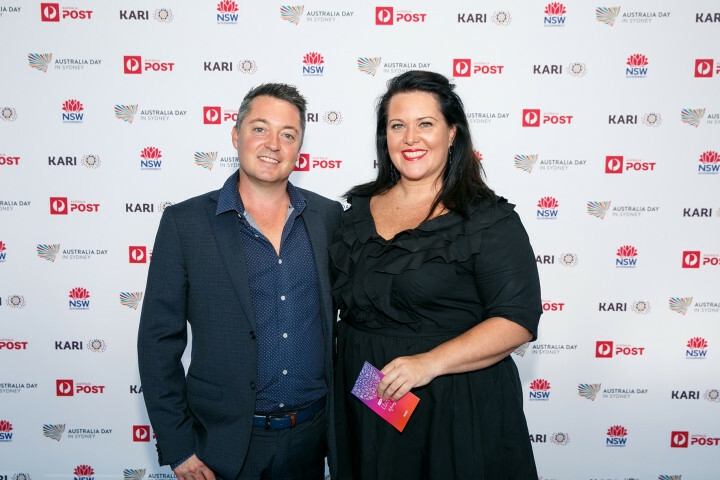 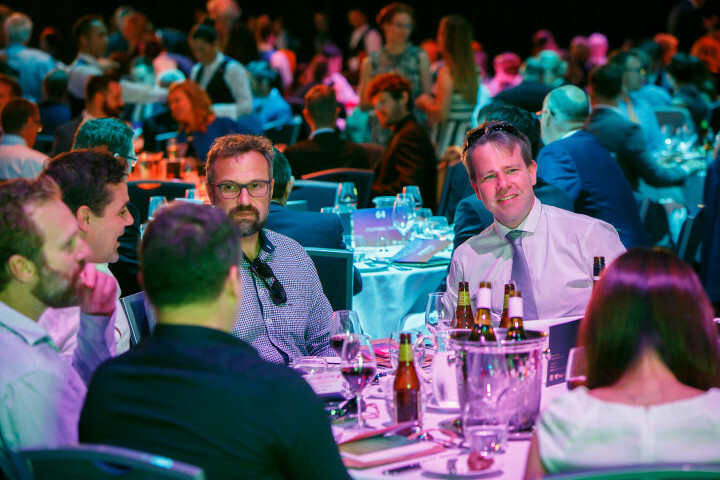 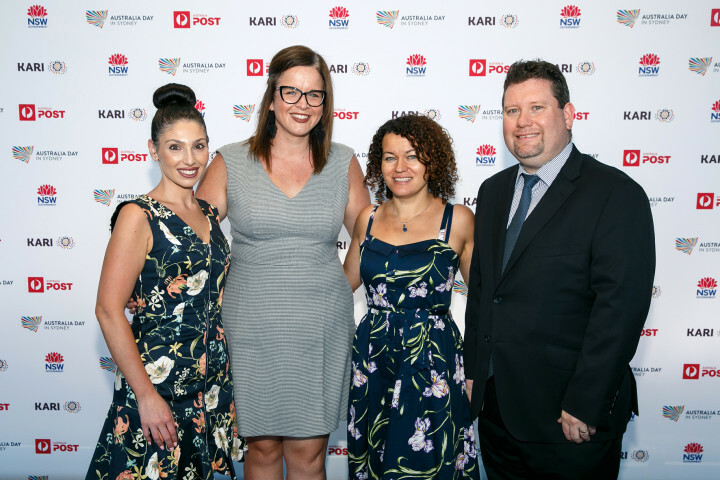 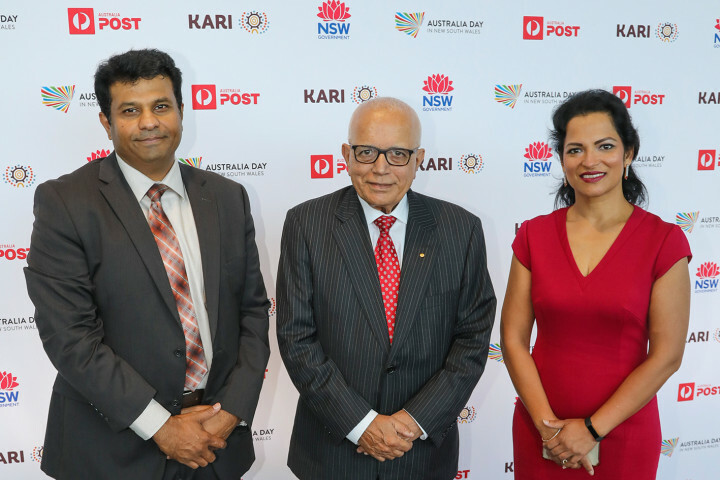 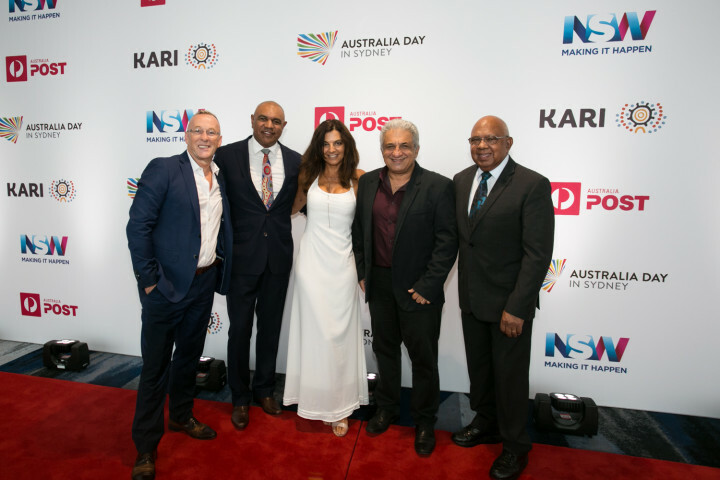 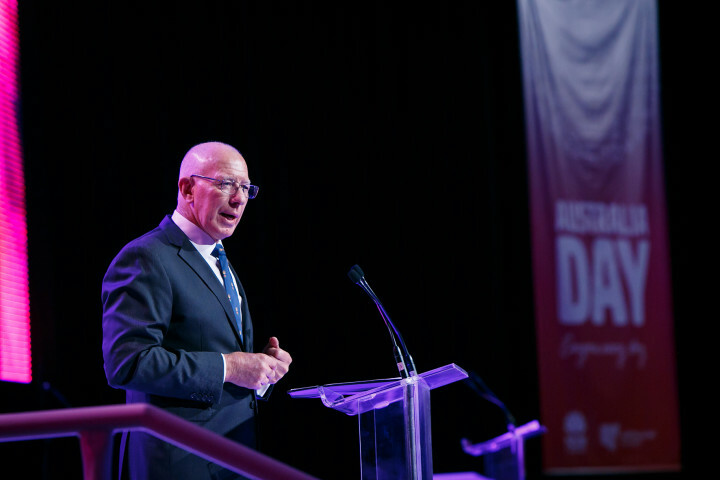 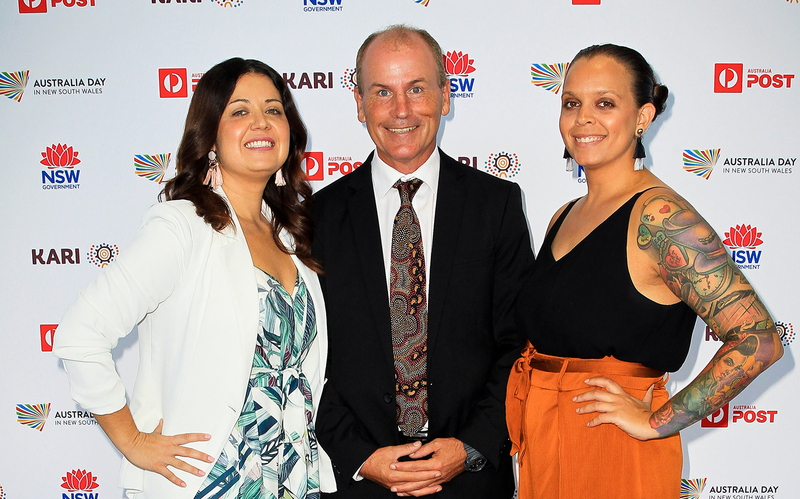 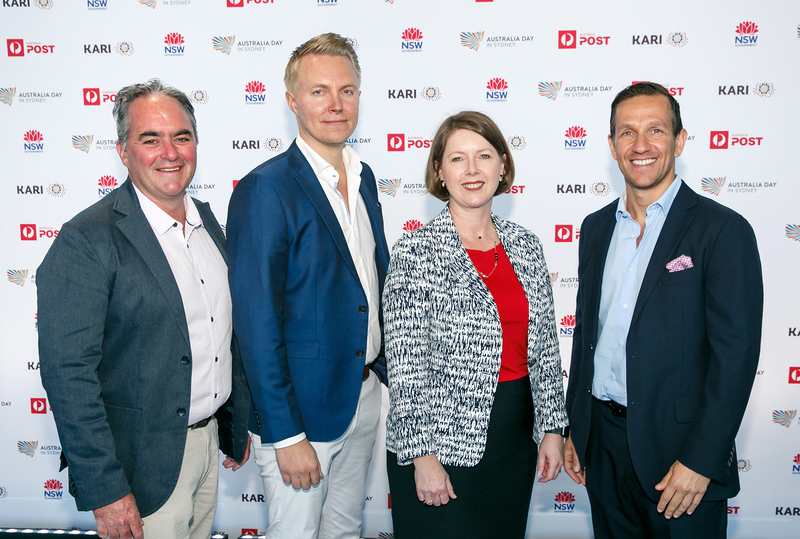 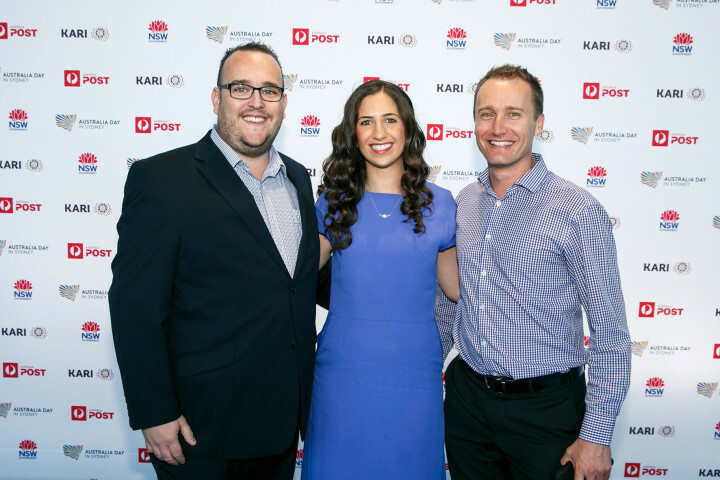 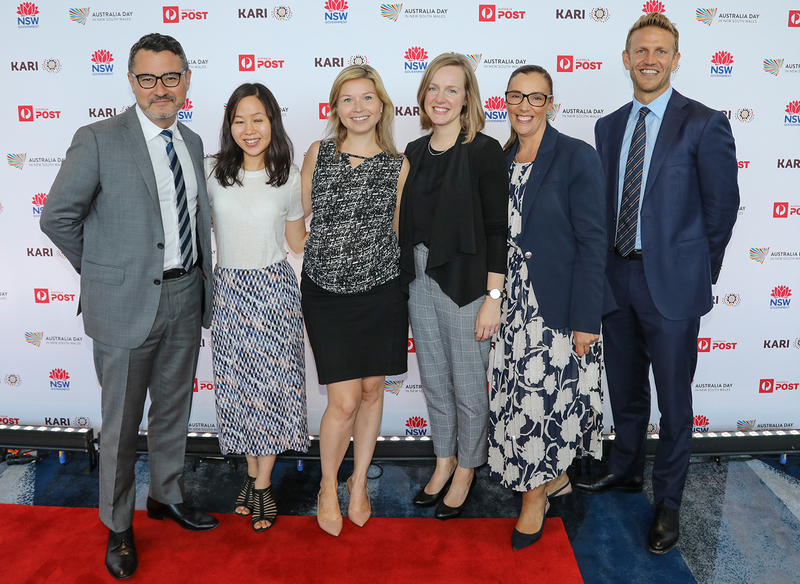 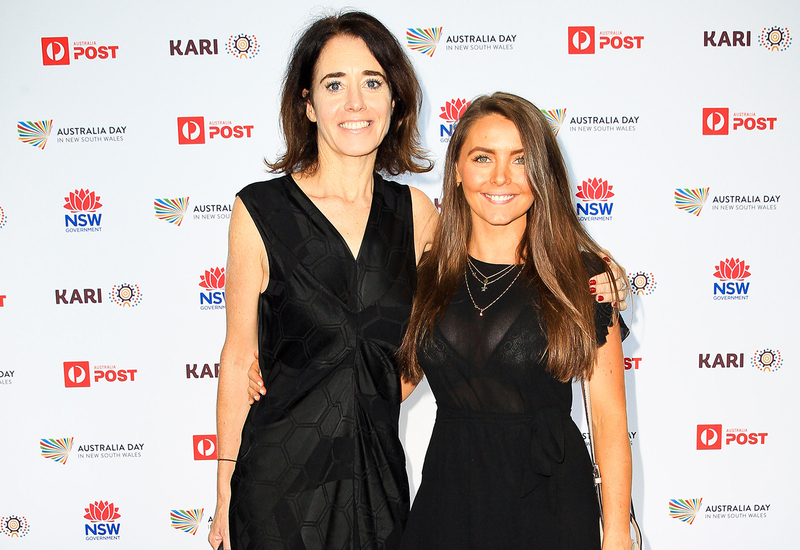 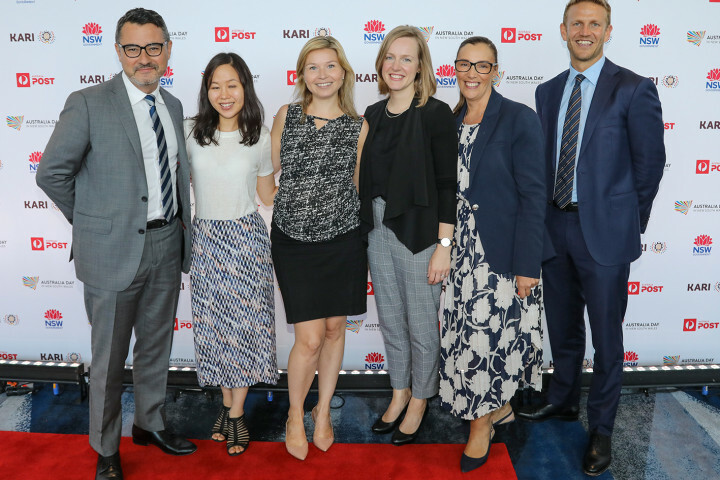 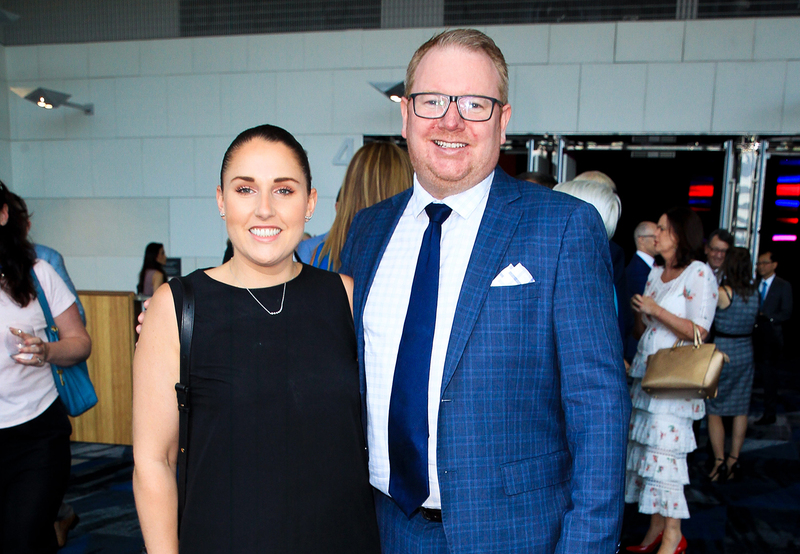 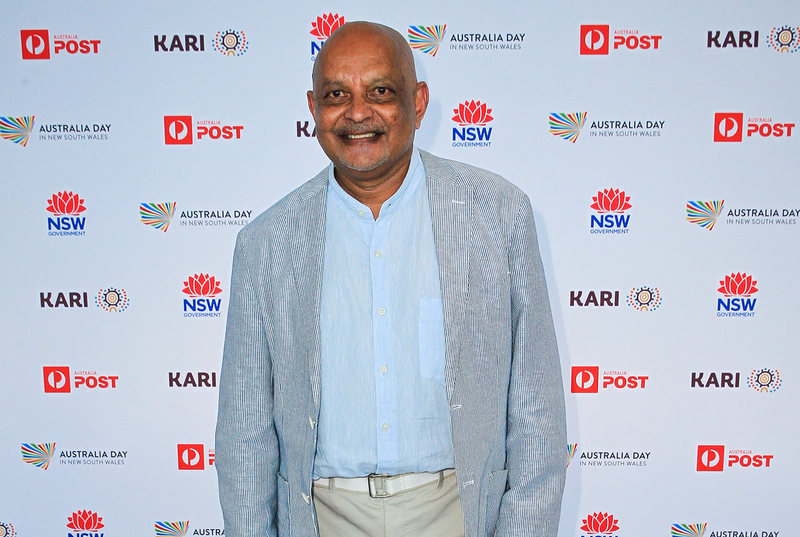 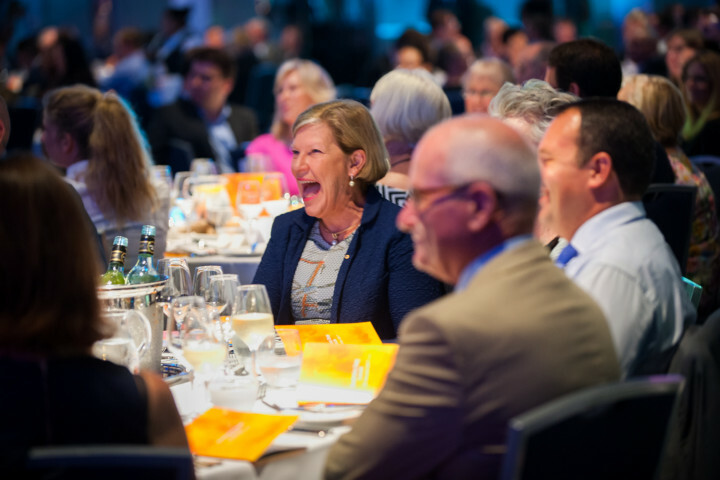 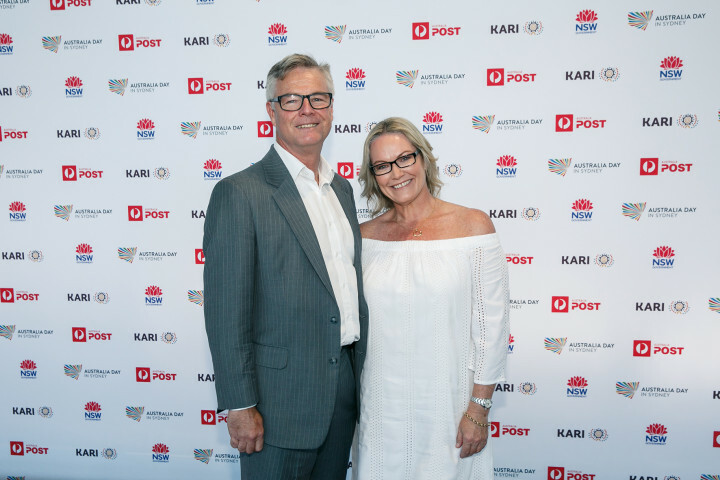 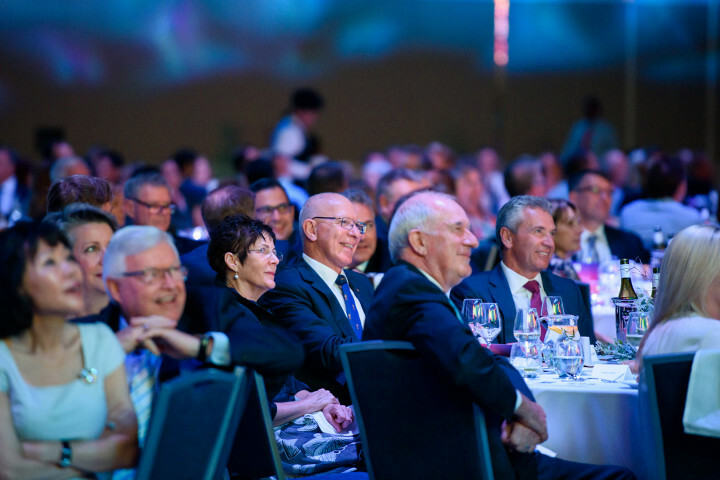 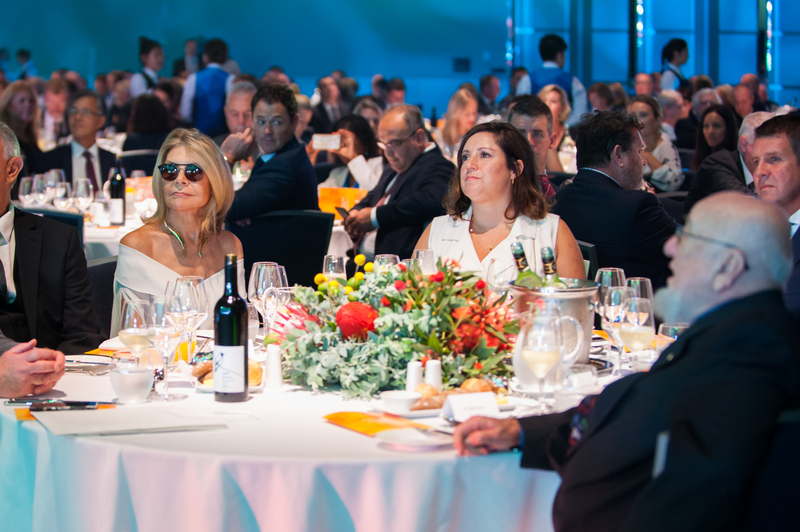 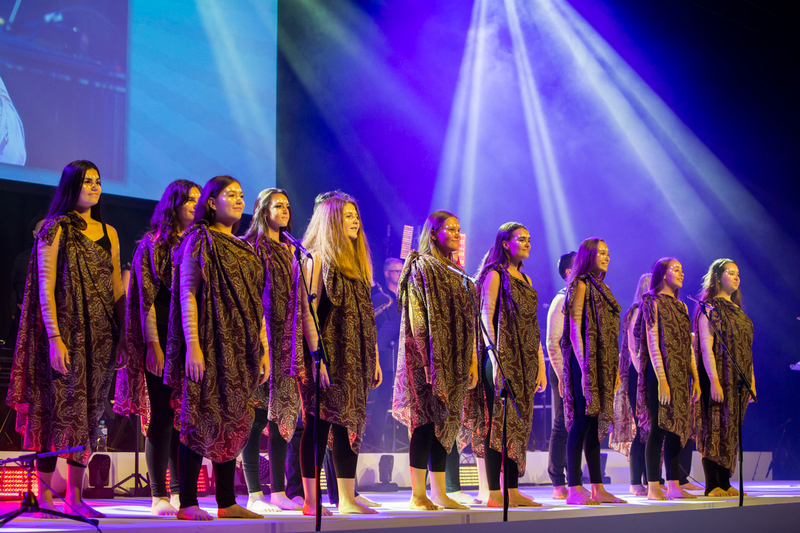 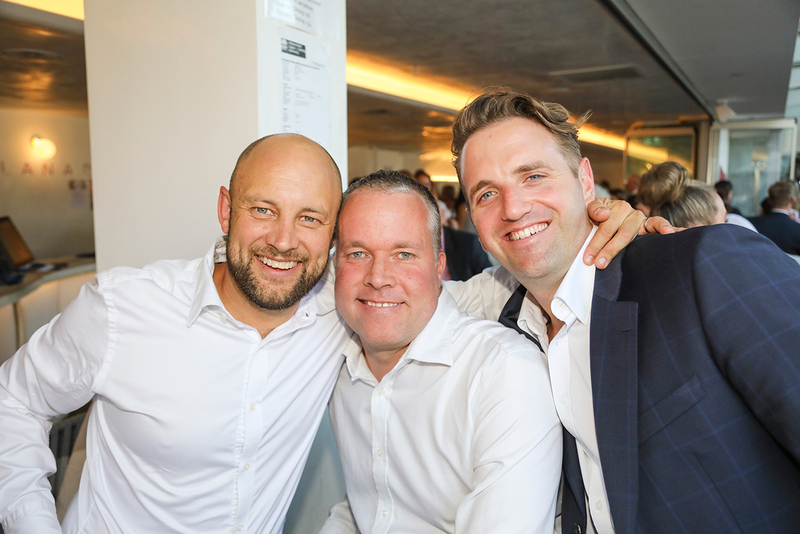 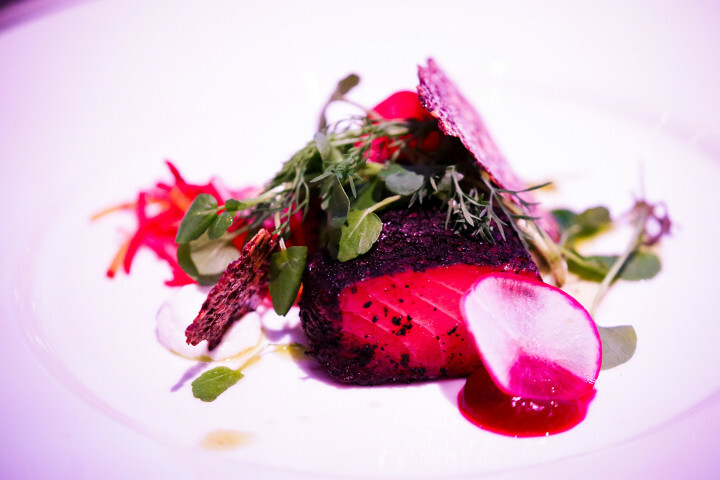 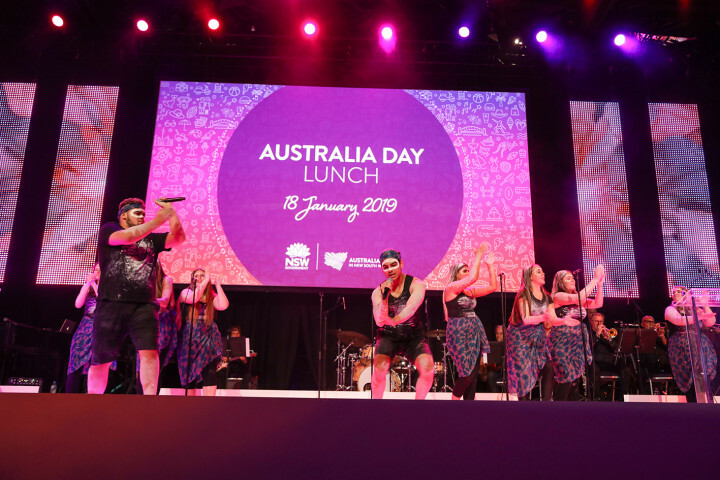 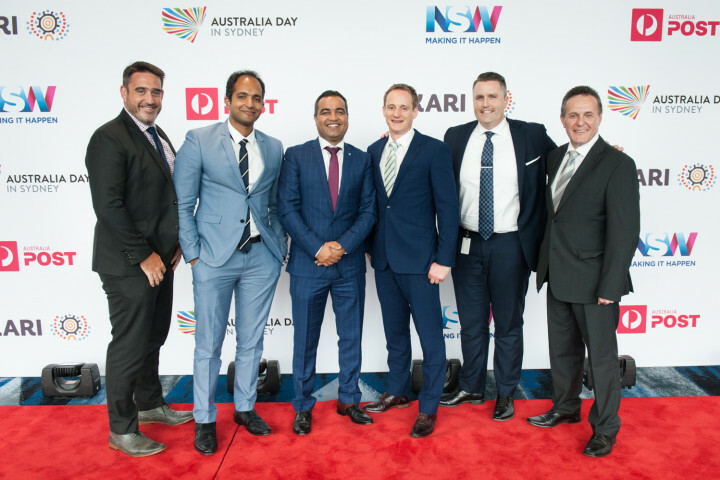 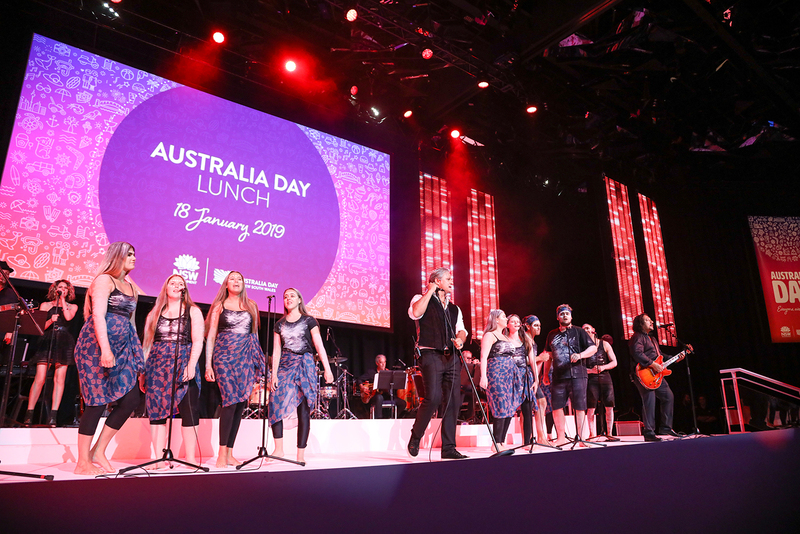 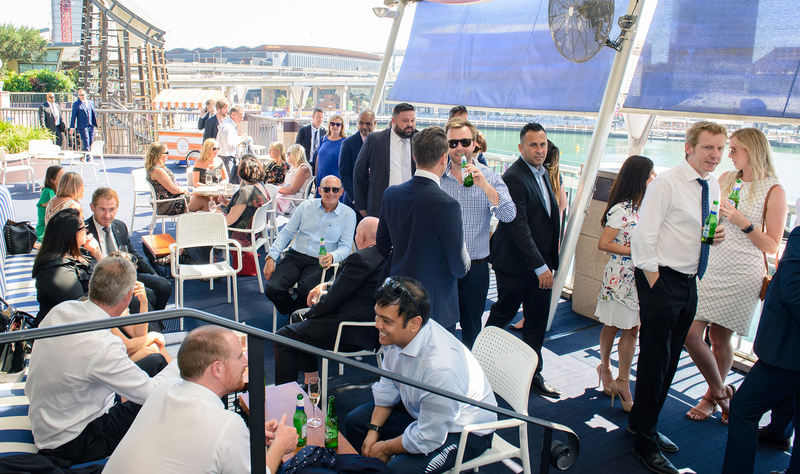 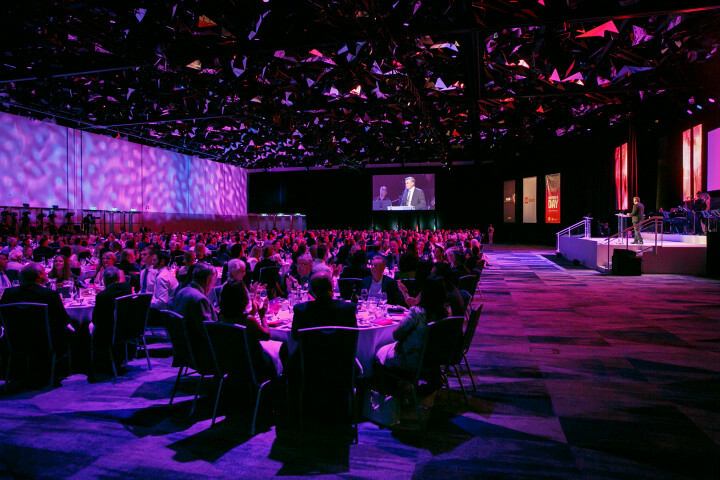 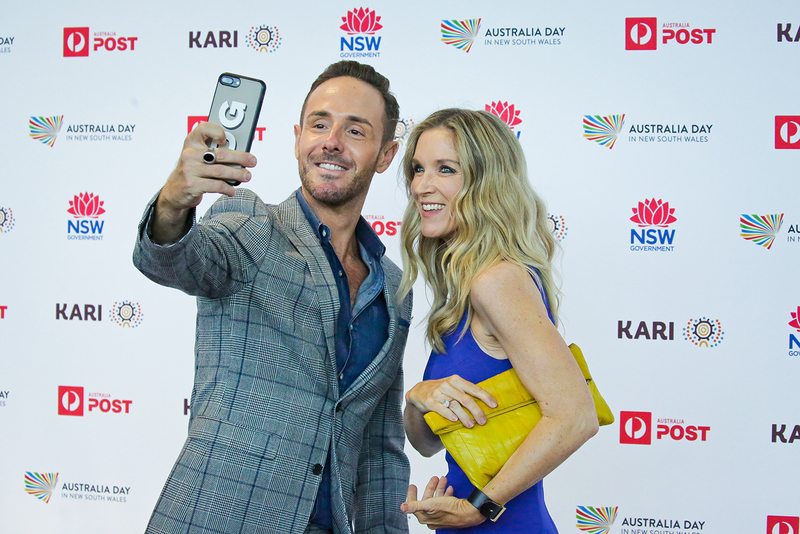 The 2019 Australia Day Lunch proved once again it is the most anticipated event on Sydney's corporate calendar and not to be missed. 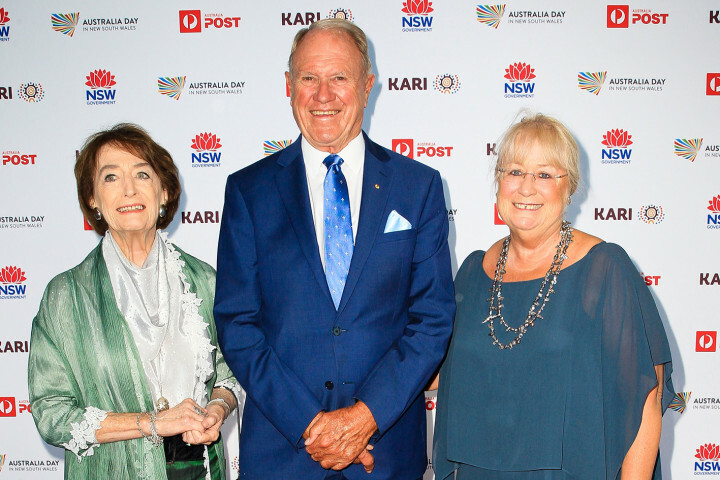 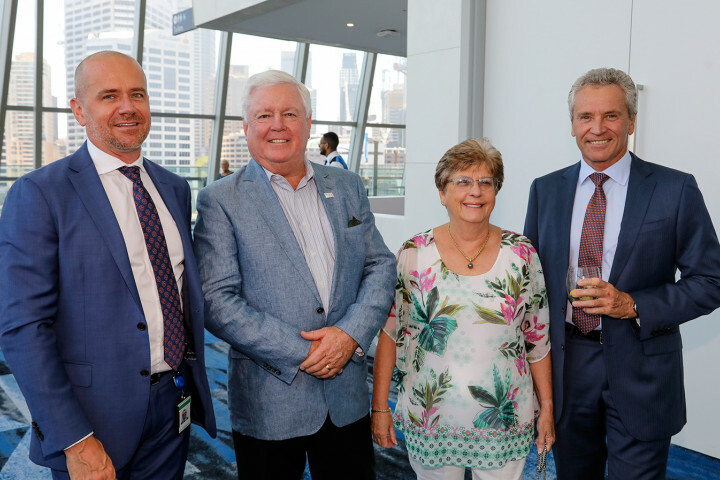 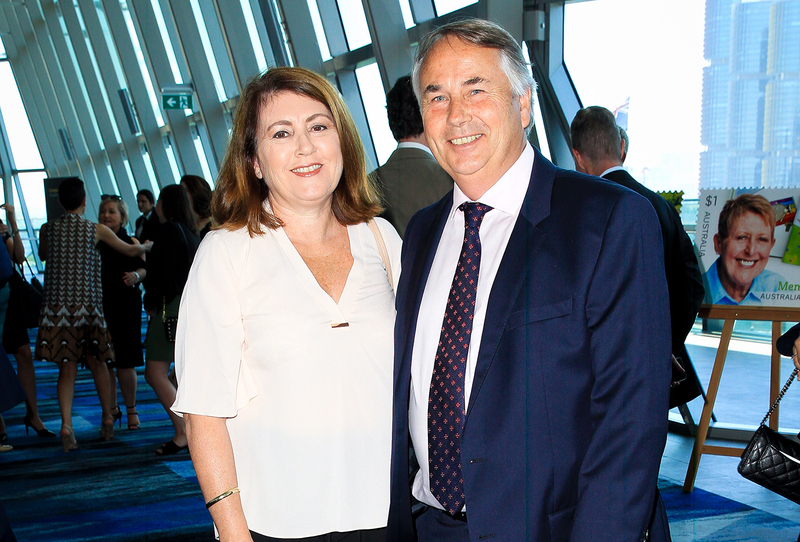 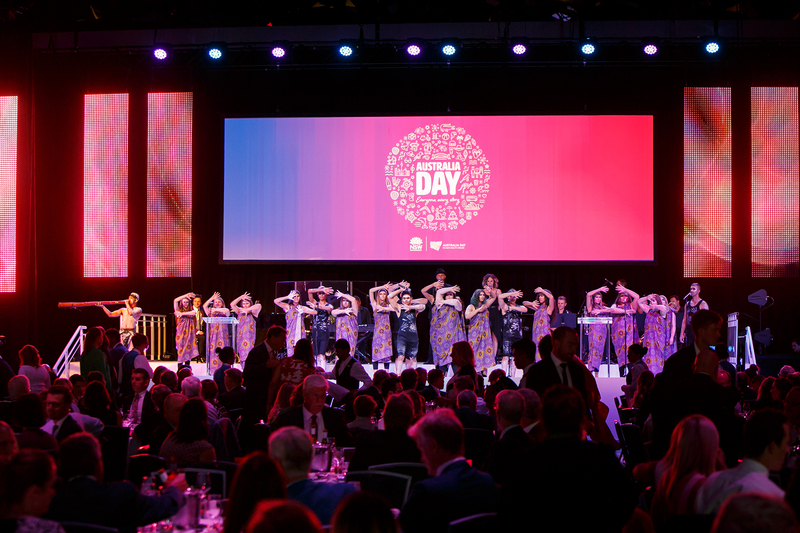 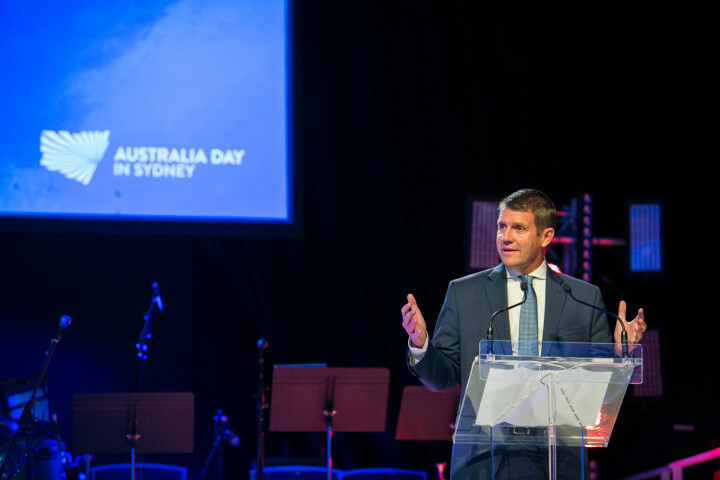 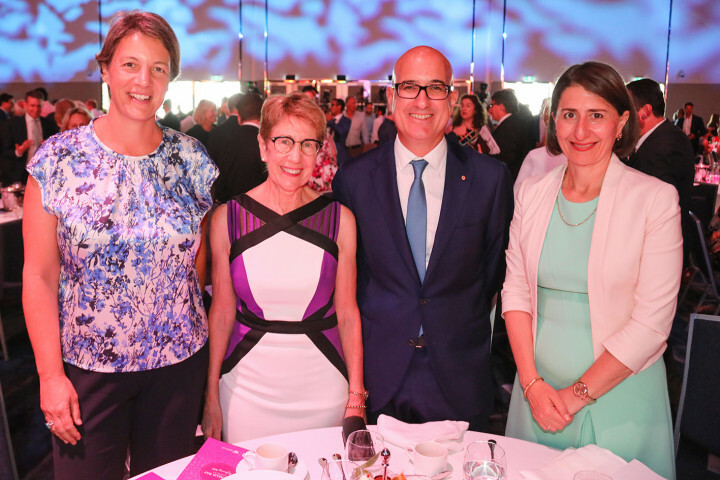 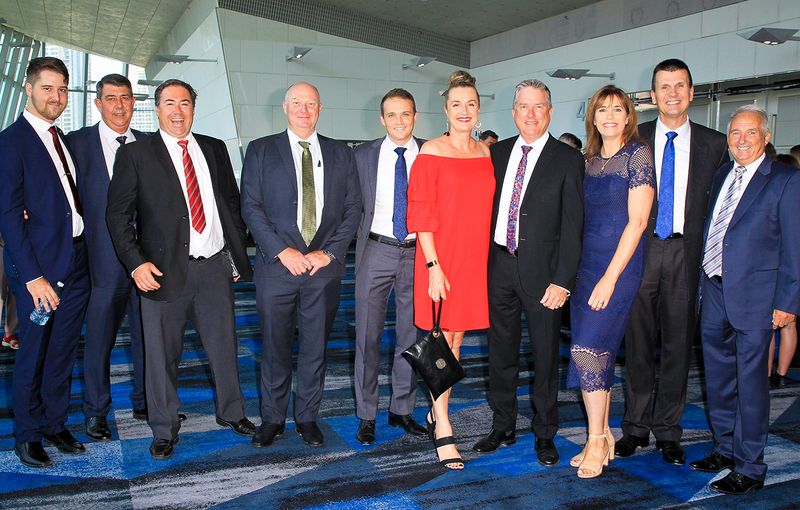 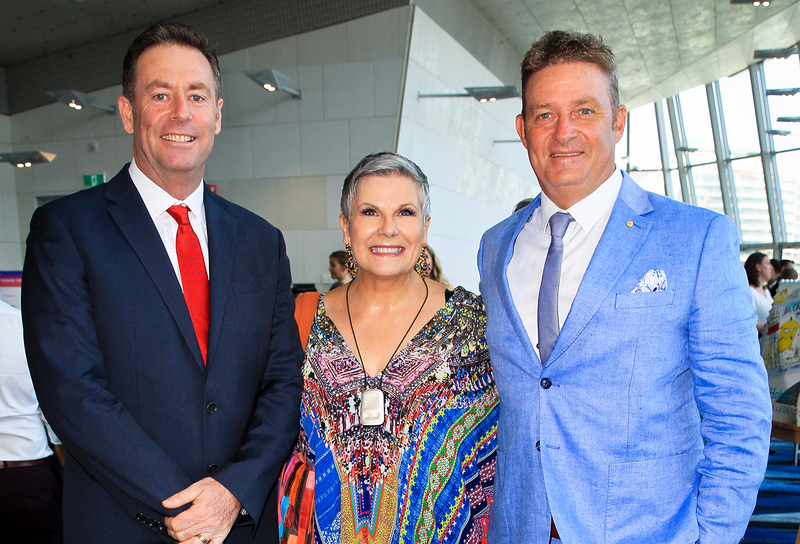 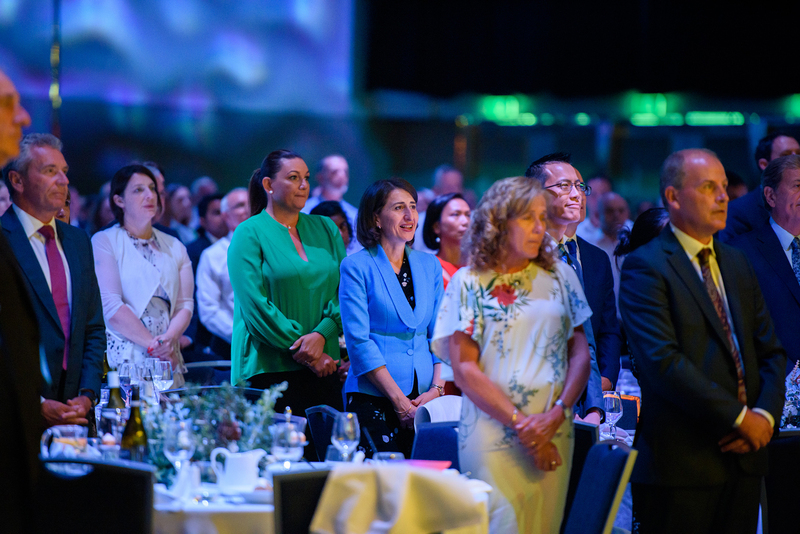 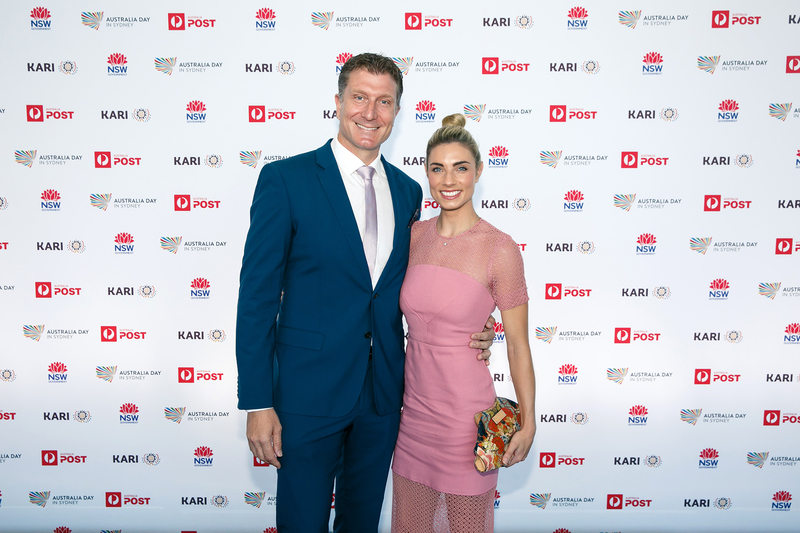 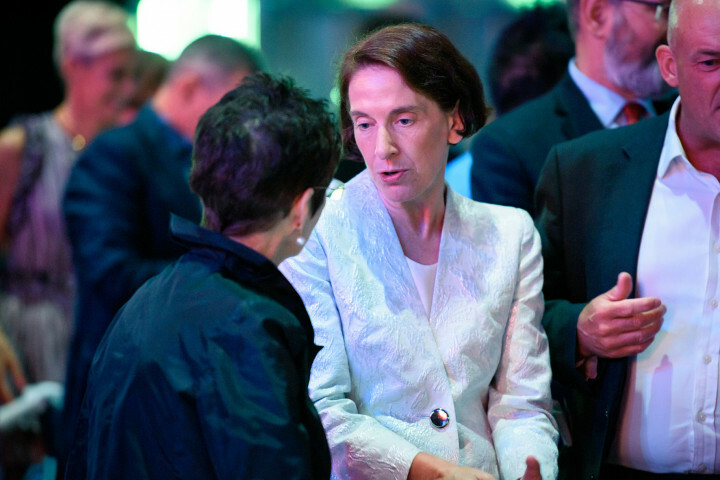 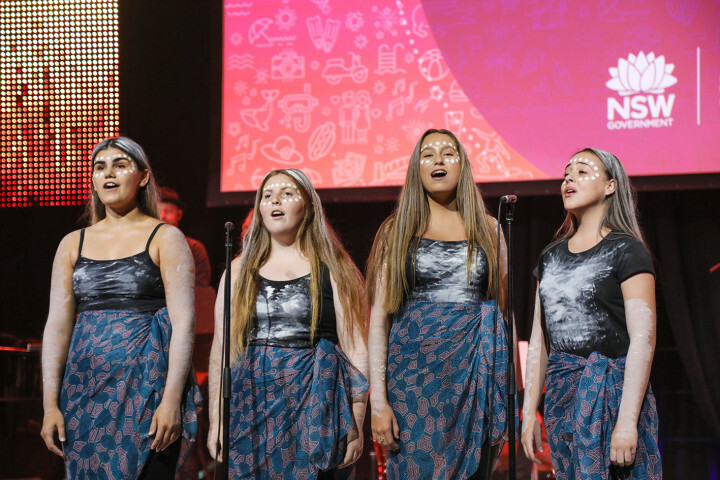 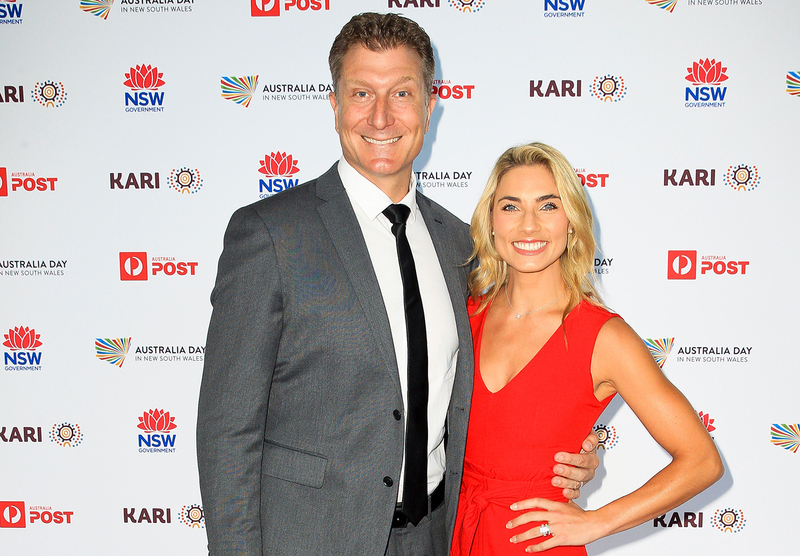 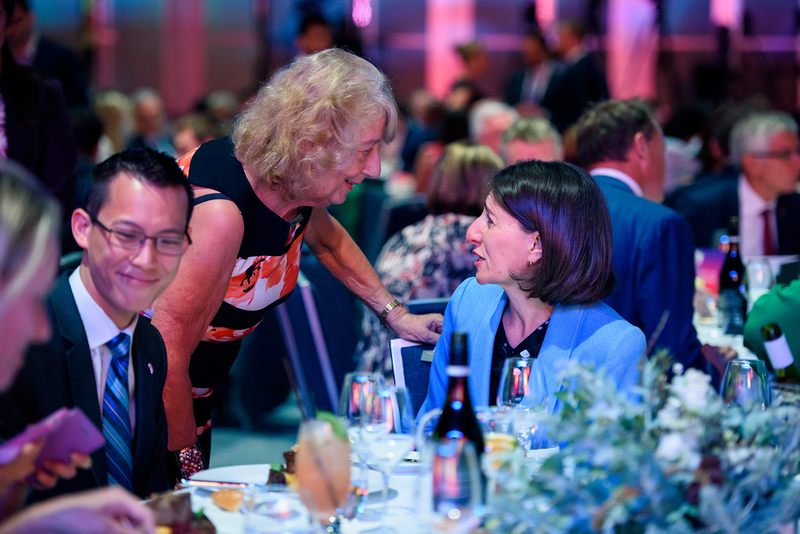 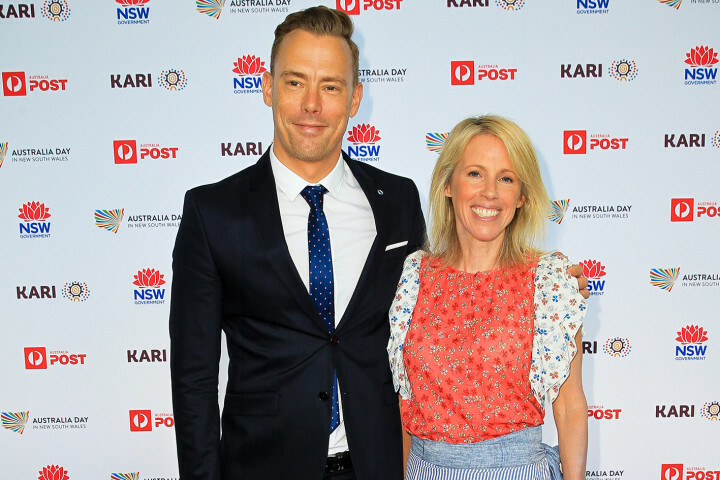 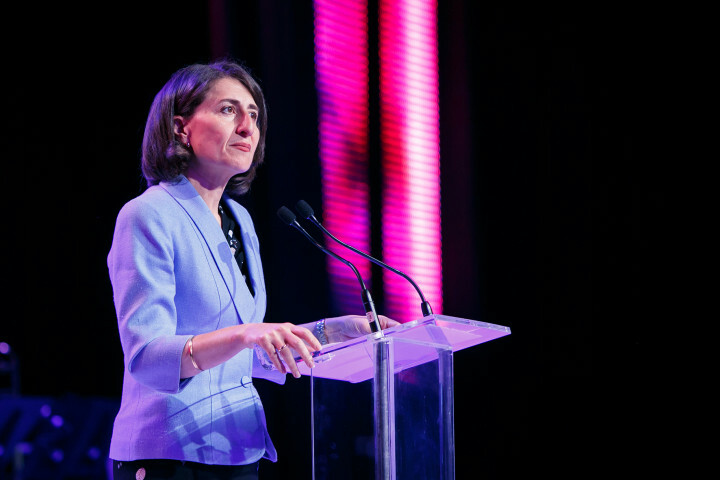 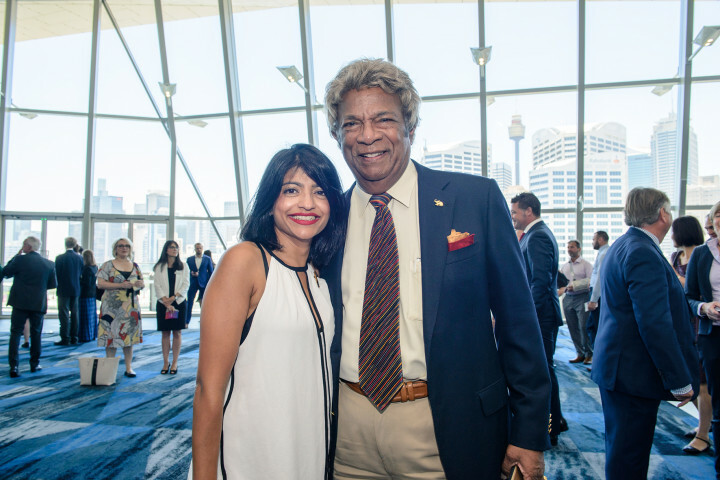 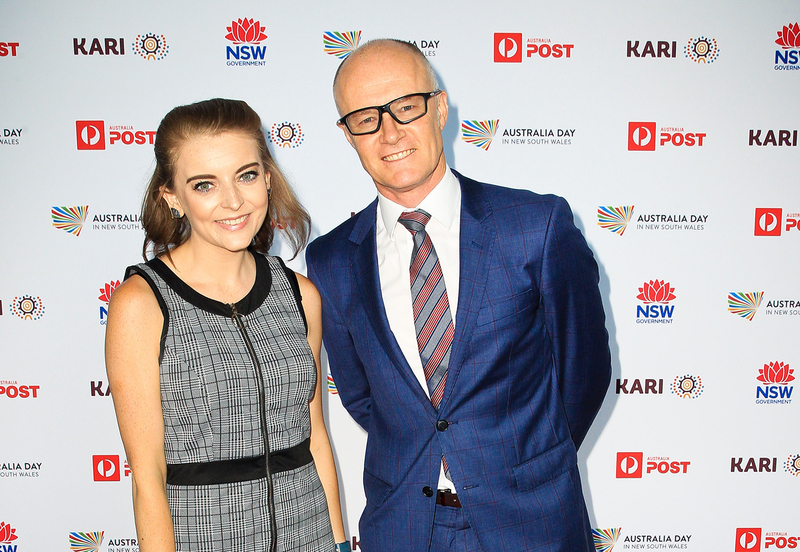 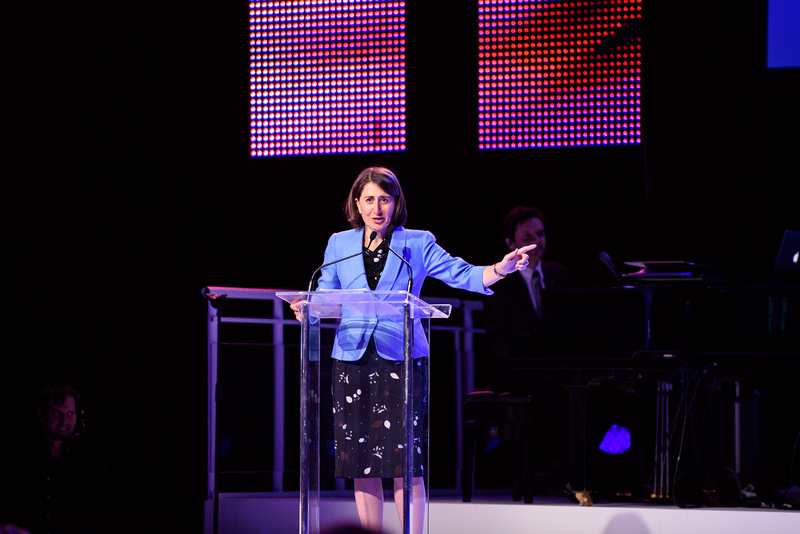 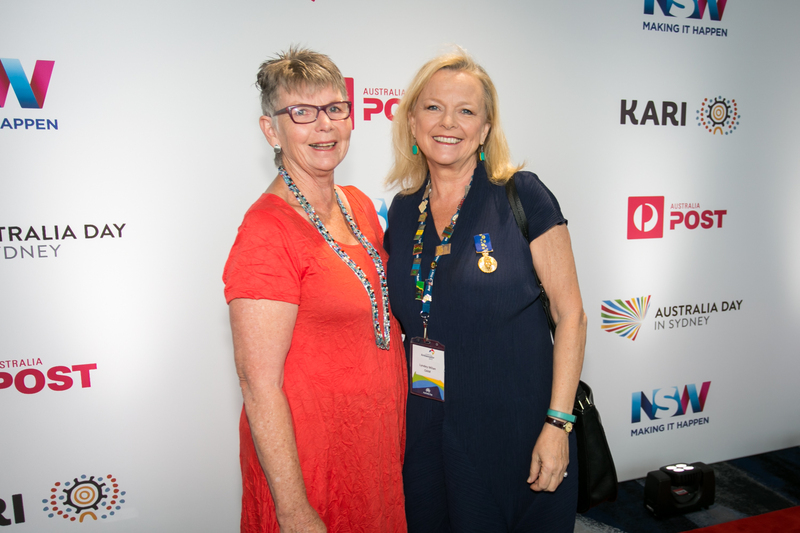 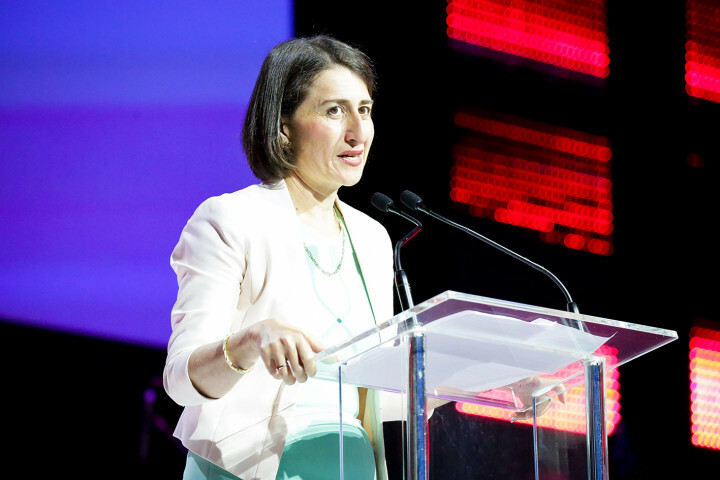 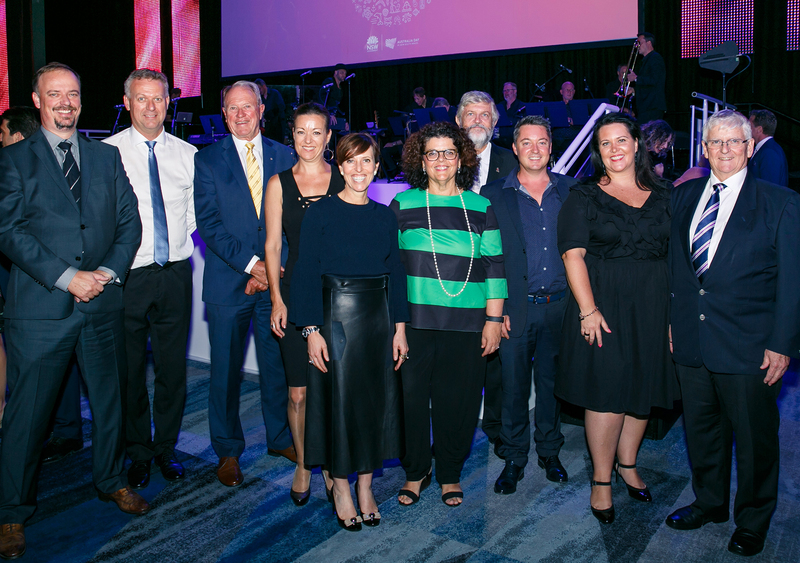 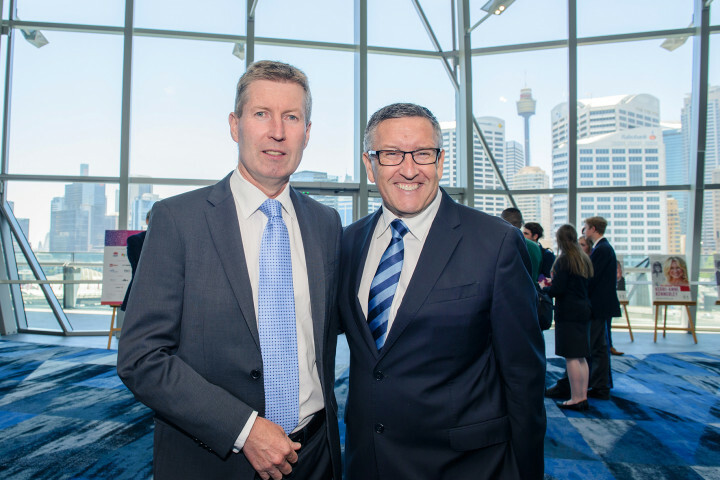 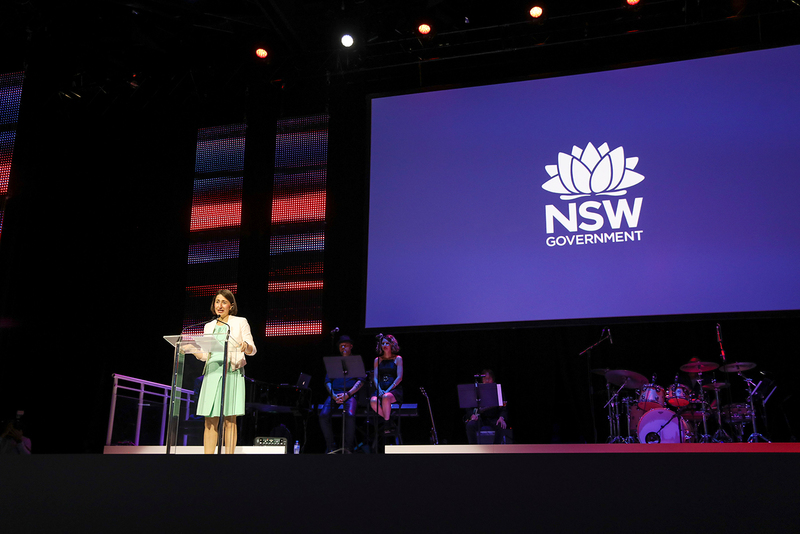 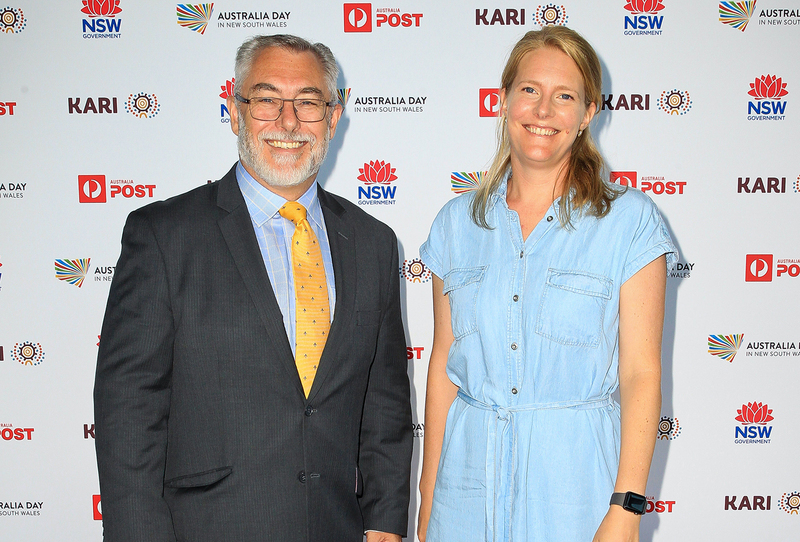 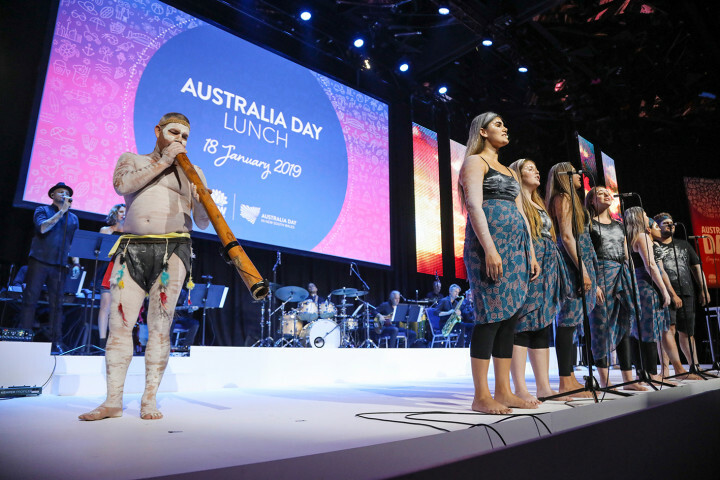 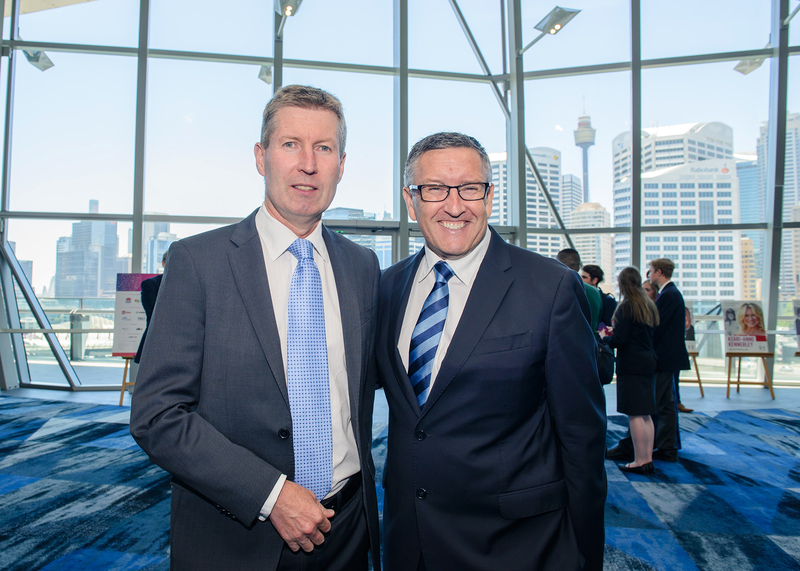 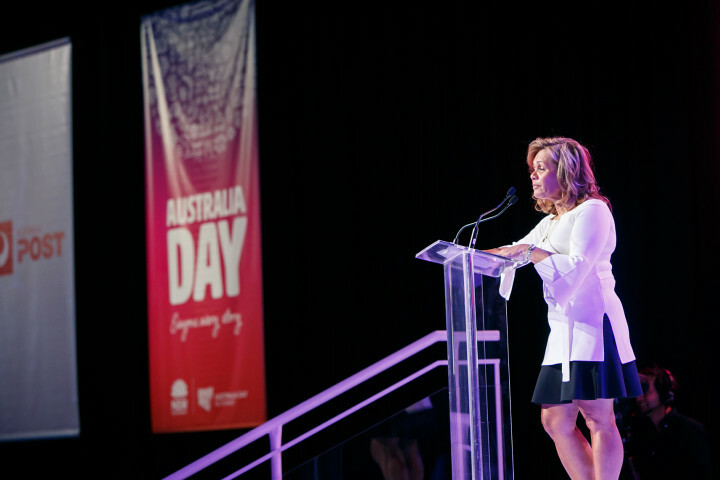 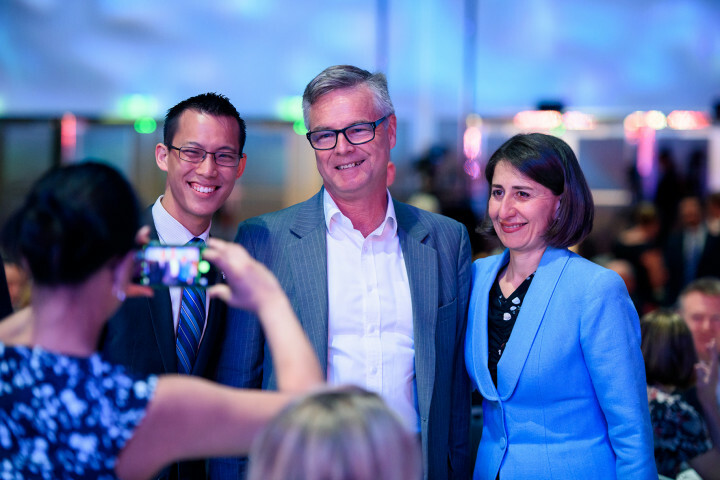 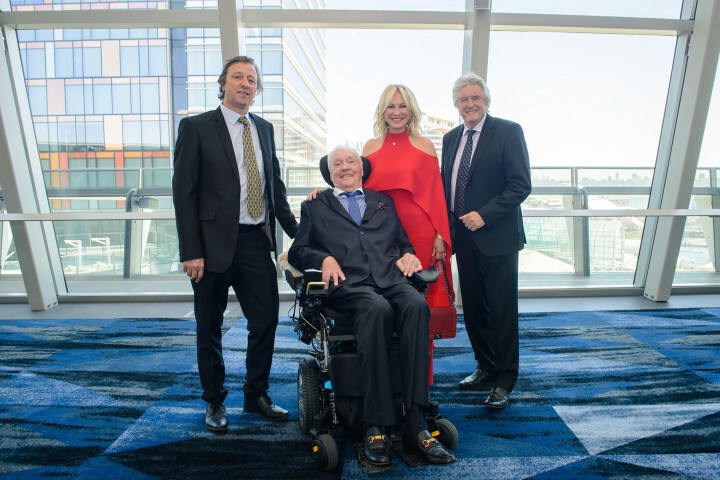 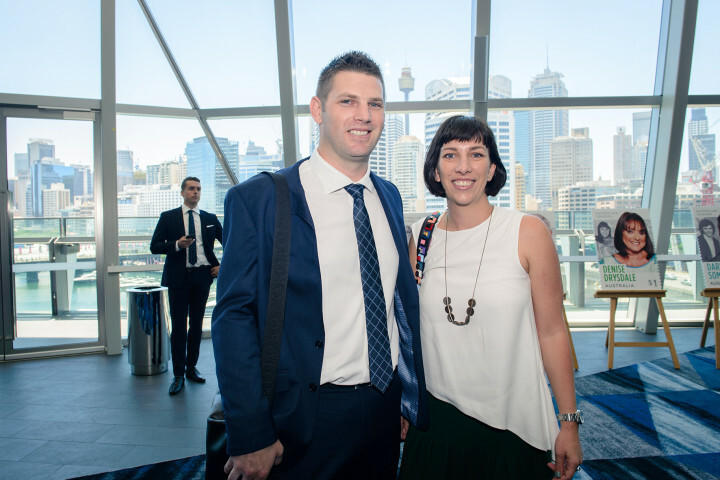 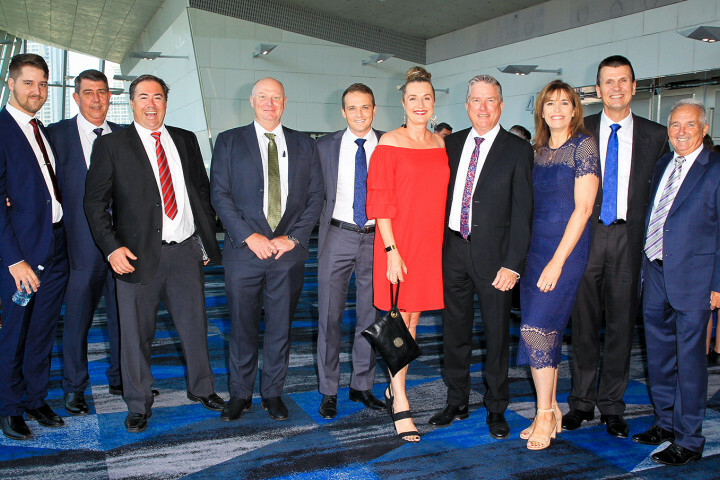 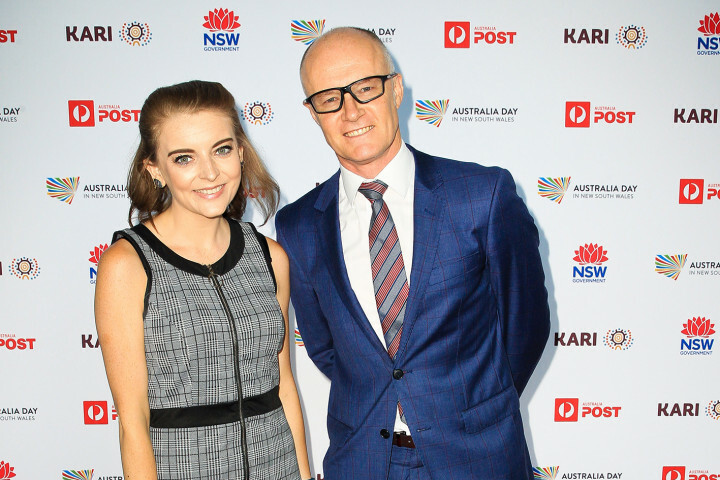 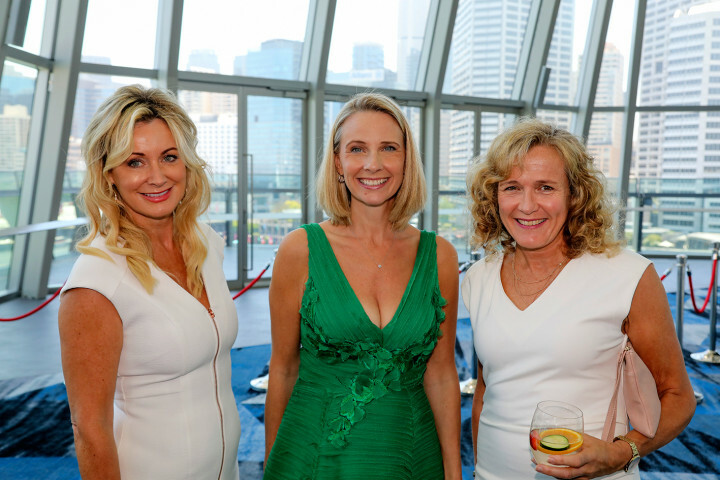 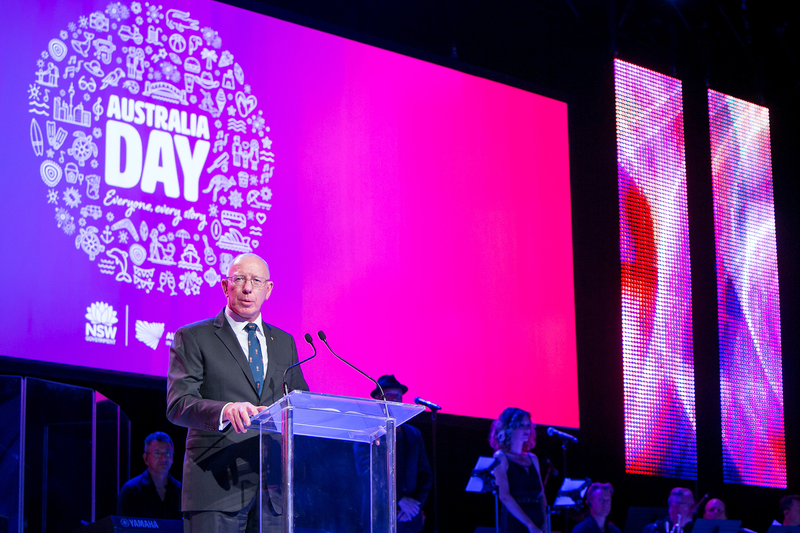 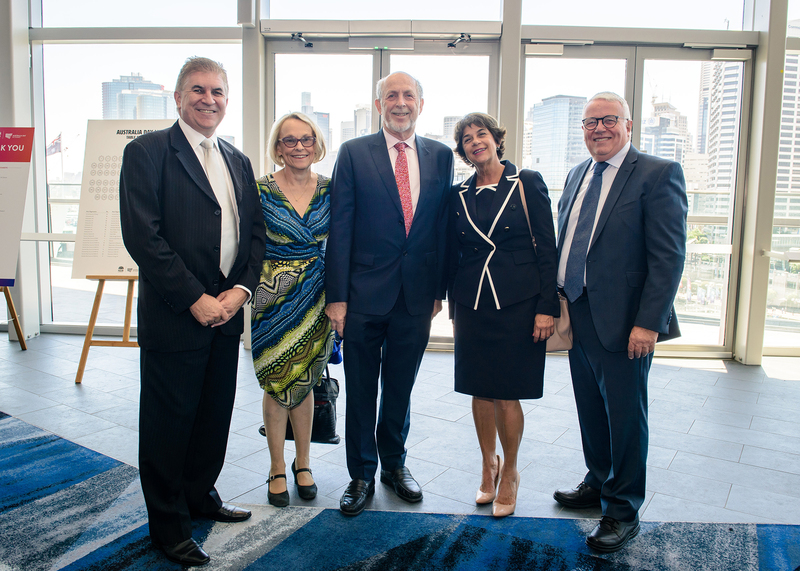 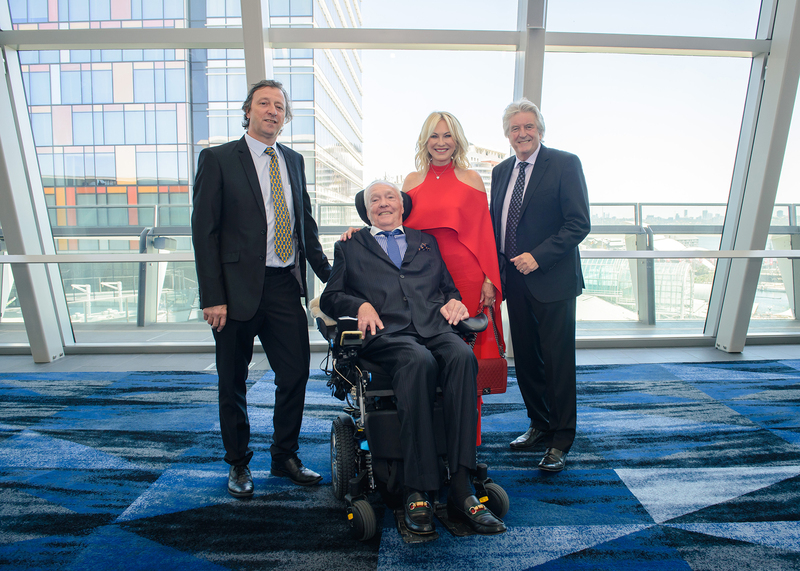 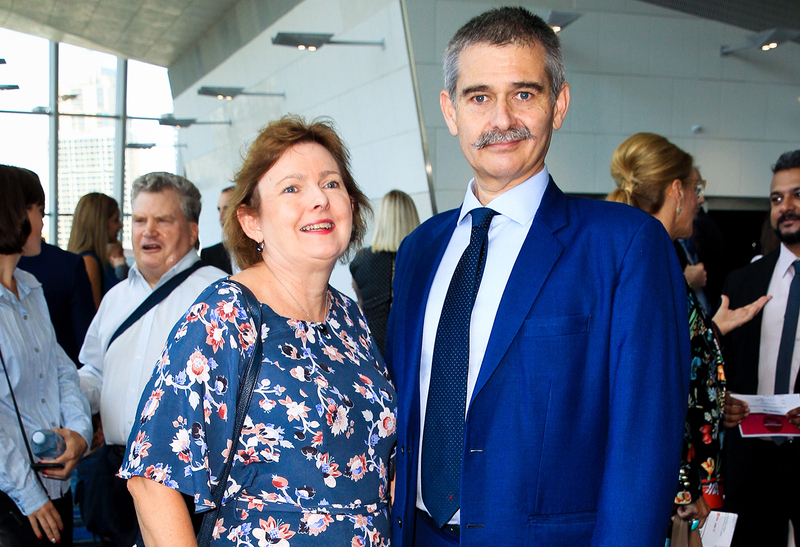 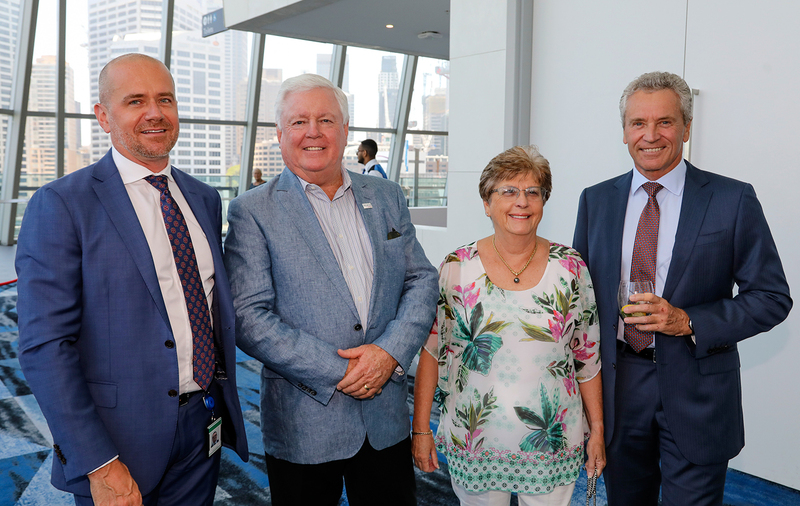 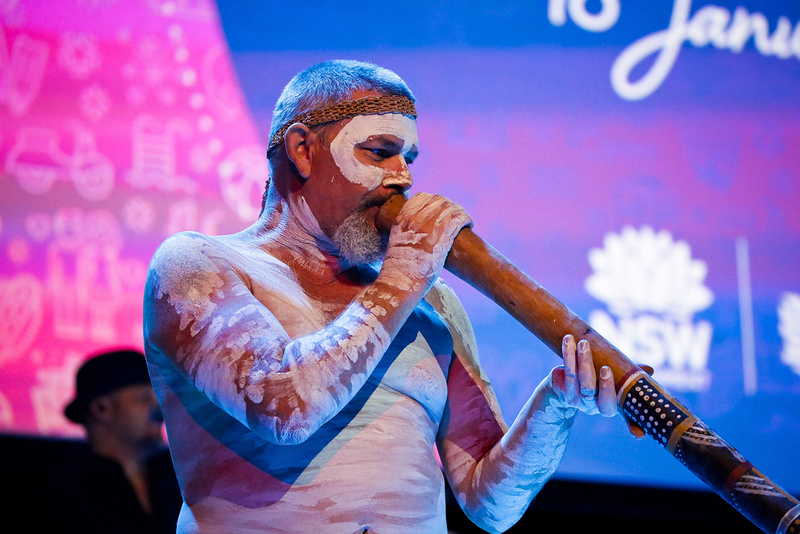 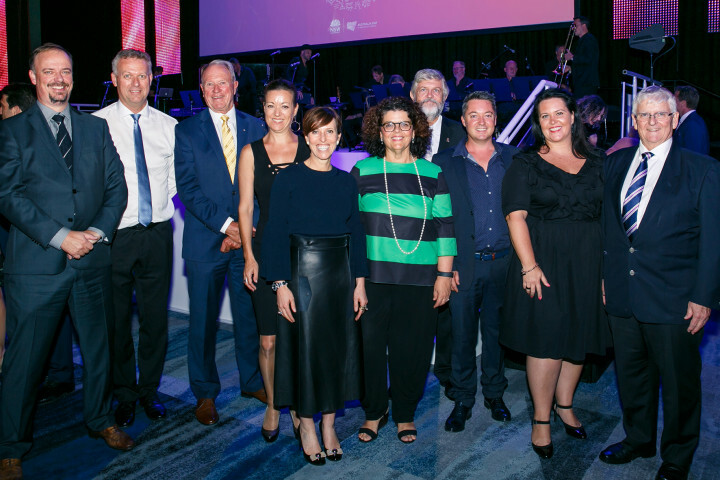 Sydney was at its stunning best as the ICC Sydney welcomed 800 representatives from the corporate, government and community sectors to the 2019 Australia Day Lunch. 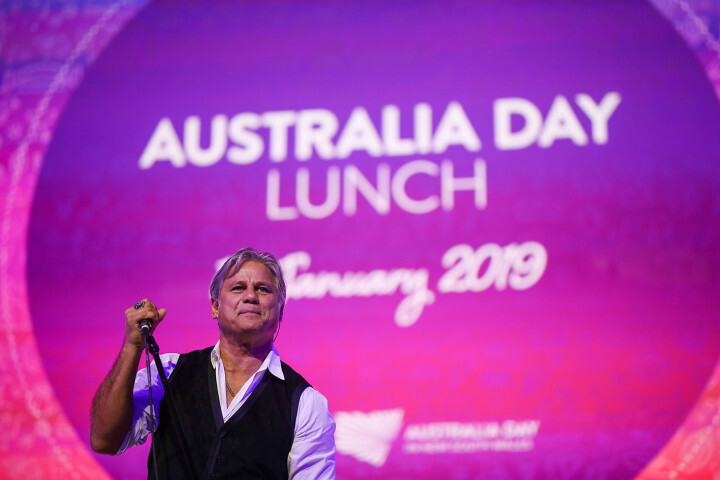 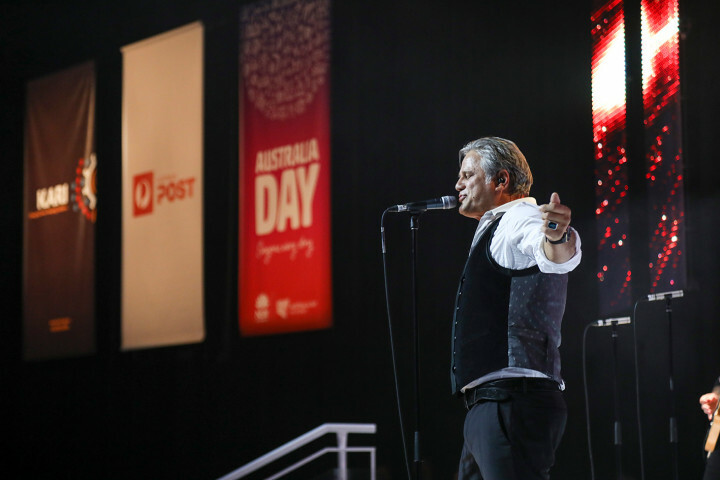 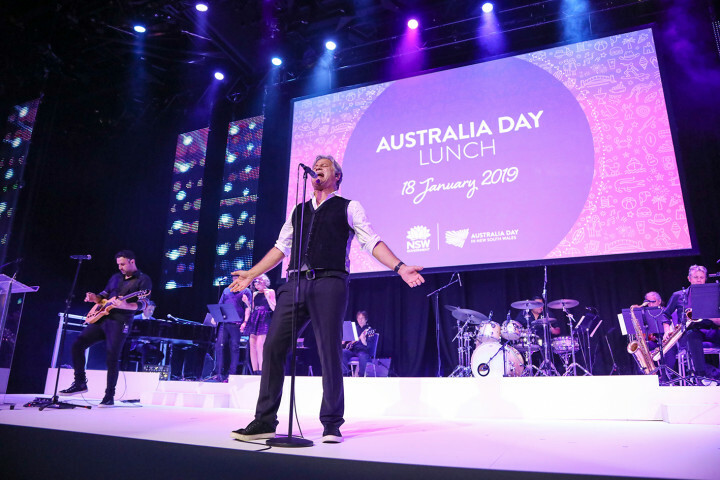 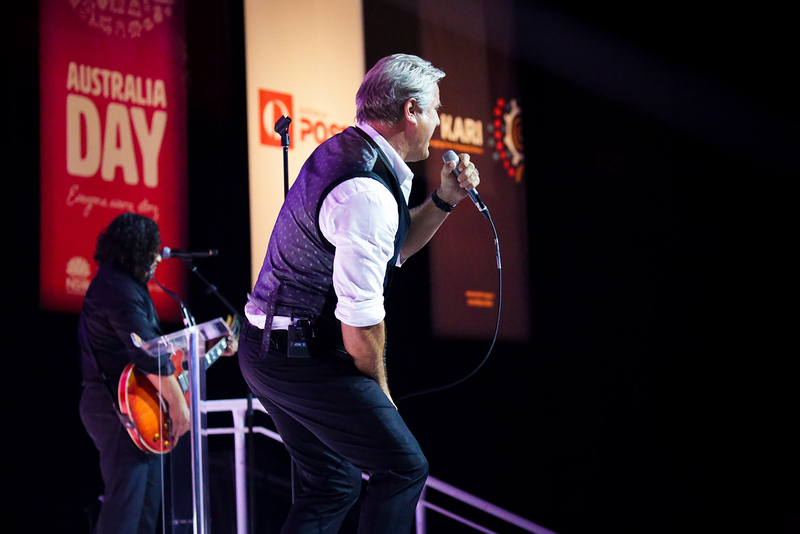 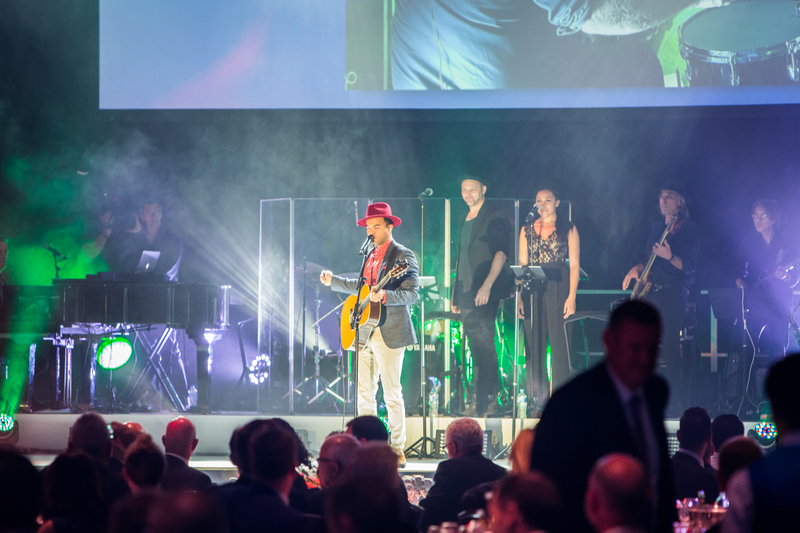 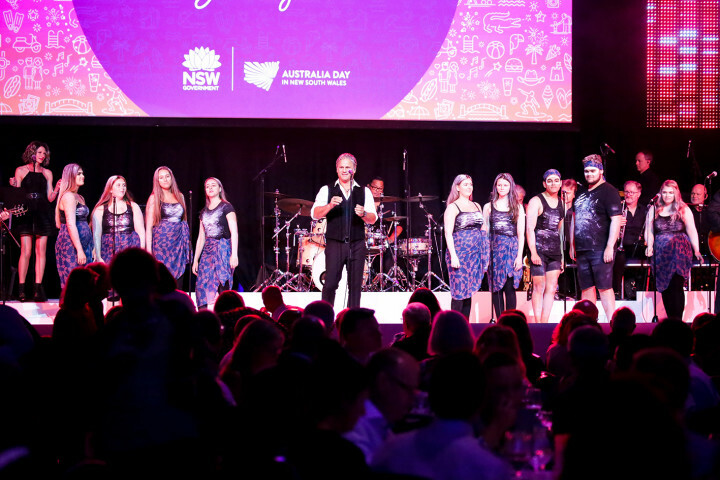 The Lunch kicked off with two Noiseworks hits performed by rock legend Jon Stevens - setting the tone for what was to come - alongside musical director John Foreman OAM and the Australia Day Lunch band. 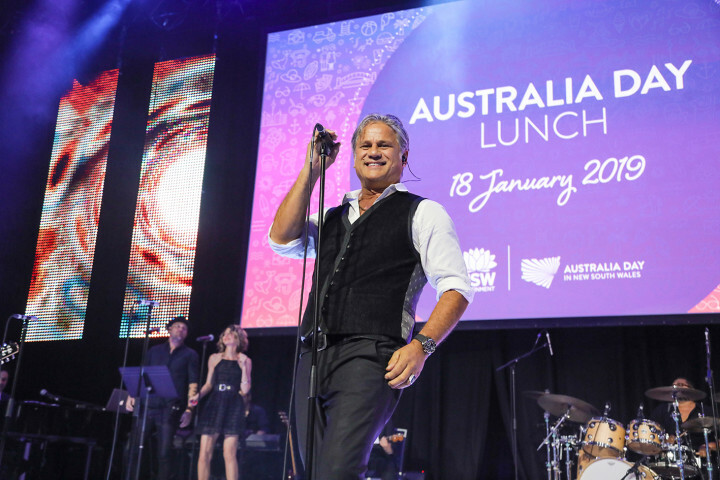 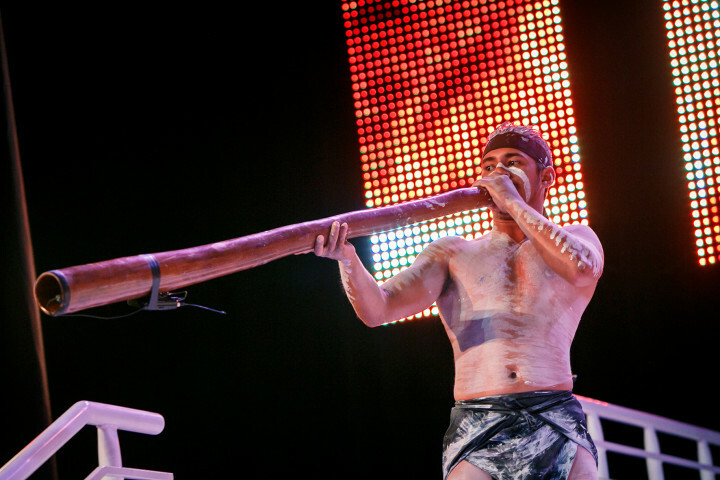 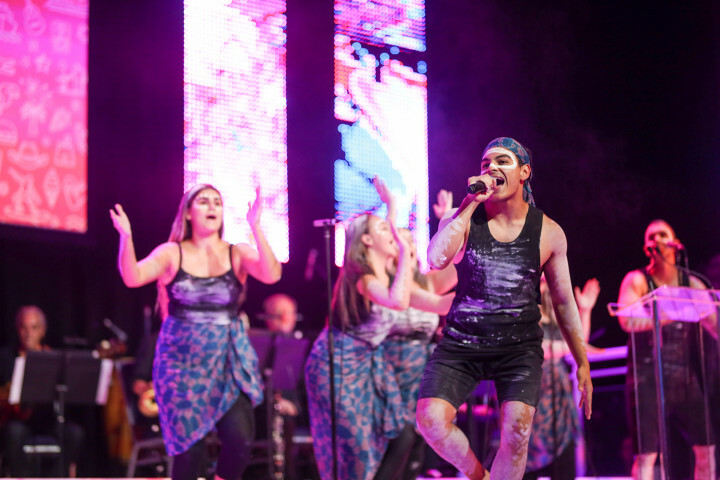 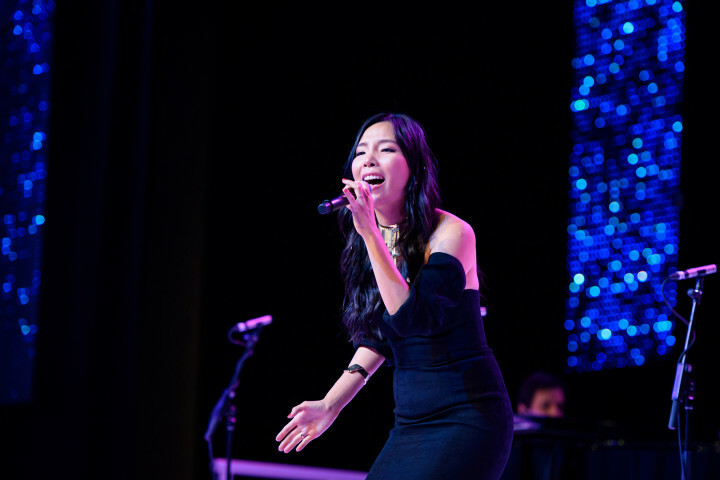 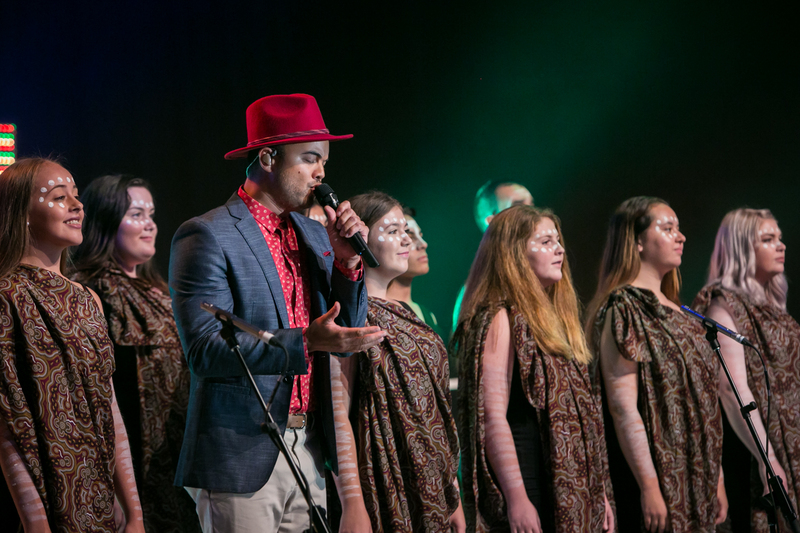 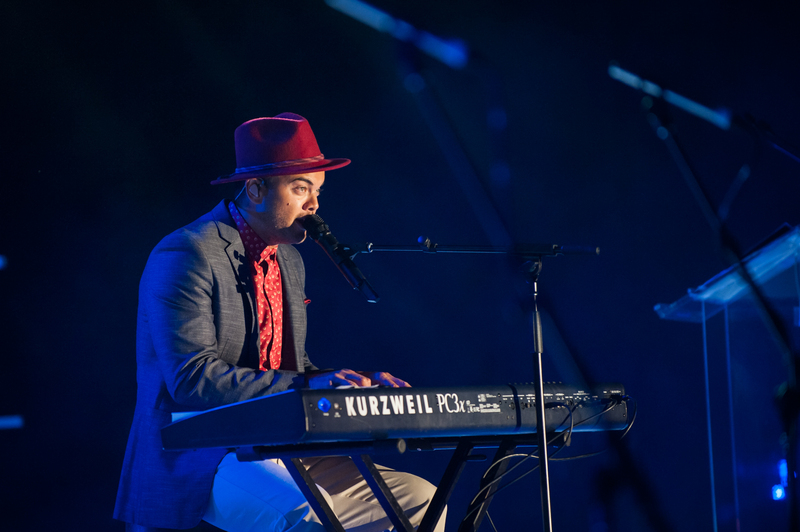 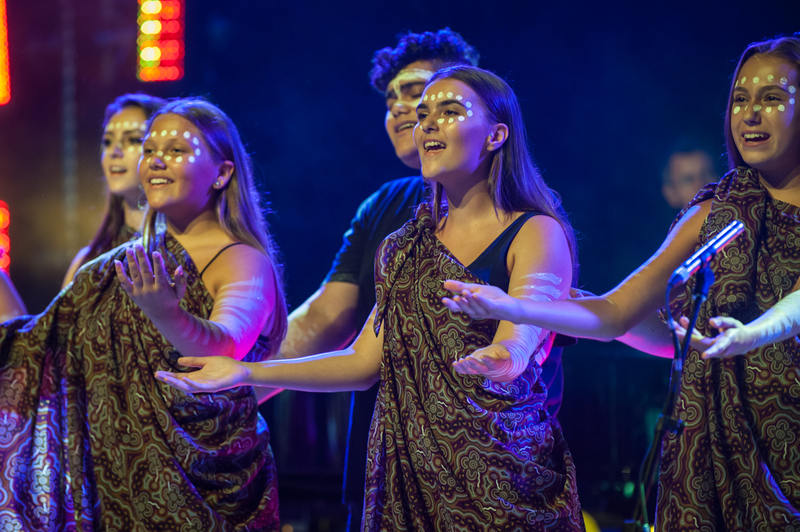 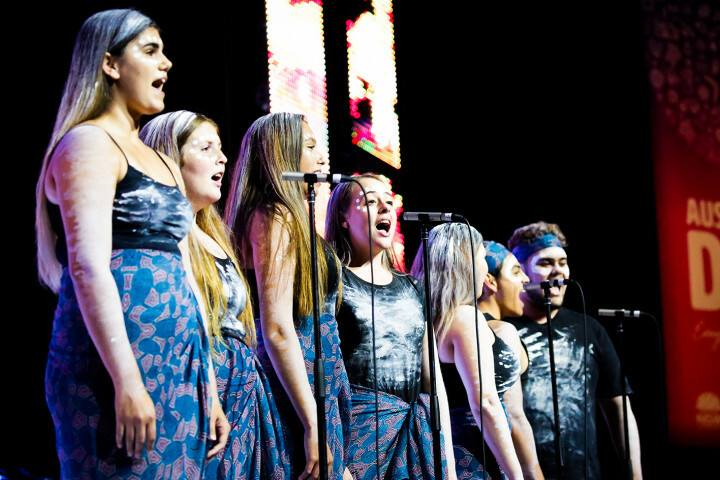 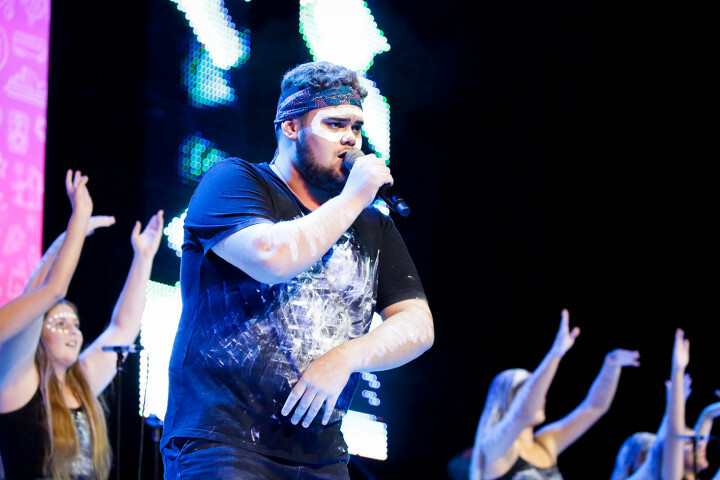 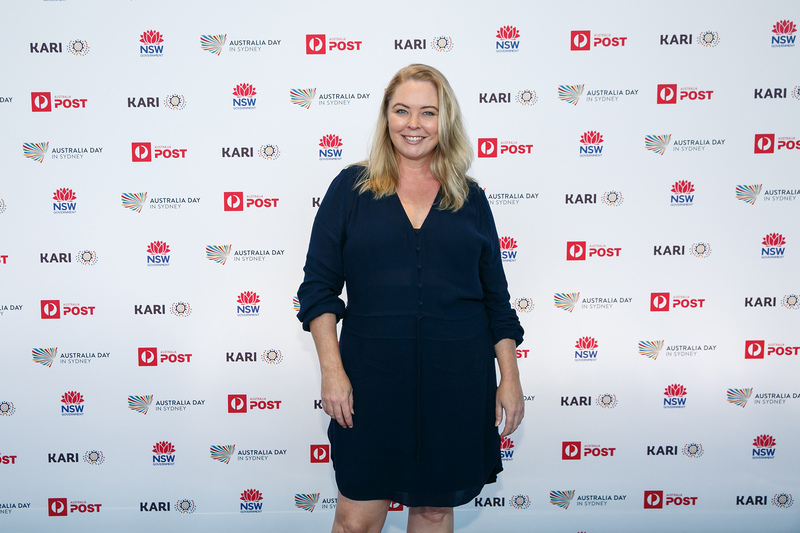 KARI joined the line up performing the Yothu Yindi hit "World Turning" before teaming up with Jon Stevens later in the show to close out the event with two electrifying INXS songs. 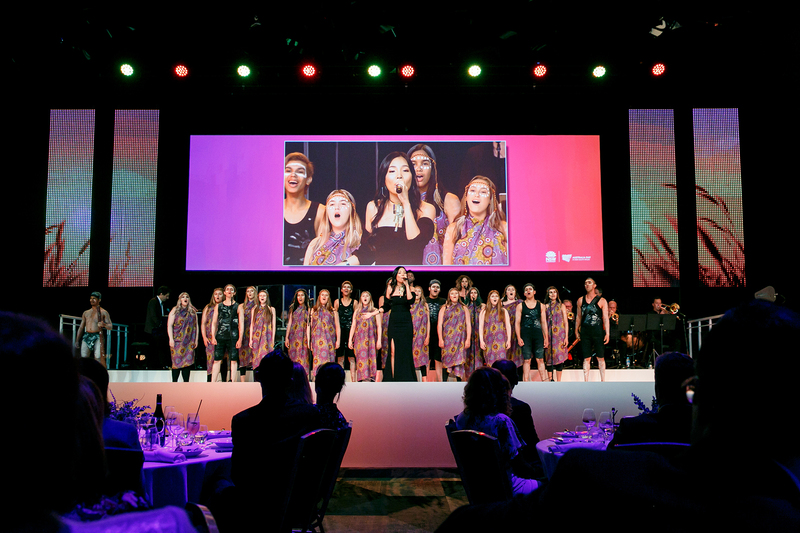 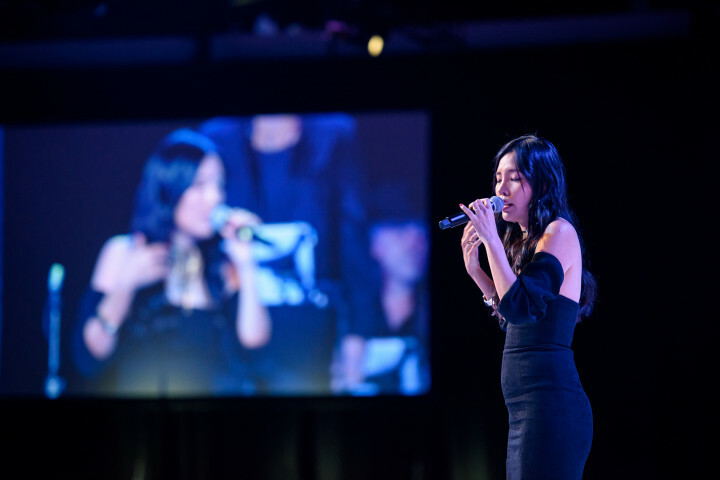 The 2019 Australia Day Lunch conclude with a moving performance by KARI of the national anthem in Eora language and English. 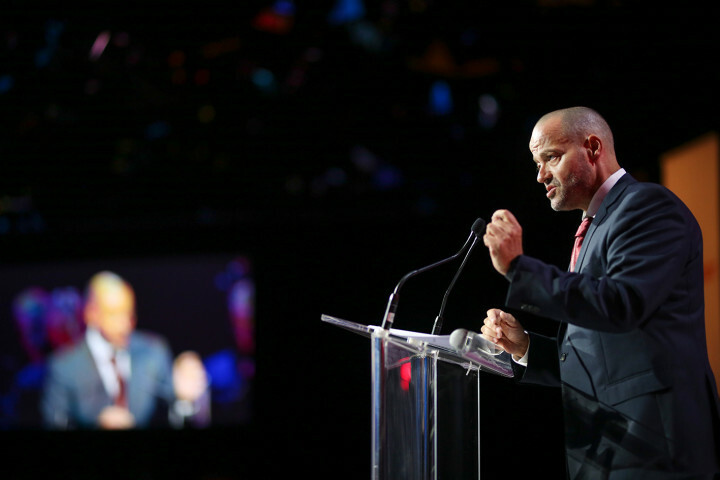 Adam Spencer was at the helm as MC and introduced an incredible line up of speakers including: Angelos Frangopoulos AM delivering his final address as outgoing Chairman of the Australia Day Council of NSW; Welcome to Country by Yvonne Weldon, Chair of the Metropolitan Local Aboriginal Land Council; KARI CEO Casey Ralph, and Premier of NSW The Hon Gladys Berejiklian MP. 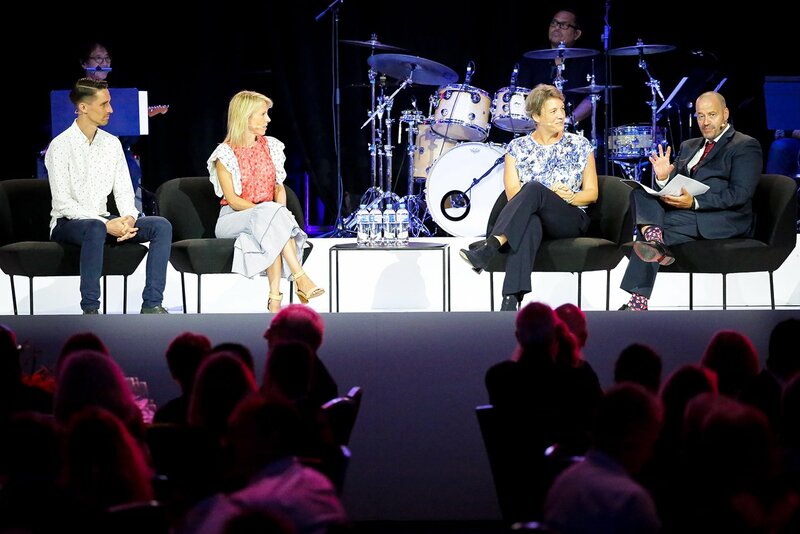 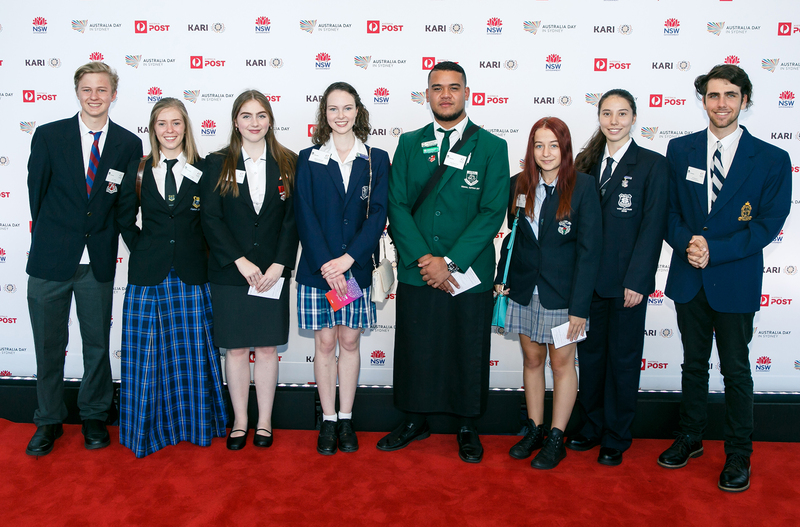 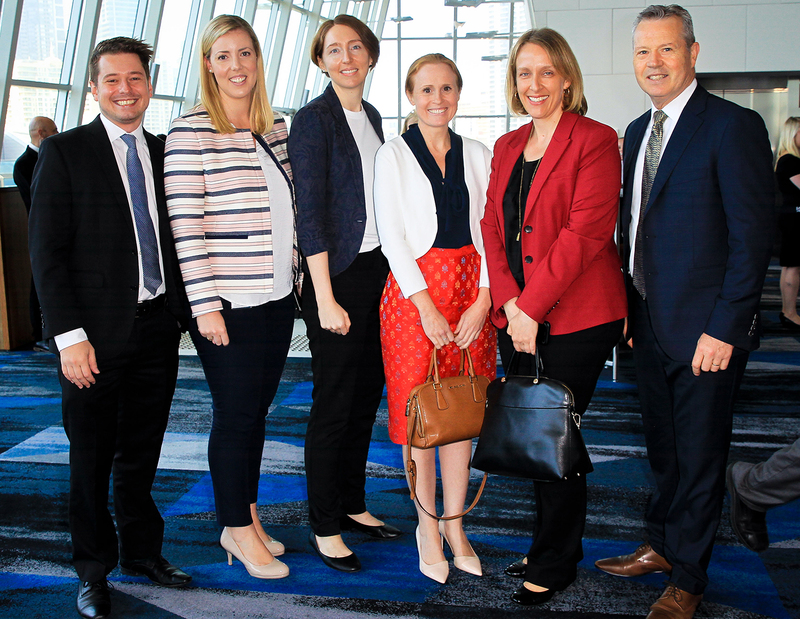 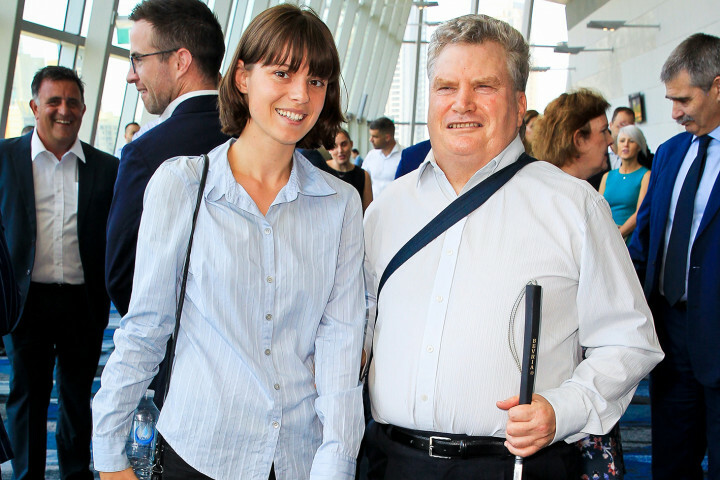 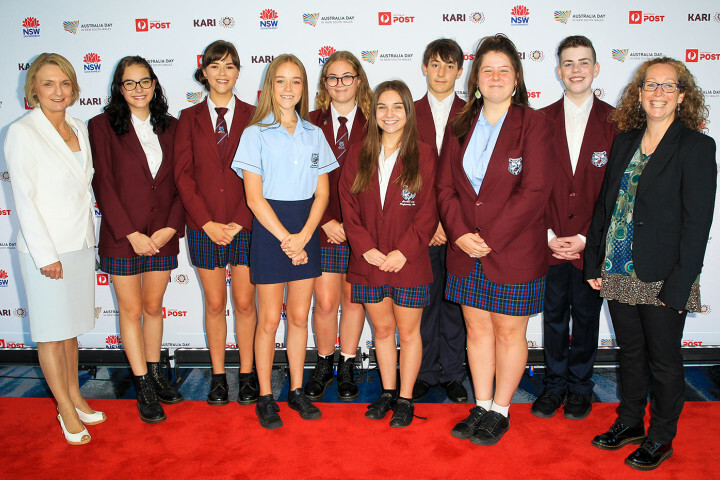 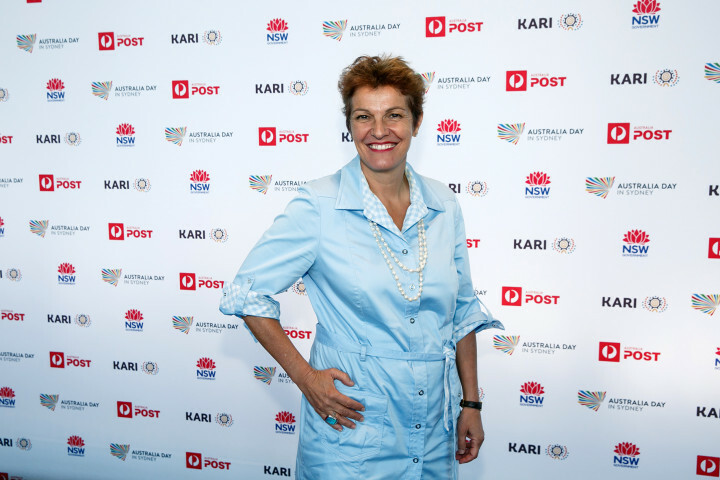 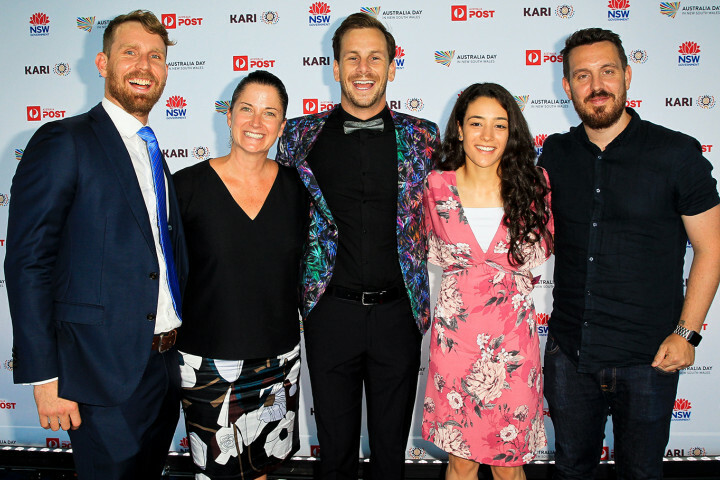 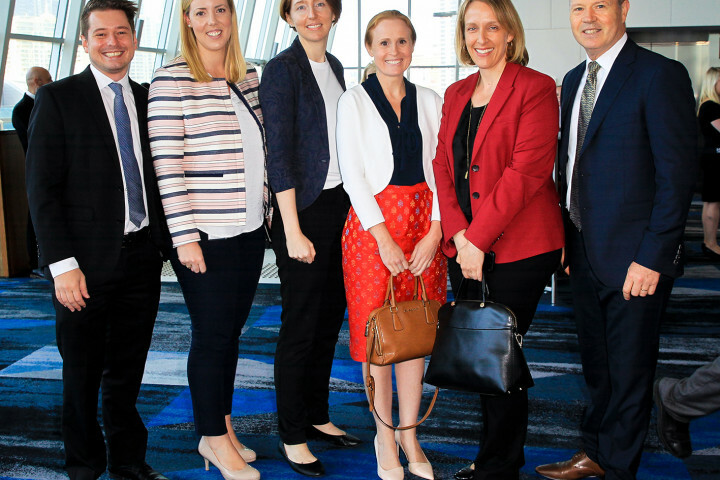 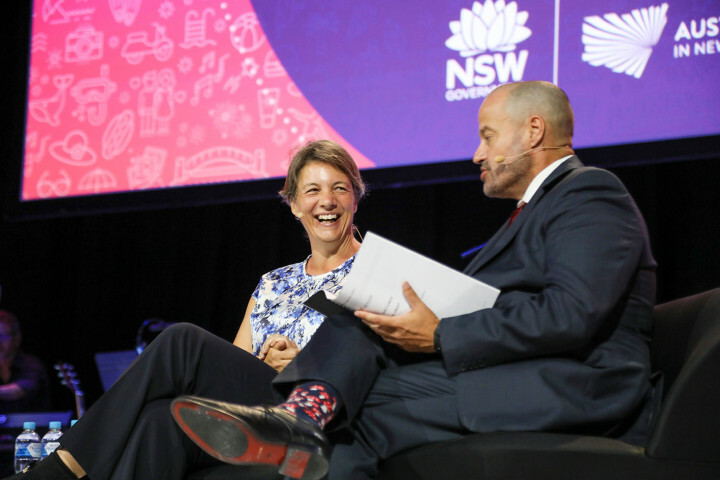 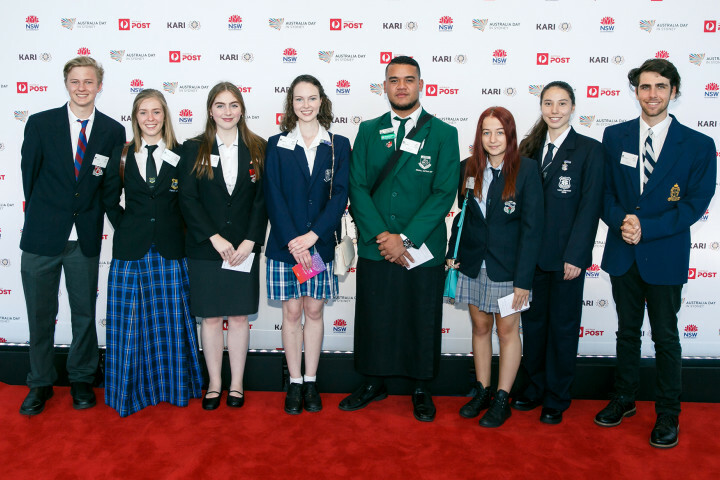 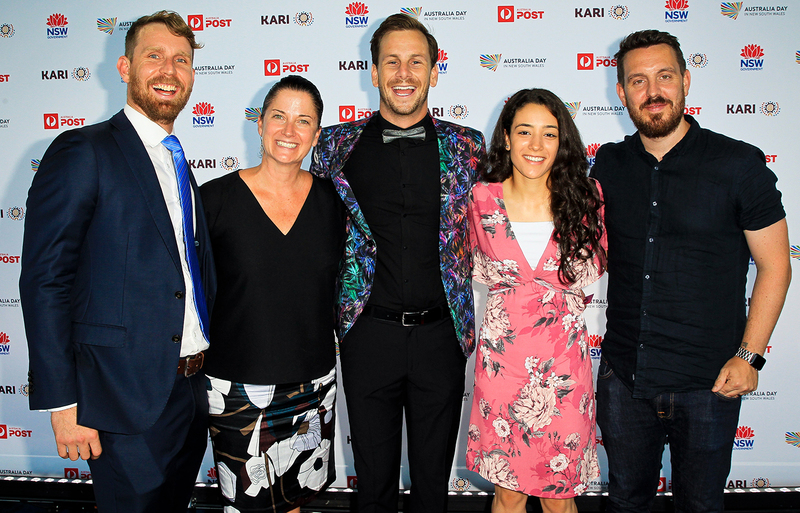 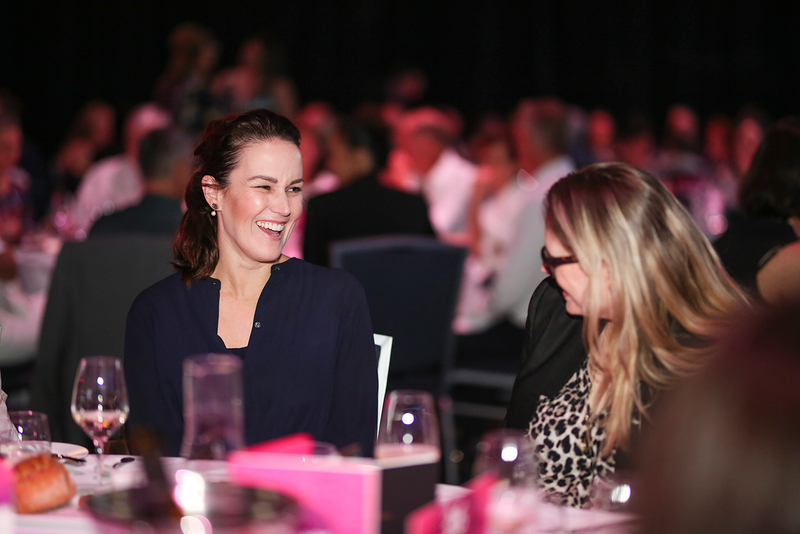 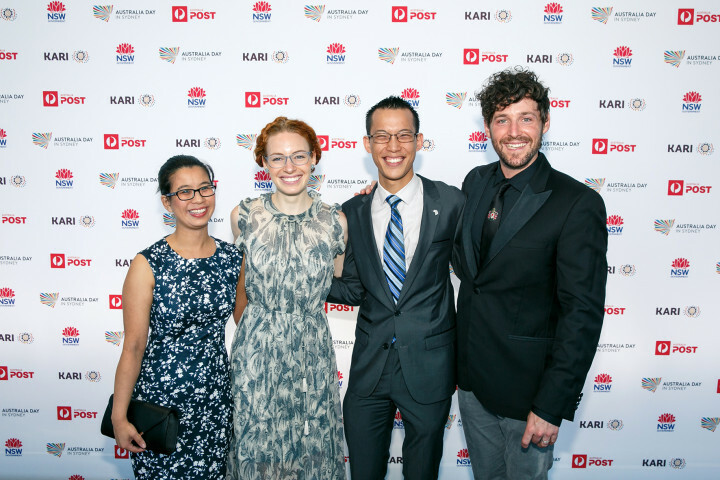 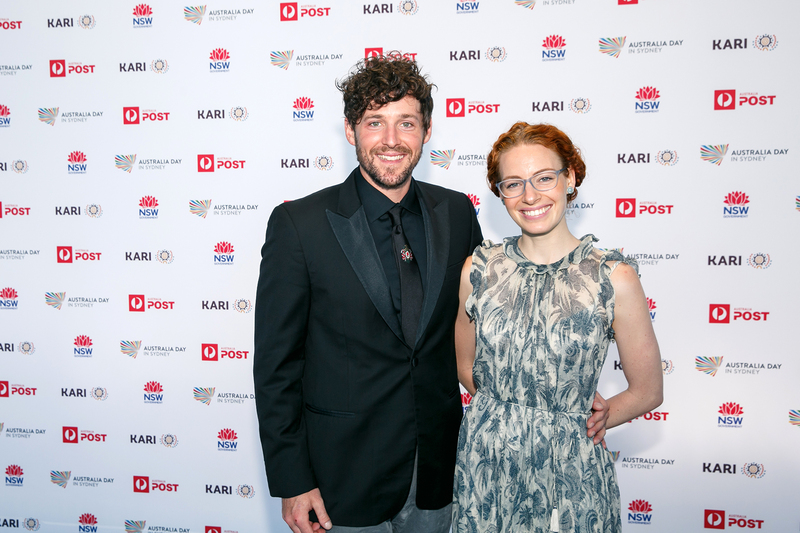 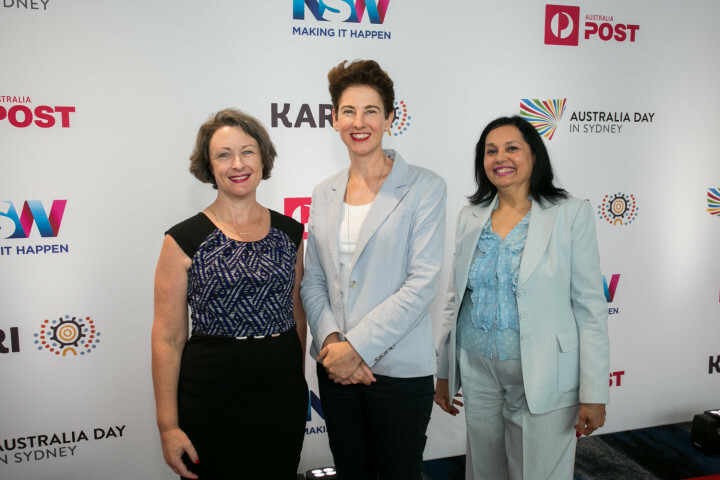 Guests were treated to an inspiring interview with three Australian of the Year award recipients including Professor Michelle Simmons who gave an insight into being the 2018 Australian of the Year, while Jarrod Wheatley and Sophie Smith spoke of their aspirations as recipients for the 2019 NSW Australian of the Year awards. 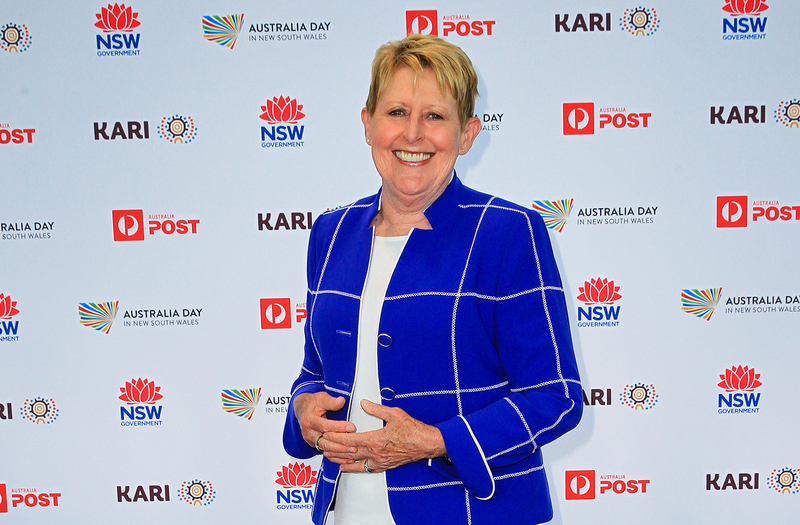 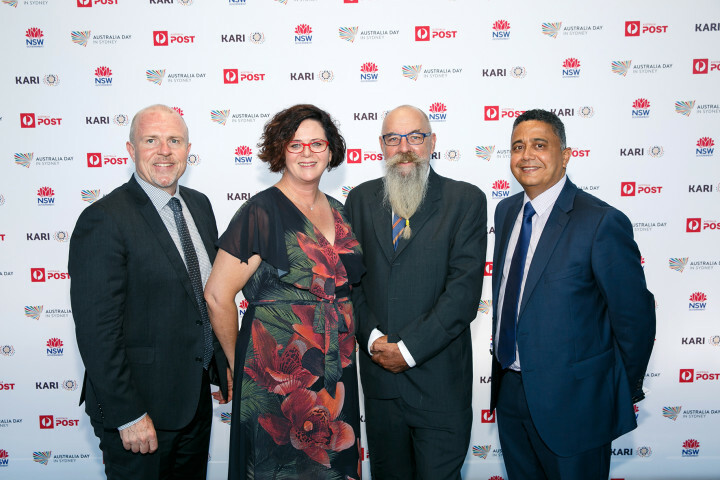 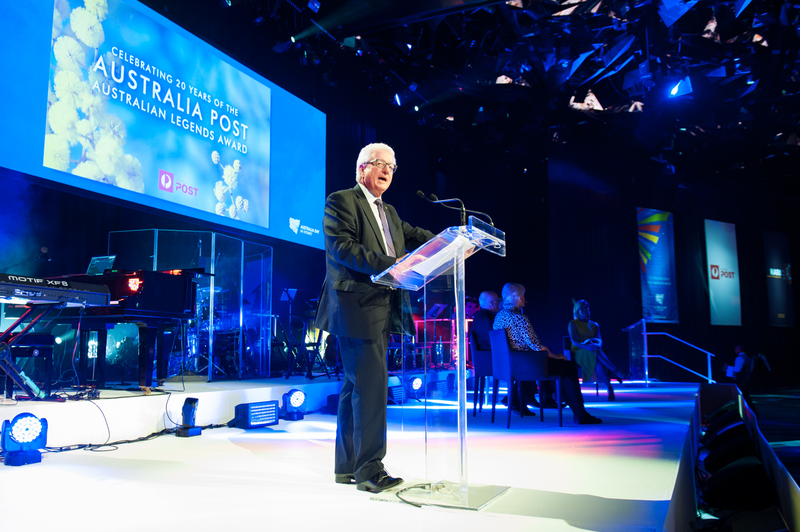 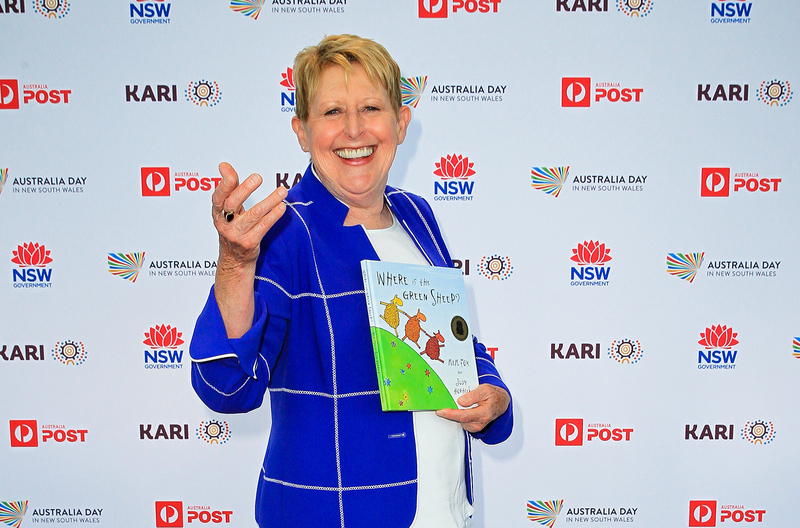 Australia Post announced this year’s Australia Post Legends – children’s authors Mem Fox AM, Morris Gleitzman, Leigh Hobbs, Alison Lester and Shaun Tan – who will be immortalised on new postage stamps. 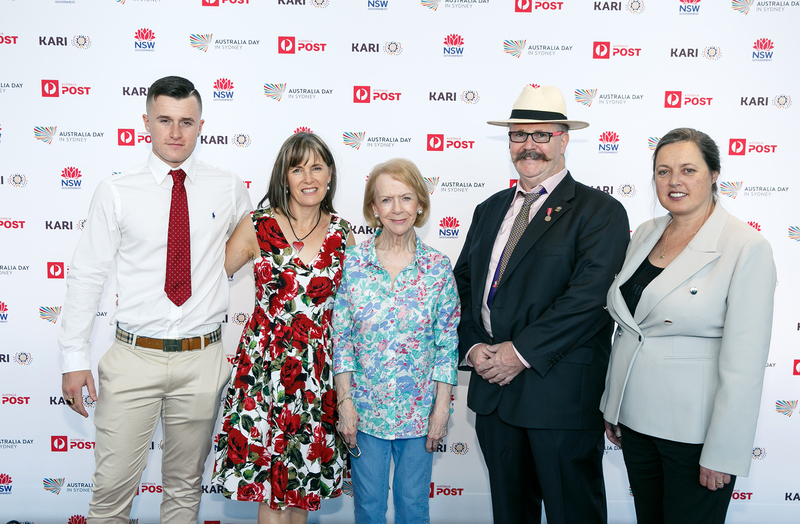 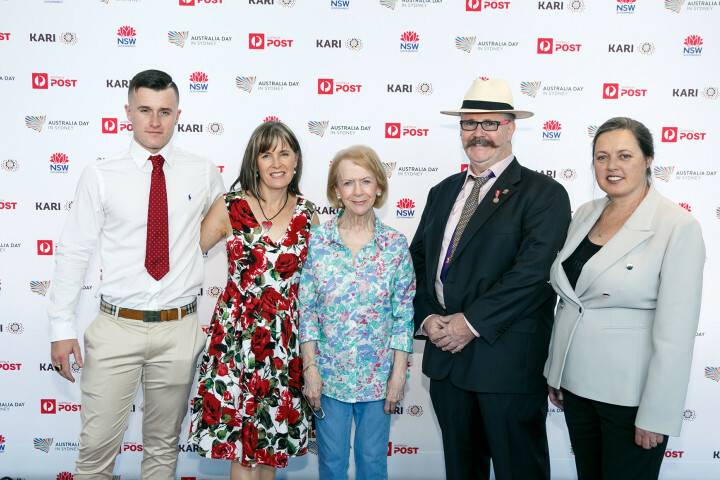 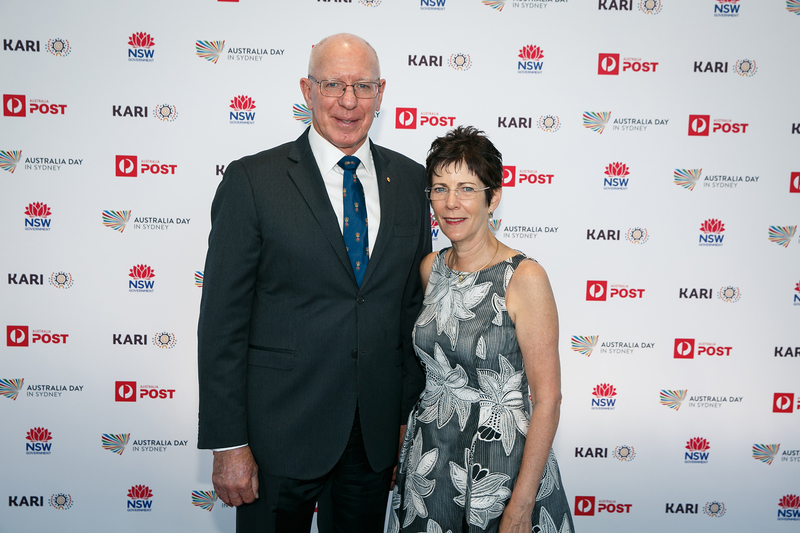 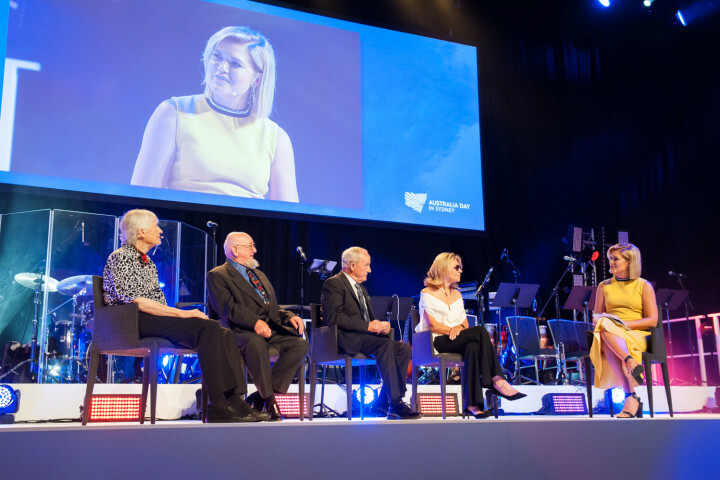 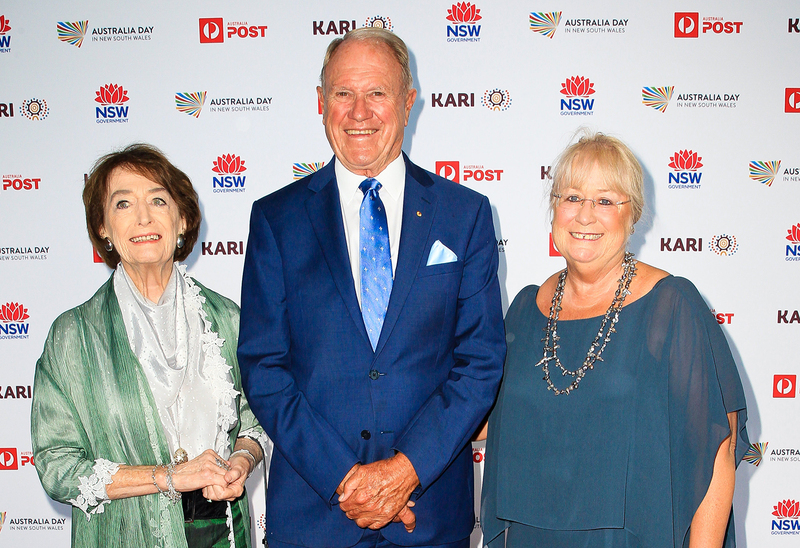 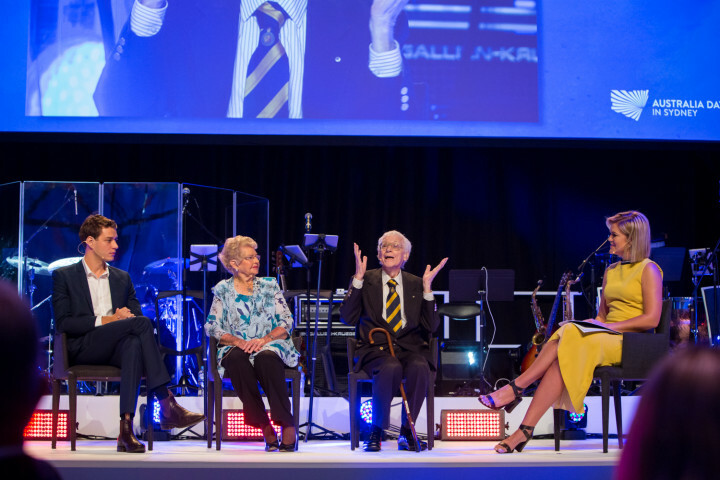 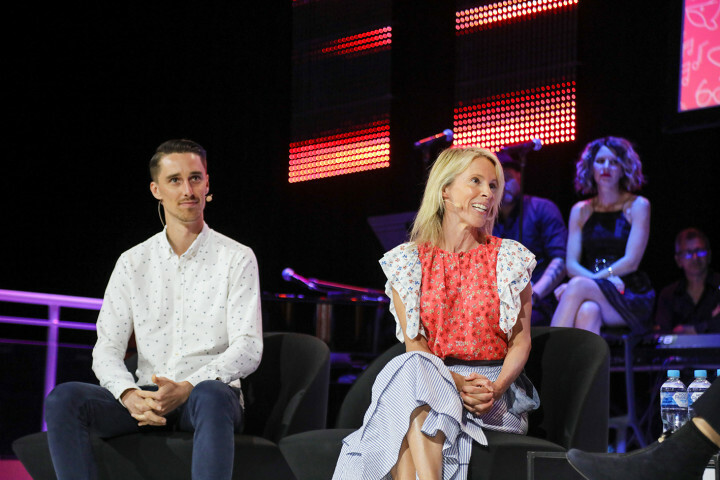 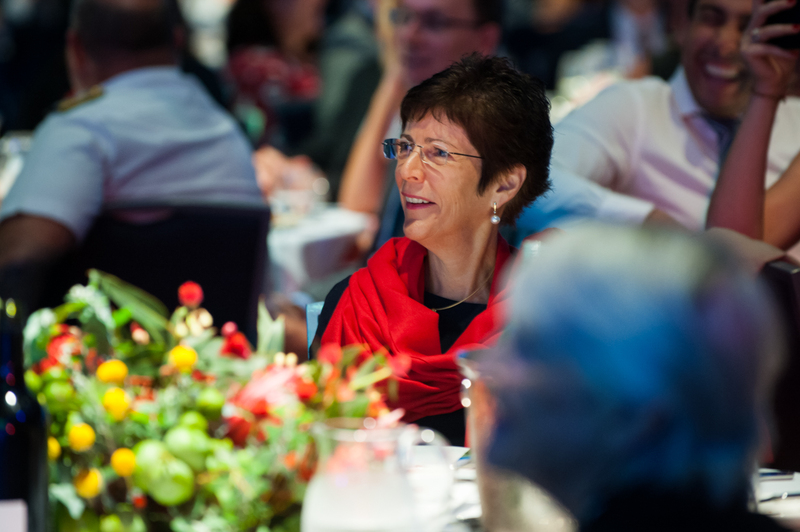 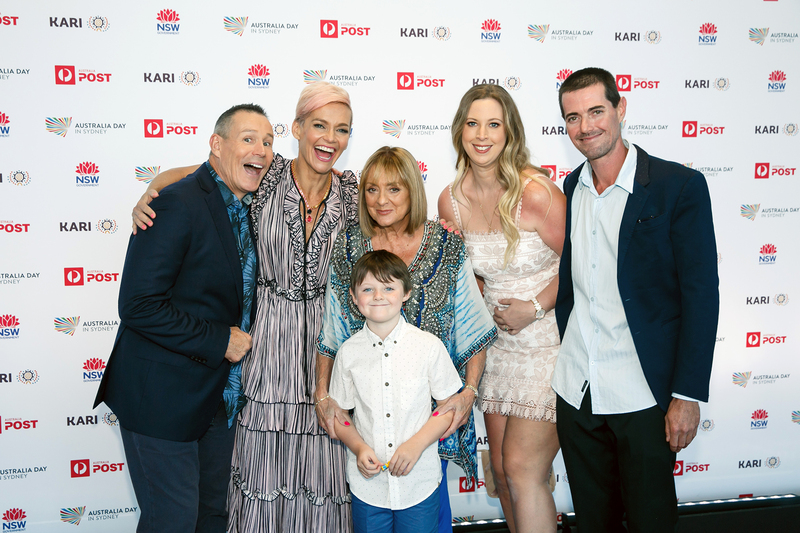 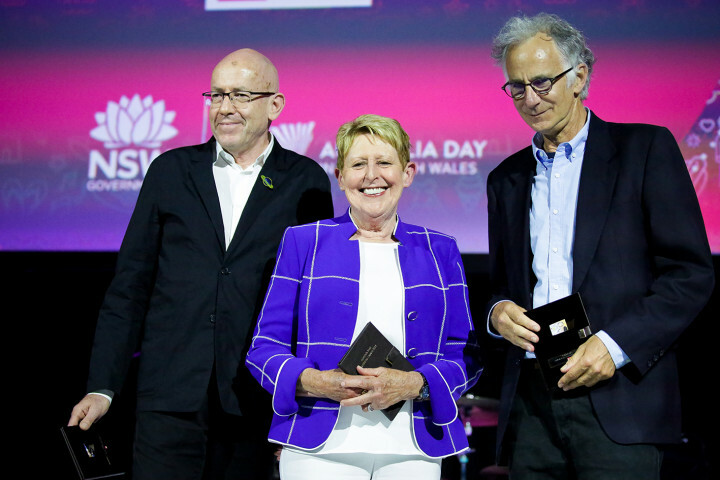 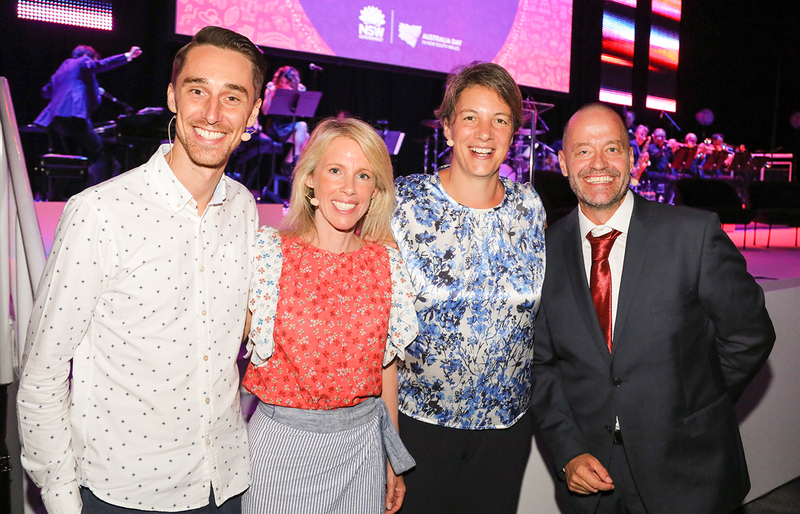 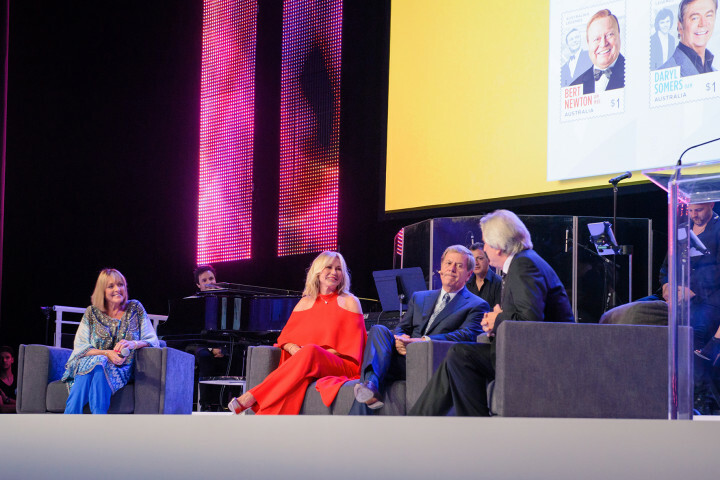 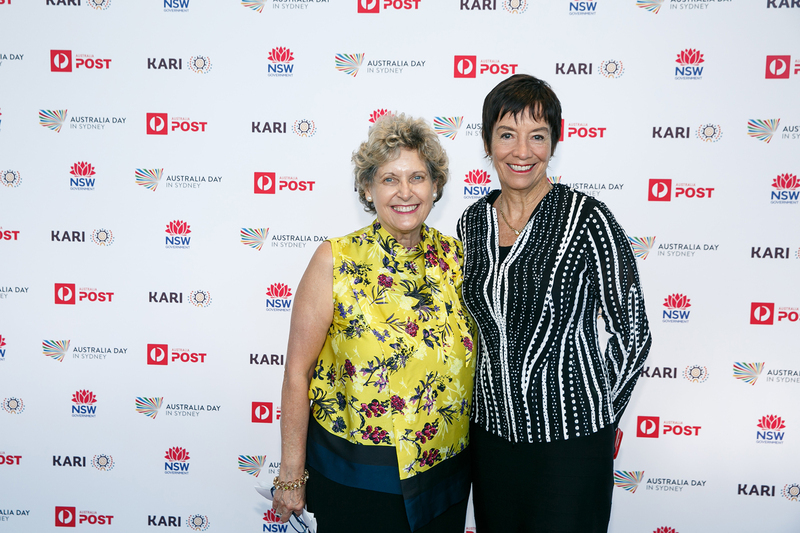 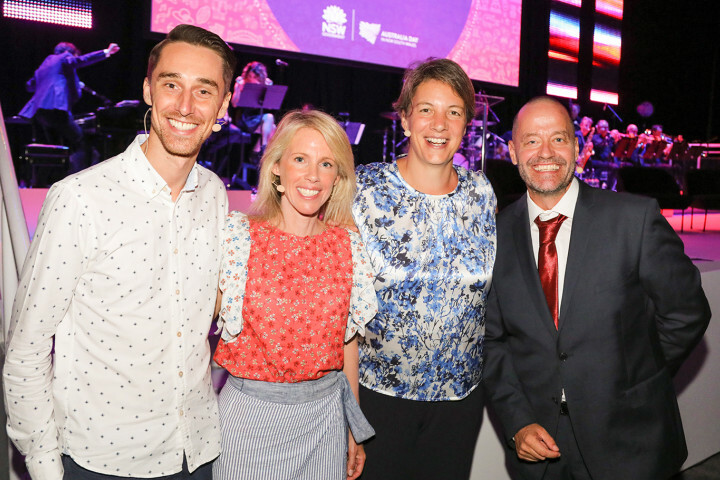 Mem Fox, Morris Gleitzman and Leigh Hobbs accepted their gold stamps on stage and shared their thoughts on the importance of children’s literature and the joy of creating something that means so much to a child for a moment in their life. 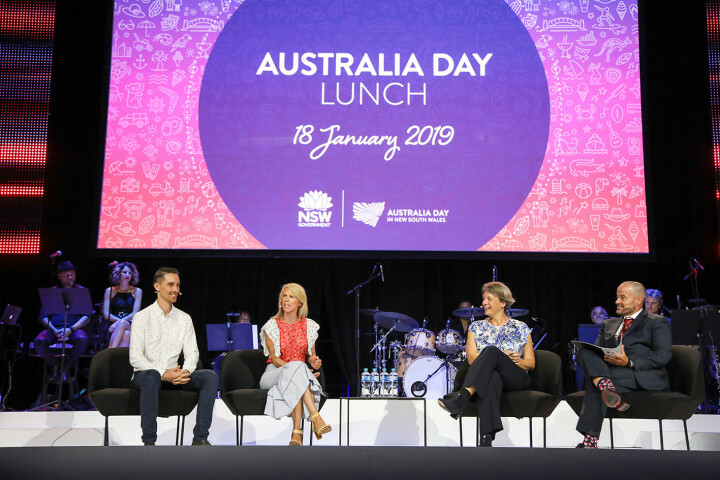 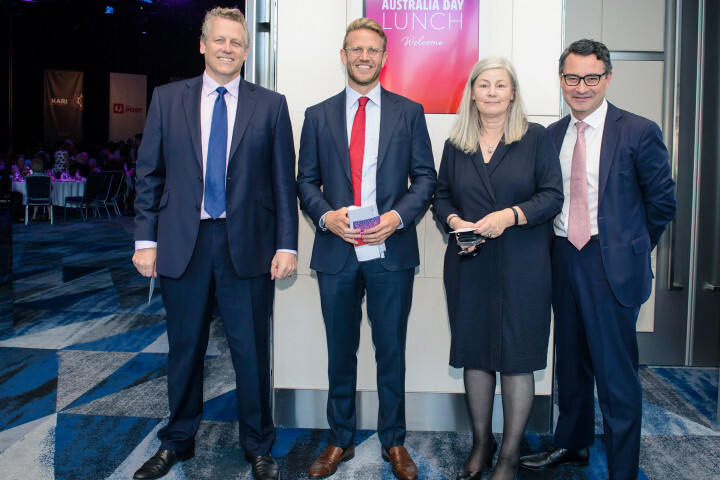 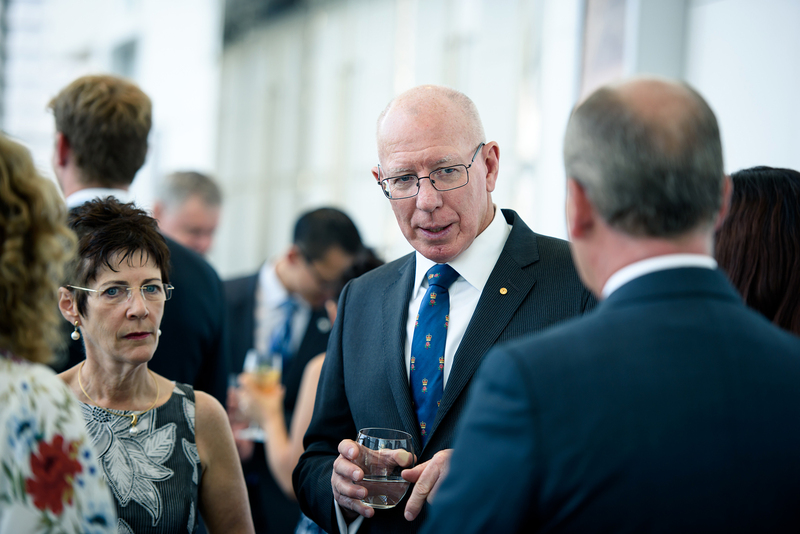 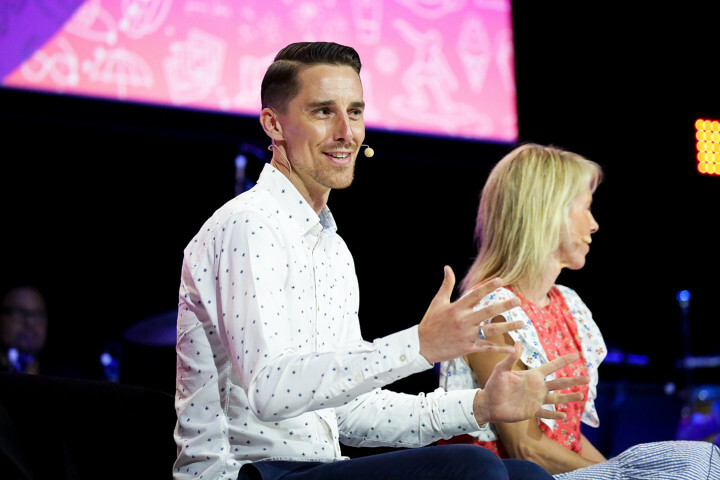 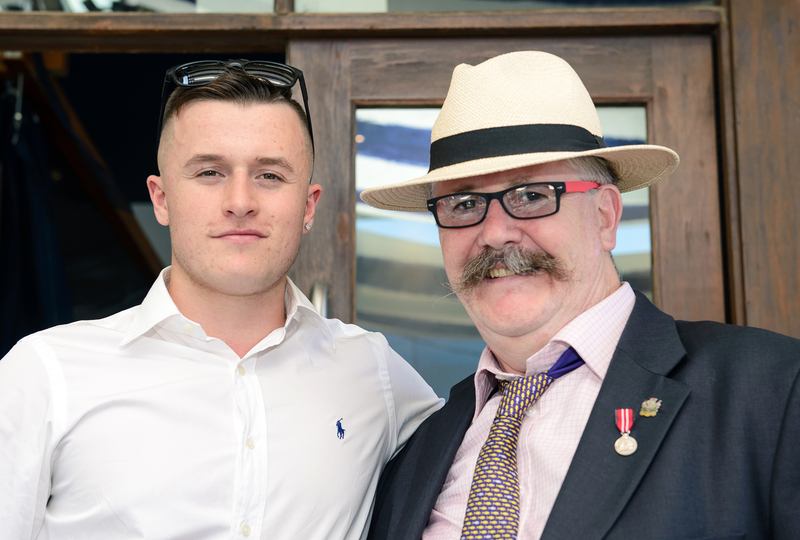 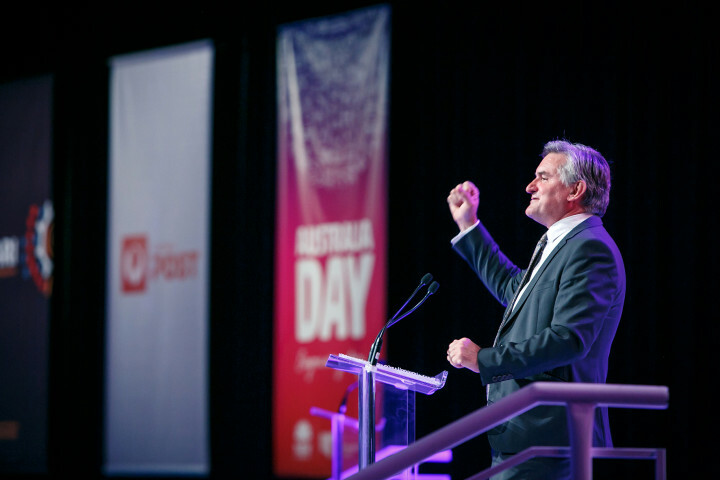 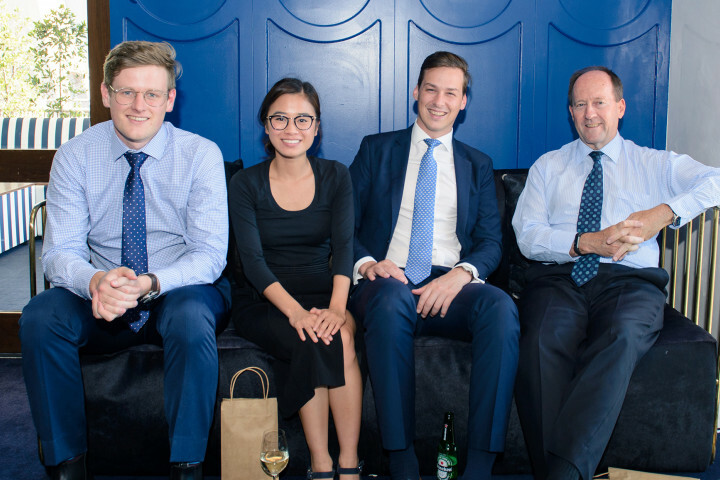 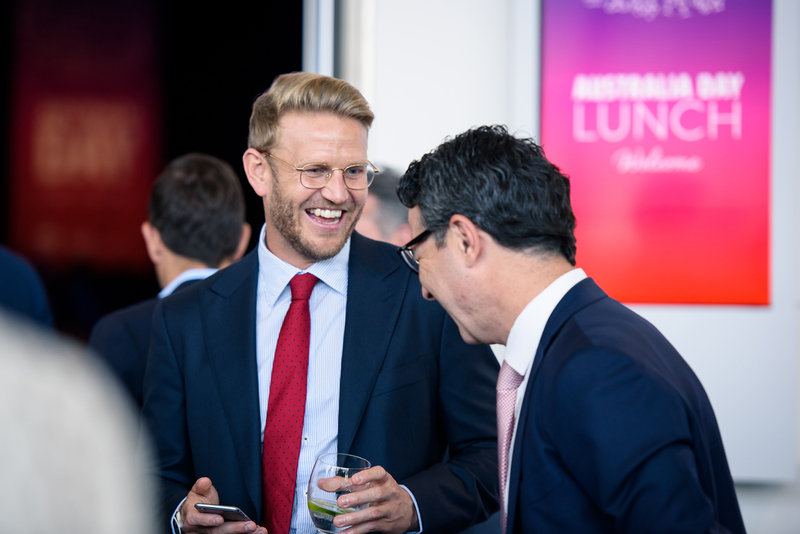 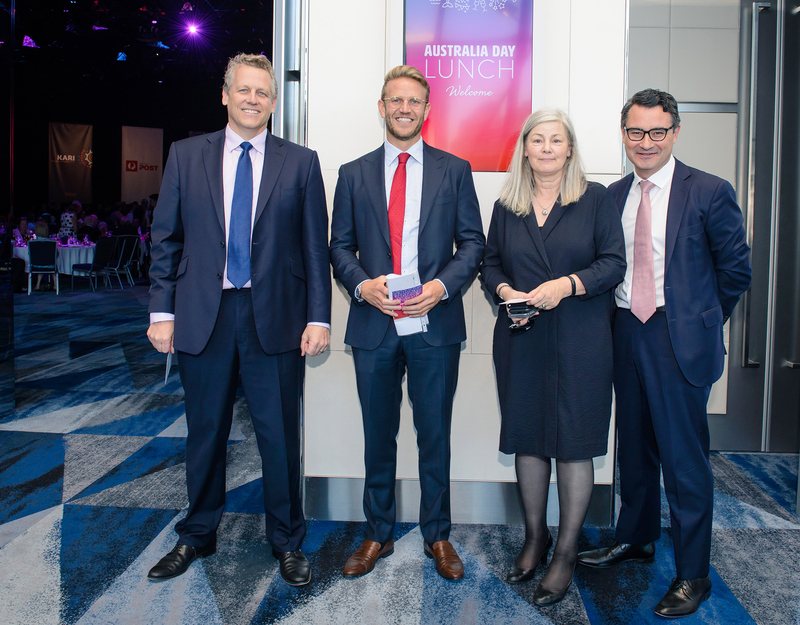 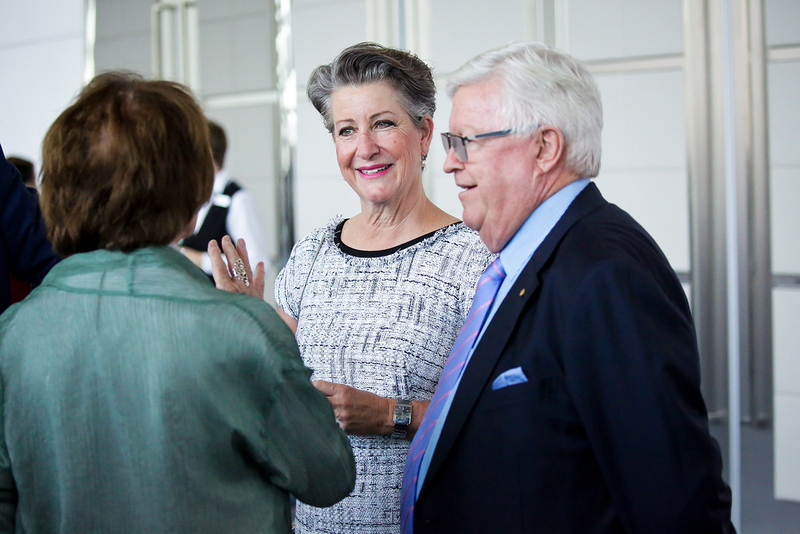 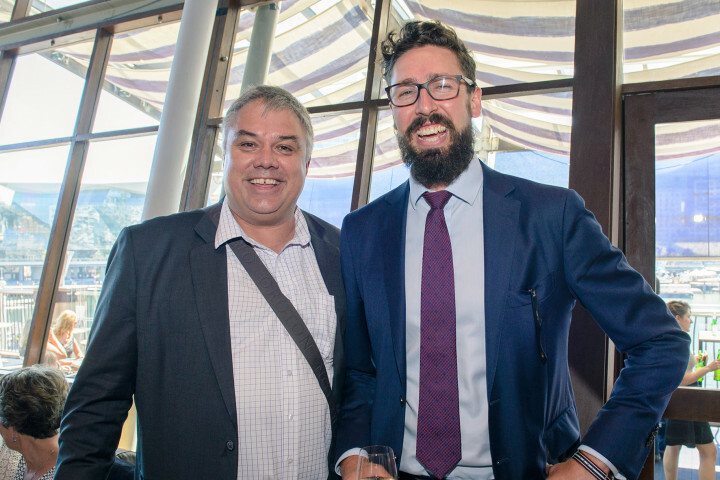 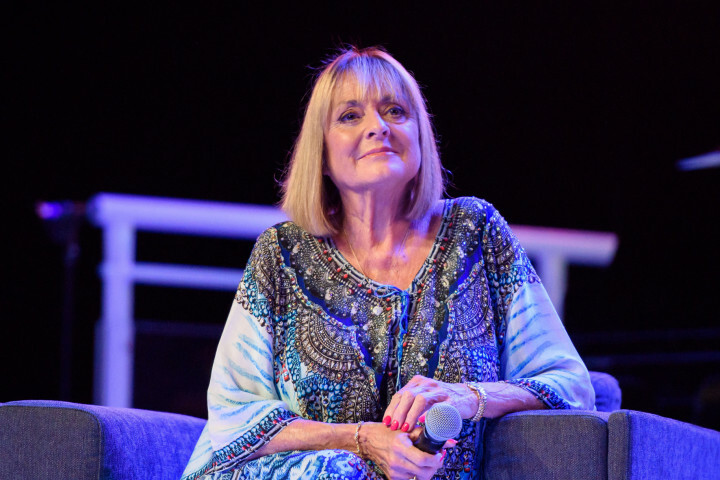 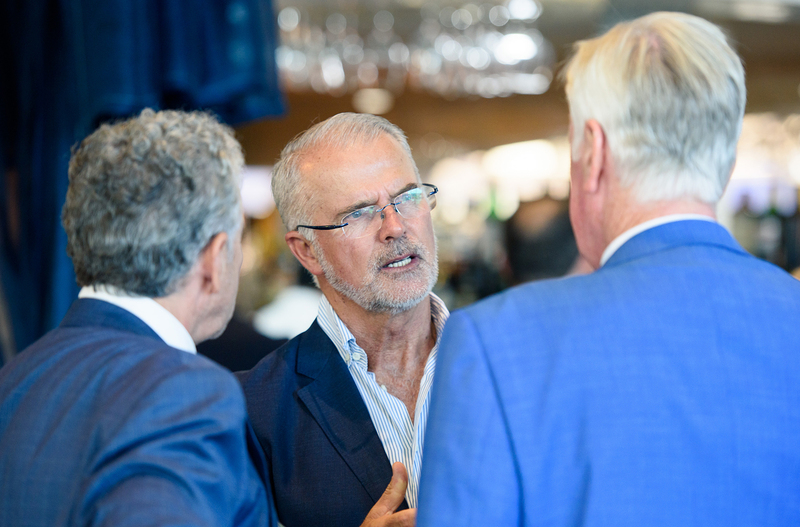 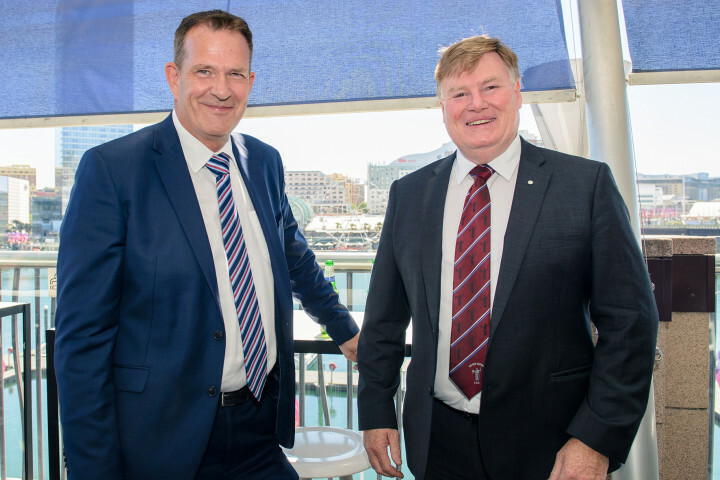 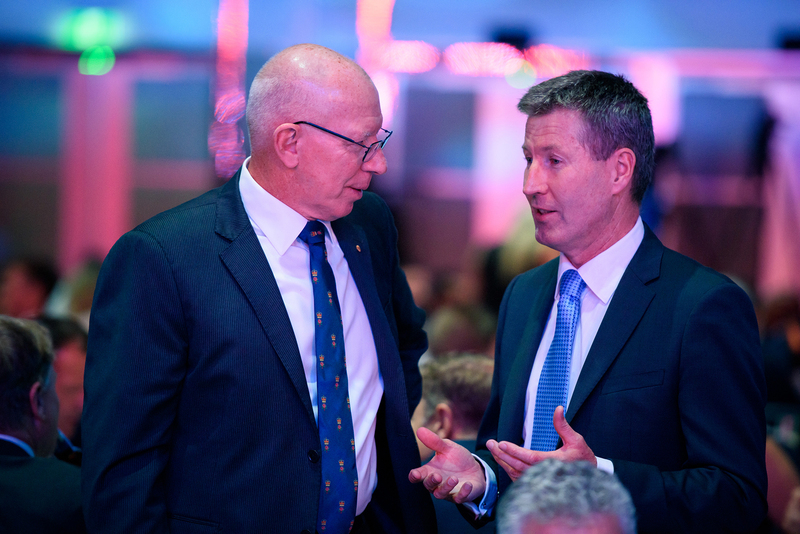 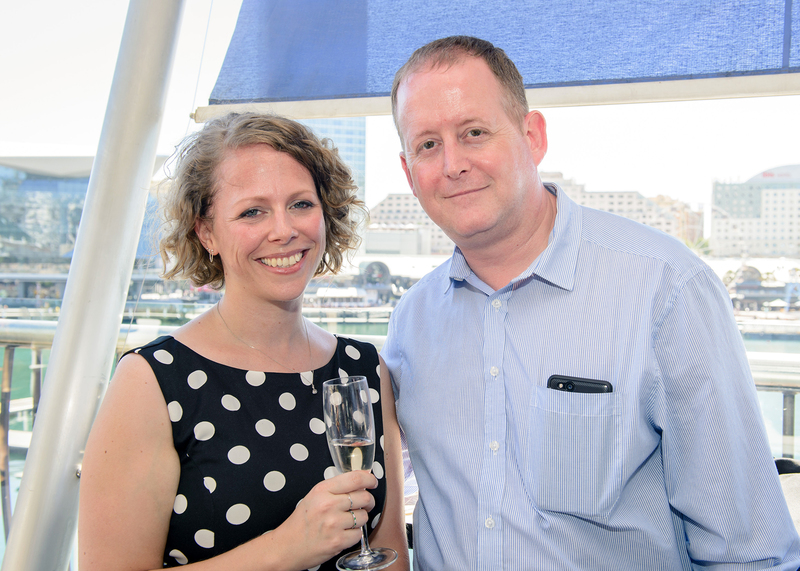 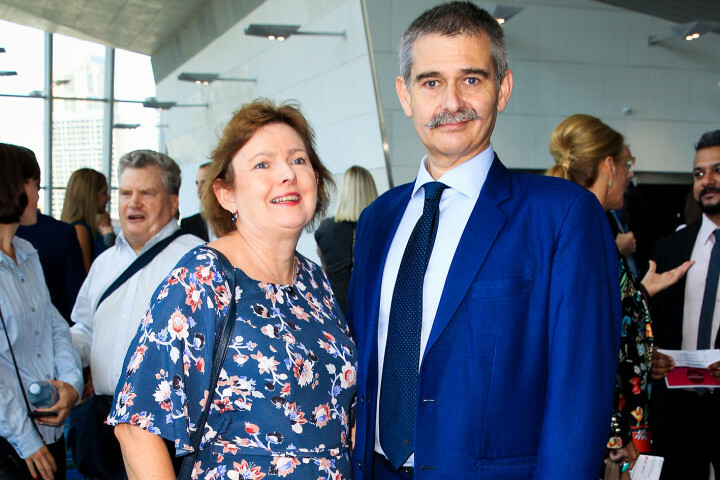 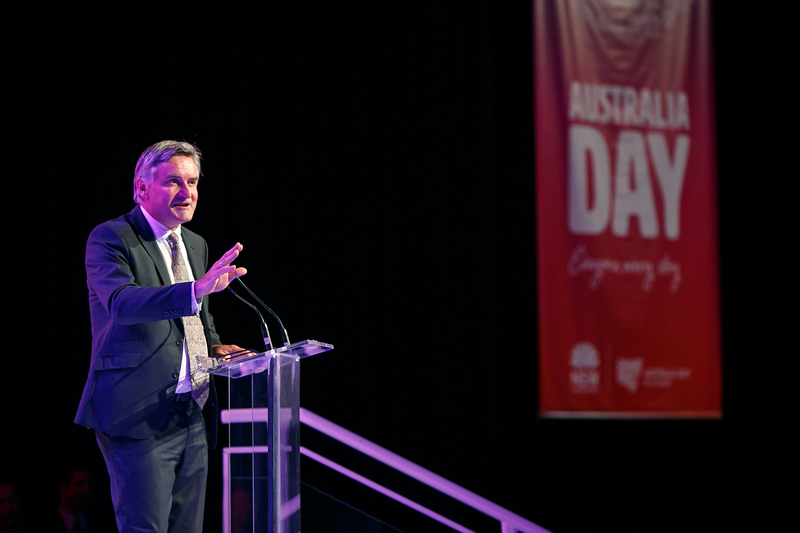 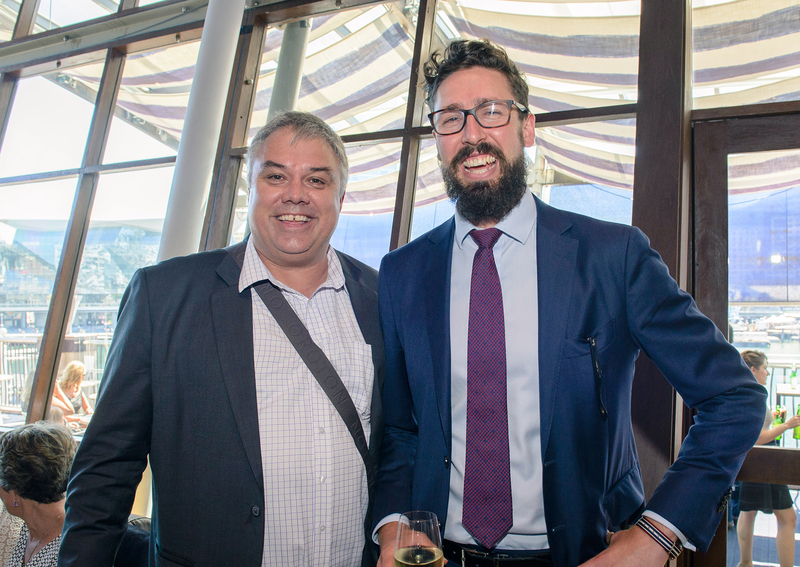 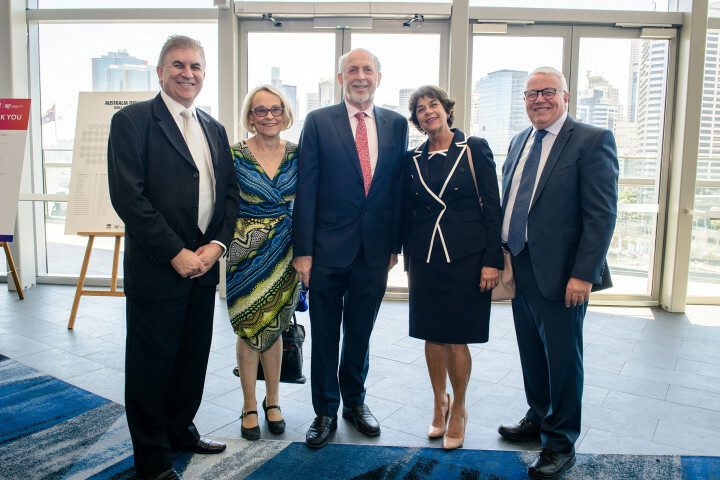 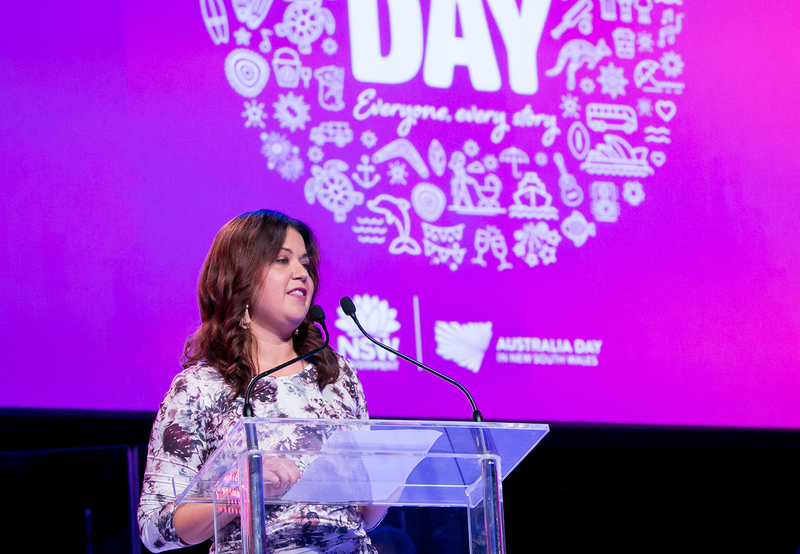 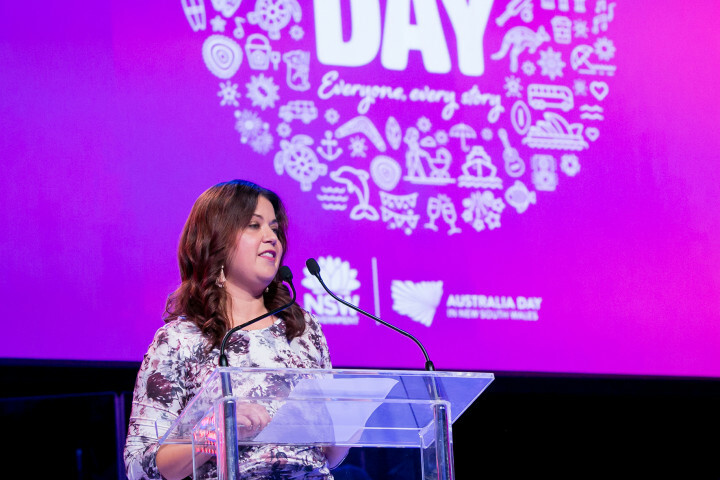 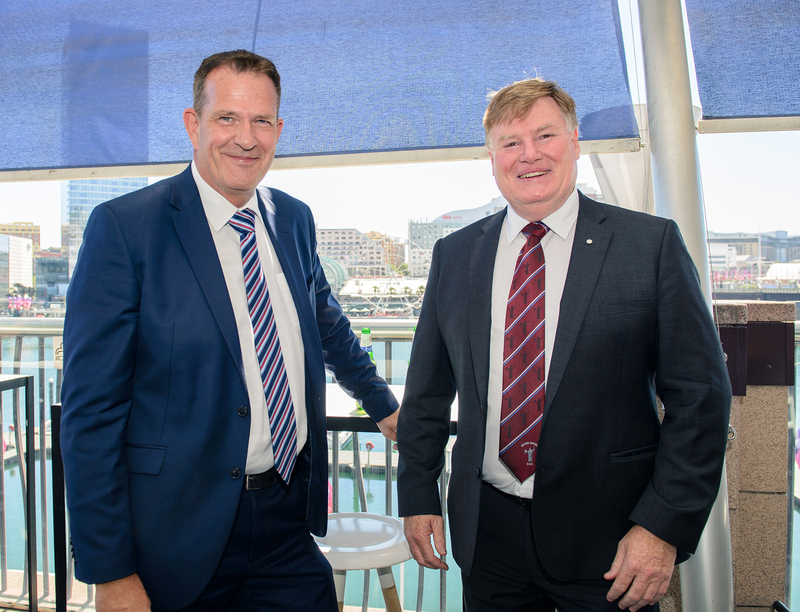 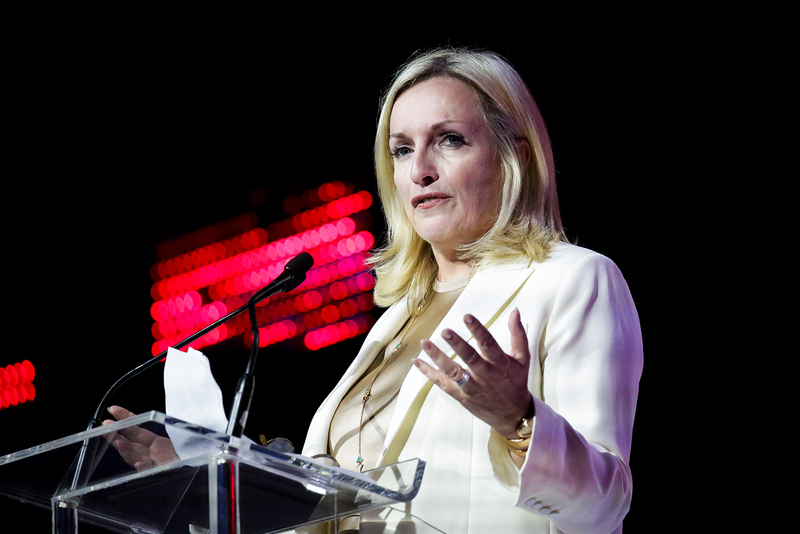 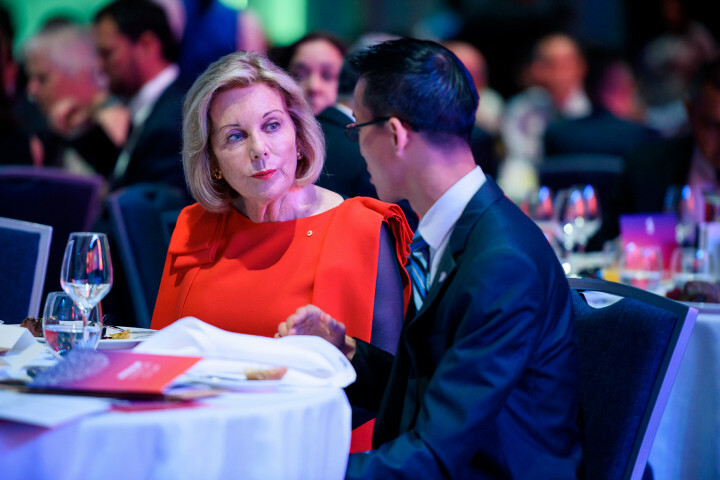 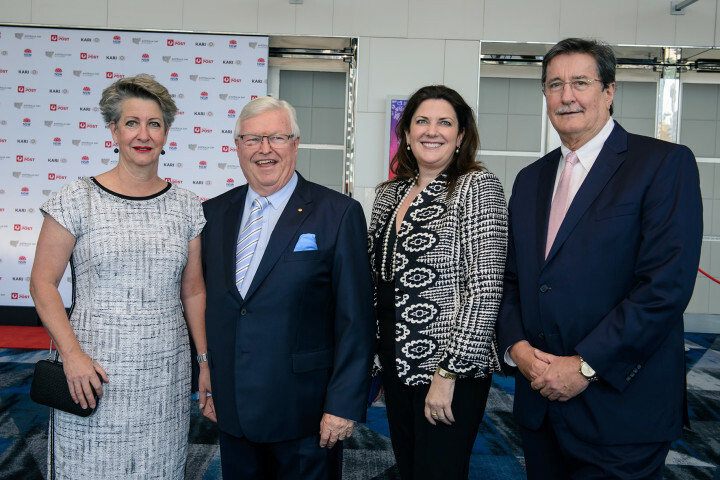 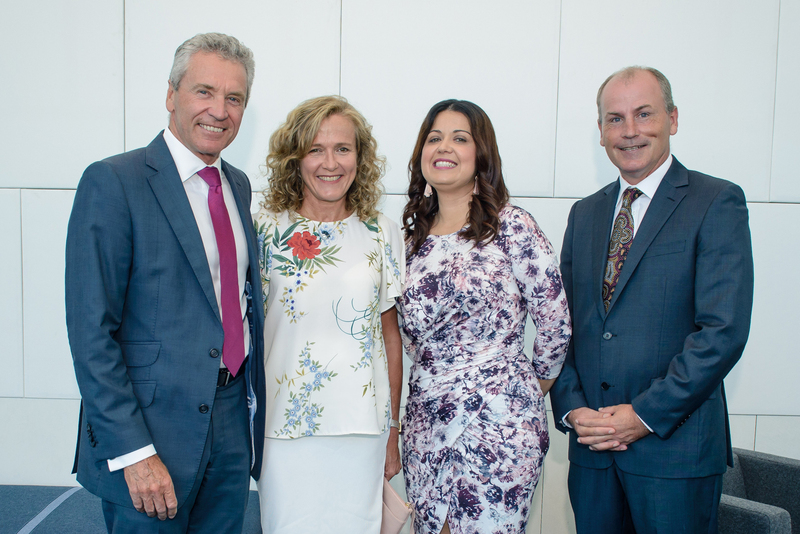 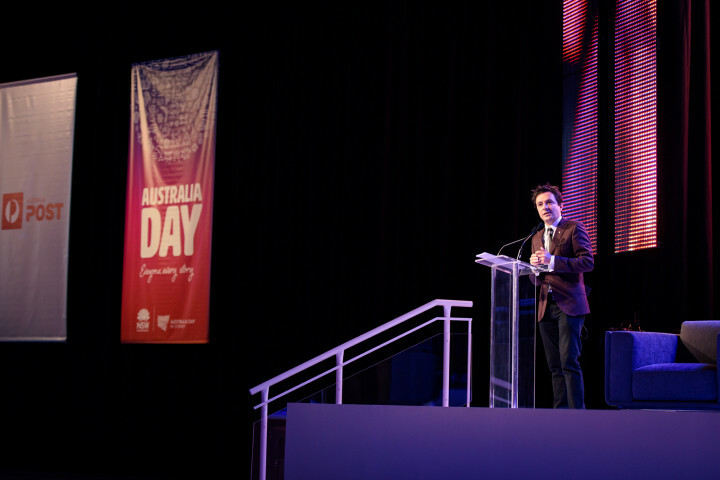 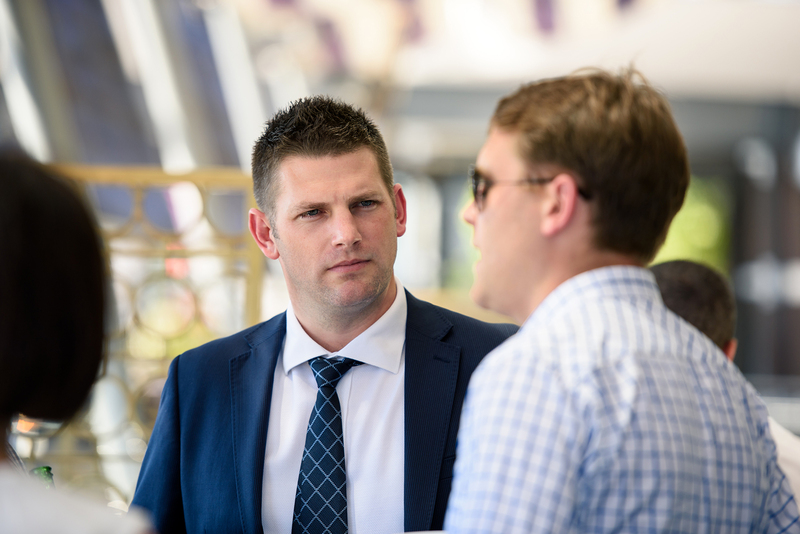 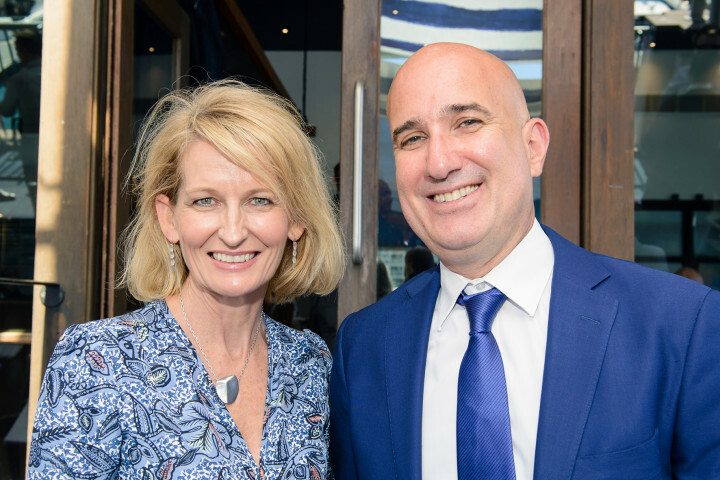 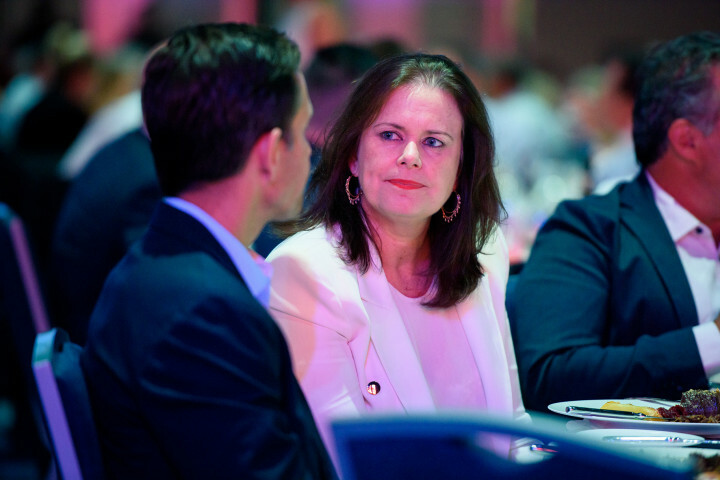 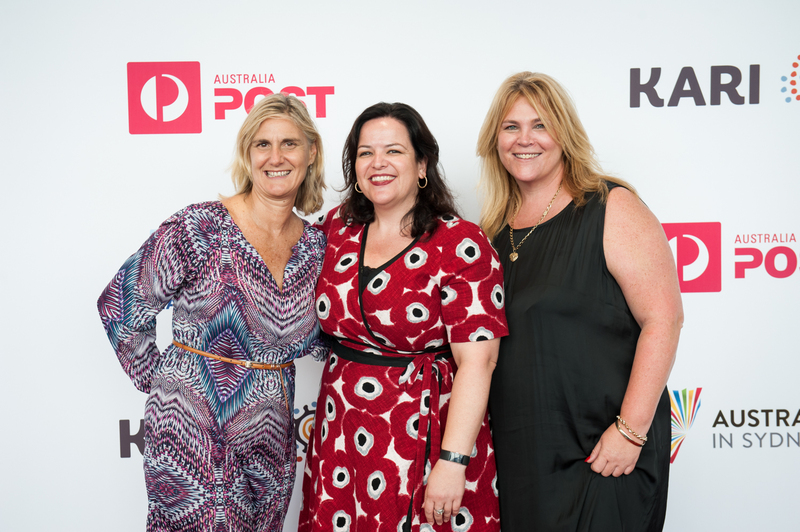 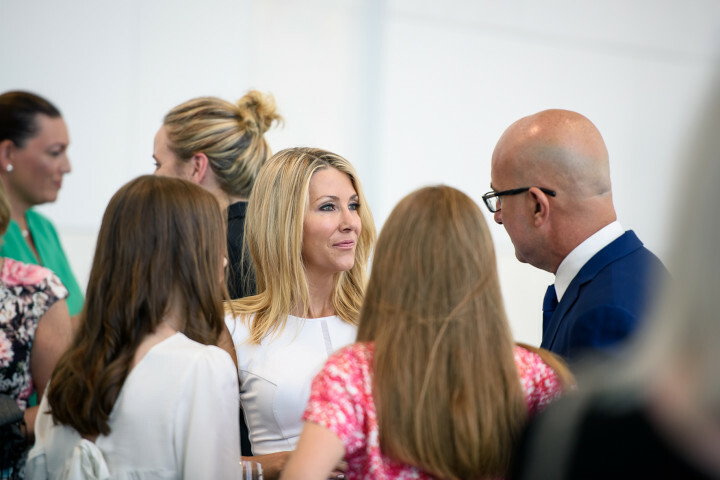 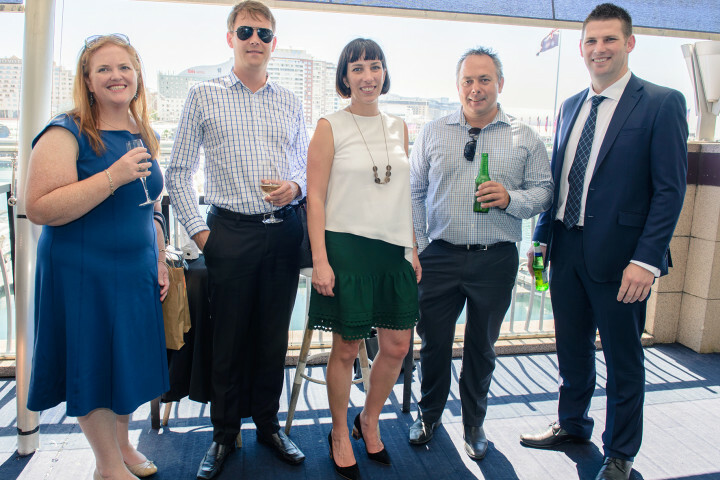 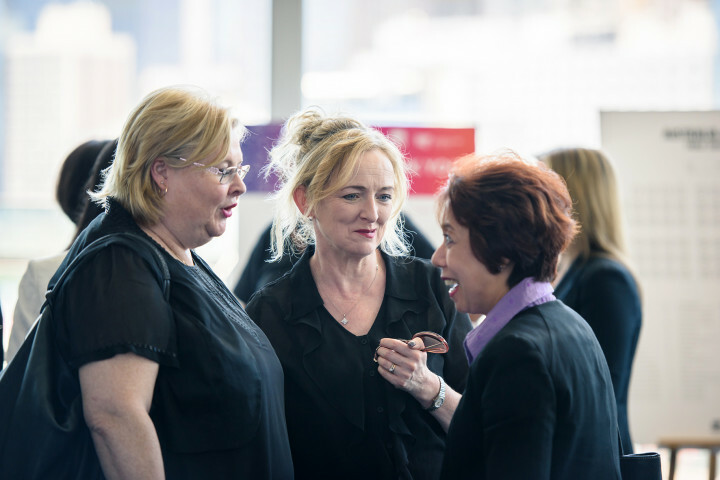 A recurring theme of the 2019 Australia Day Lunch was looking to Australia’s future. 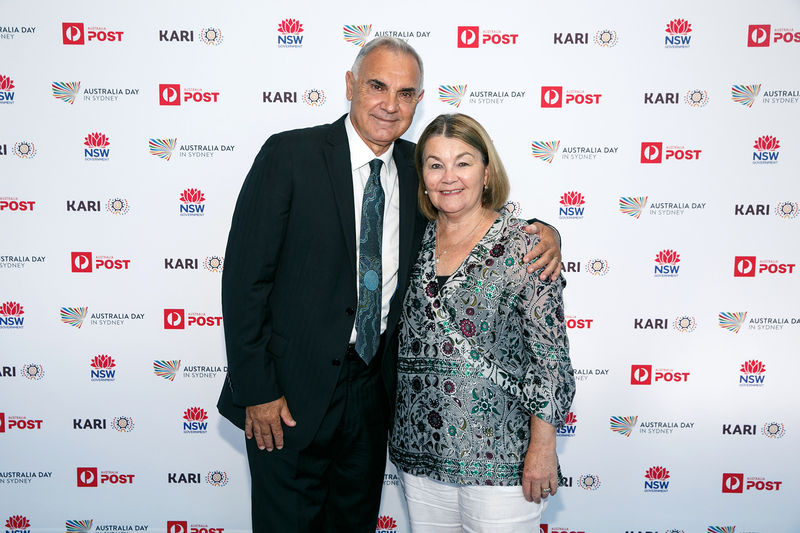 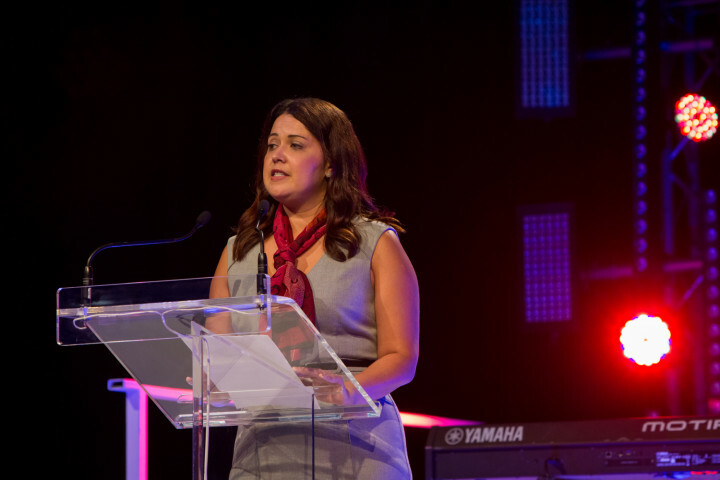 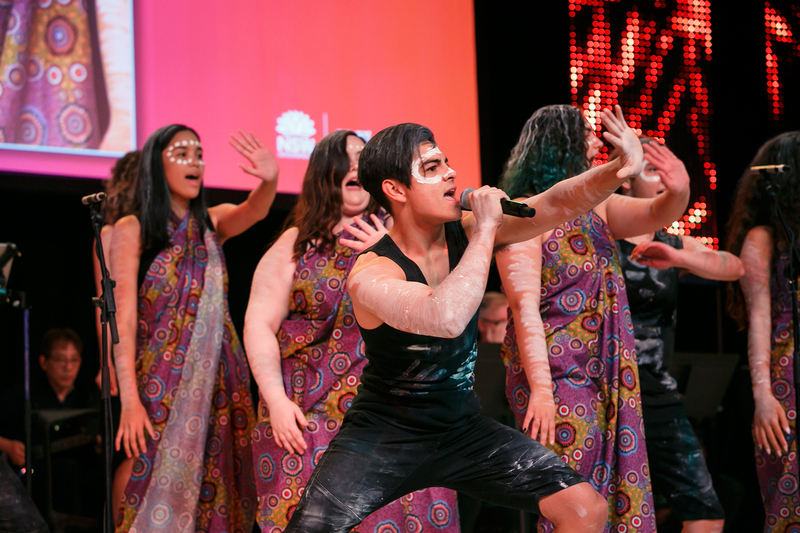 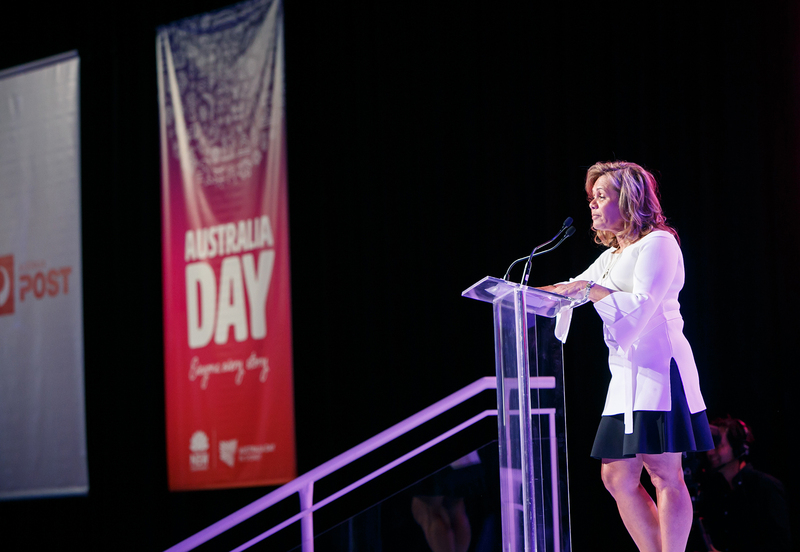 Casey Ralph from KARI reminded us of the importance of keeping Aboriginal cultures strong, and the Premier reflected on the way Australia’s national identity continues to evolve and move forward. 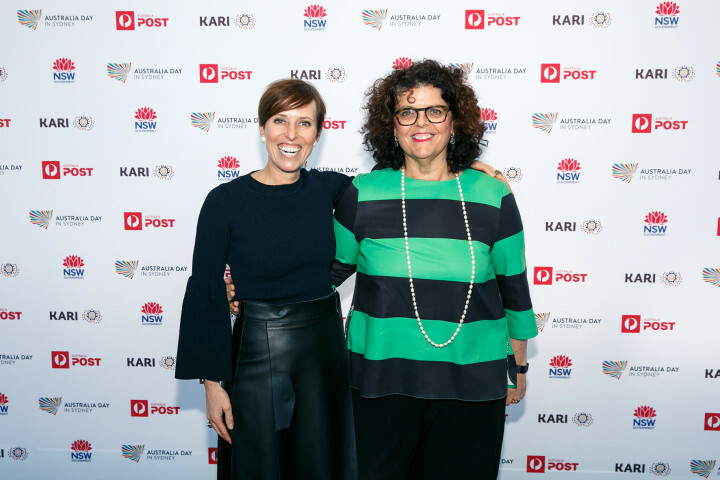 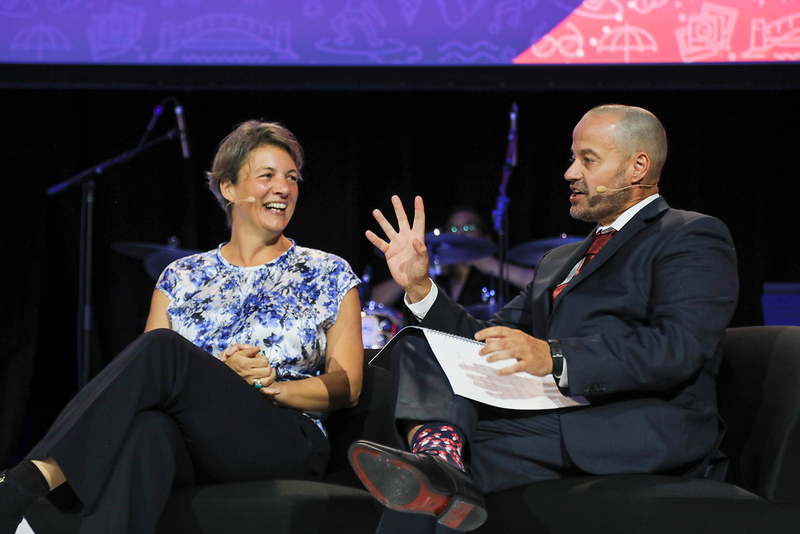 Professor Michelle Simmons spoke of her passion for encouraging a love of science among young people, while, in the Australia Post Legends segment, we reflected on children as the future of our country, and the important role authors play as custodians of their hopes and dreams. 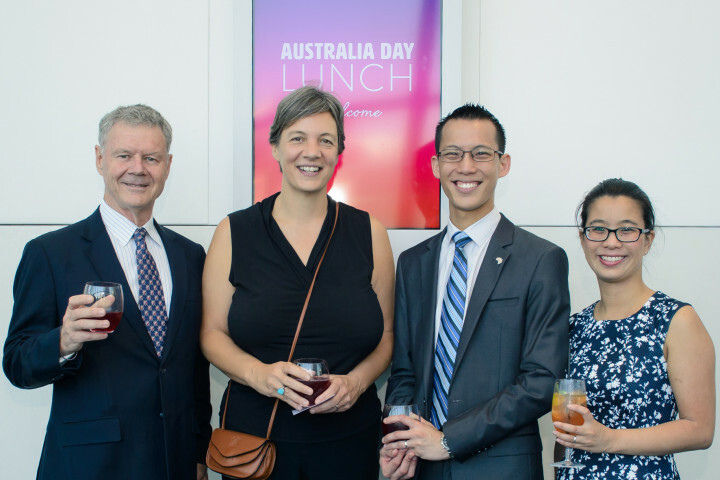 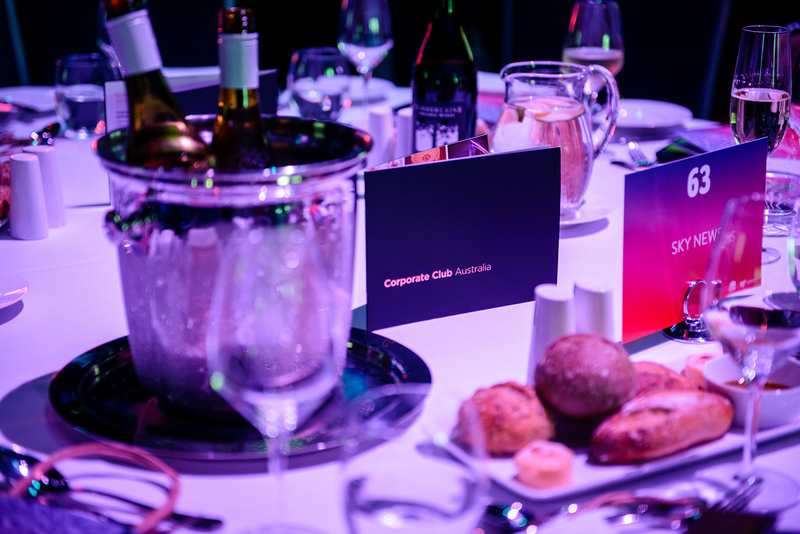 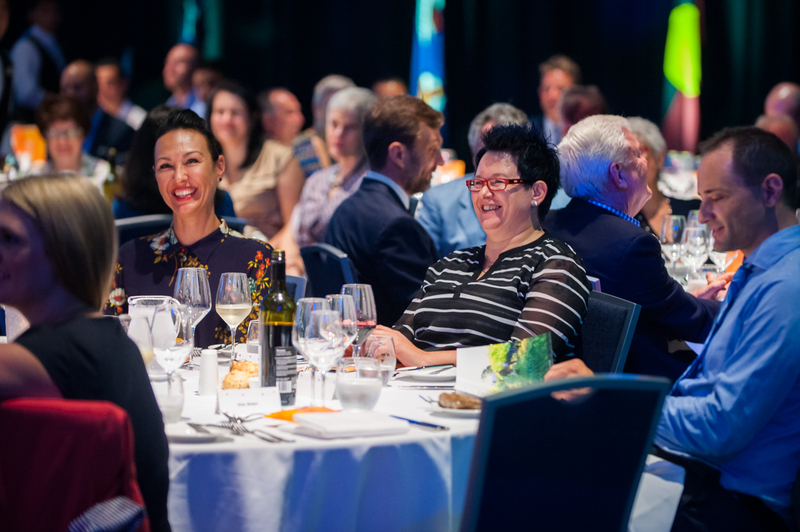 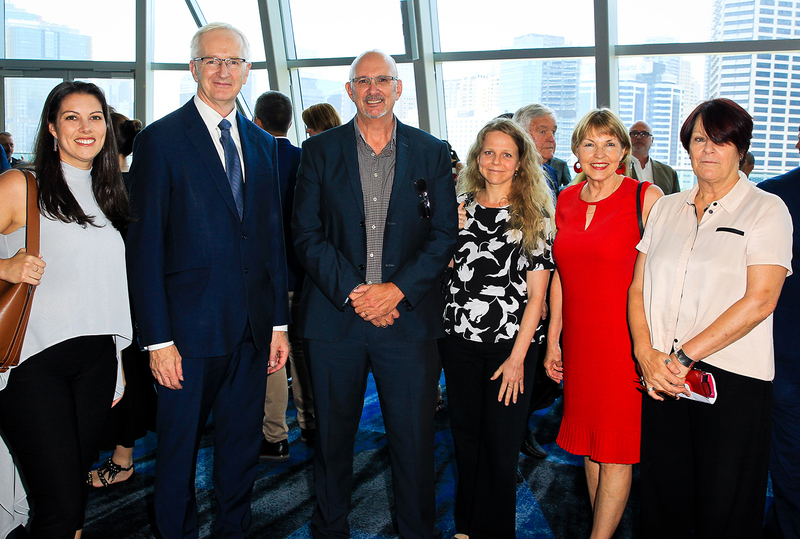 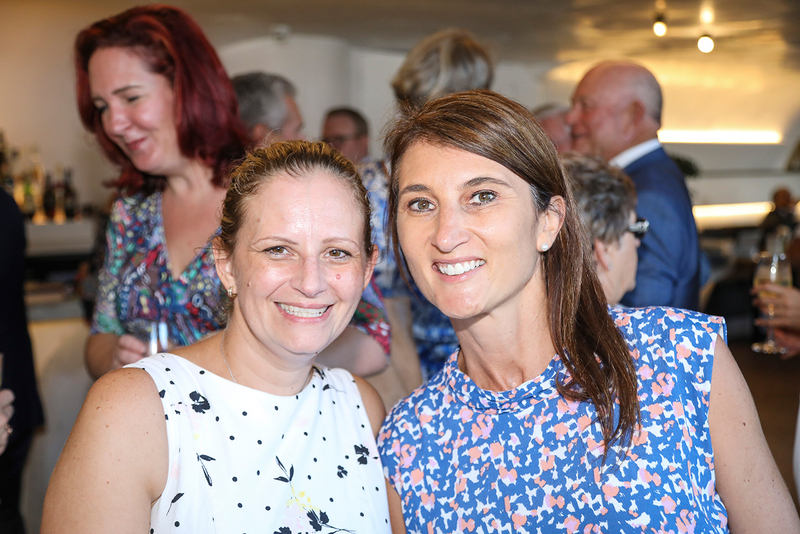 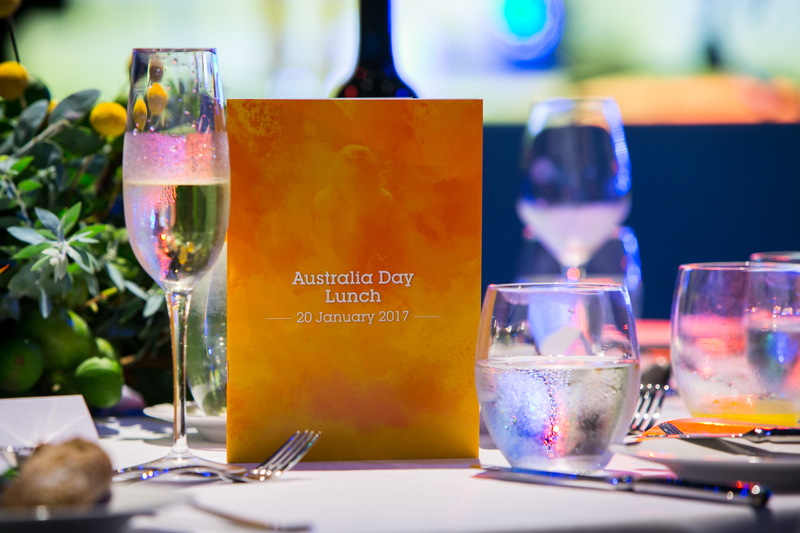 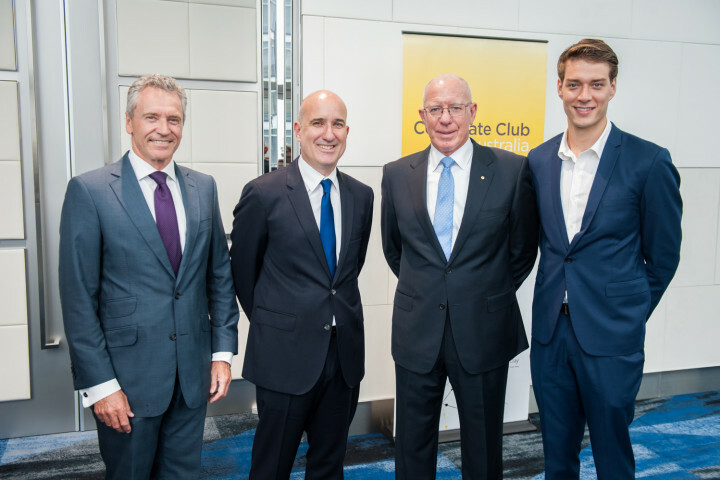 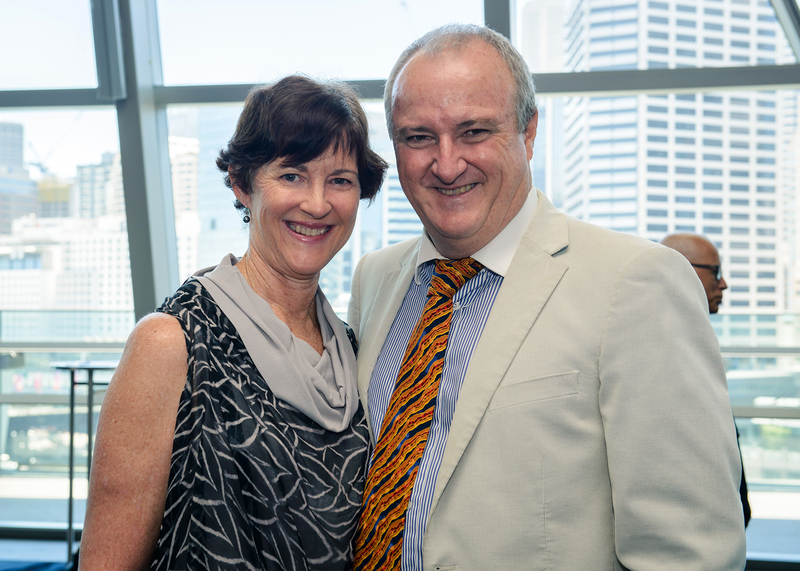 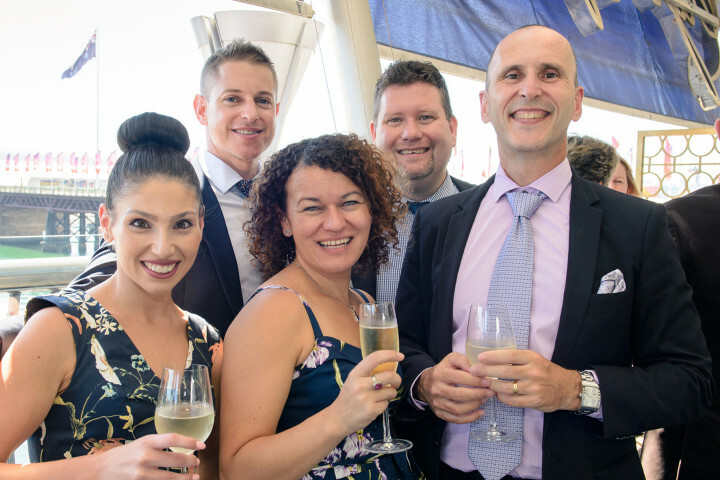 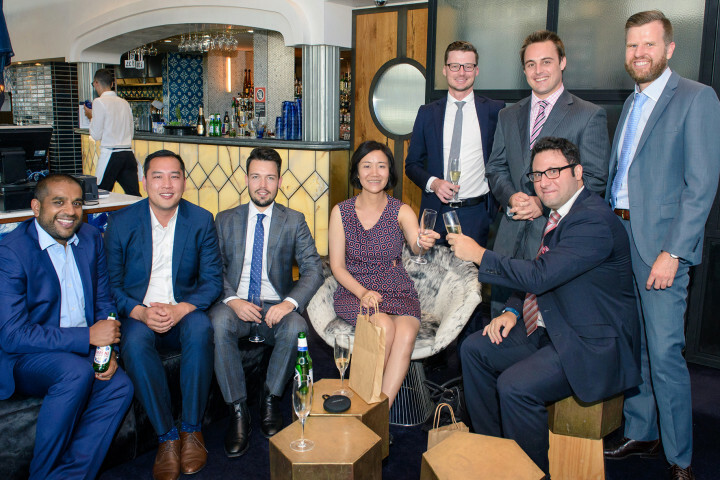 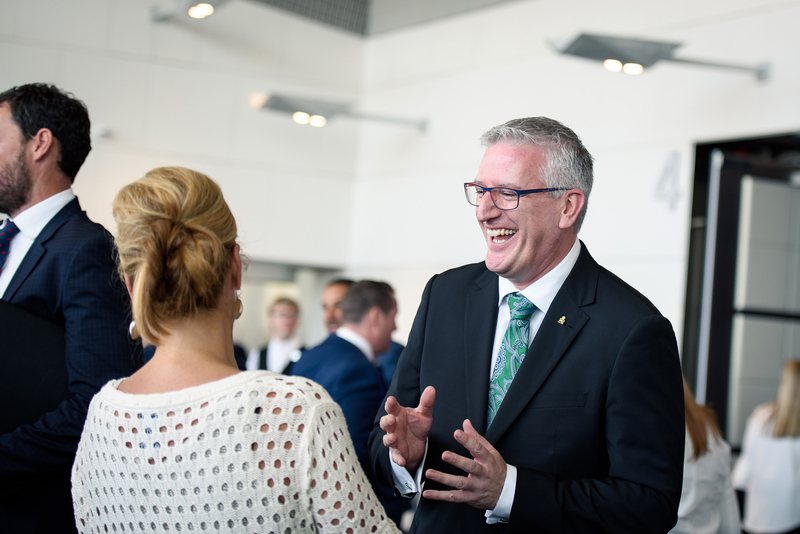 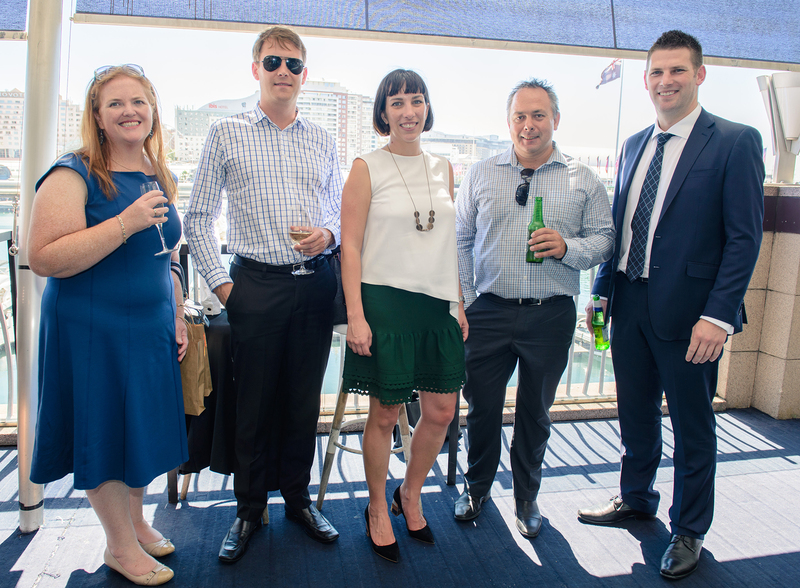 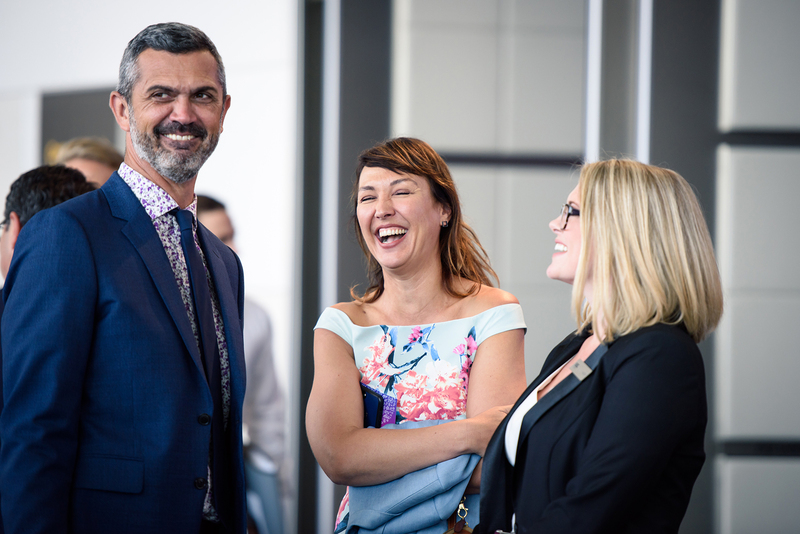 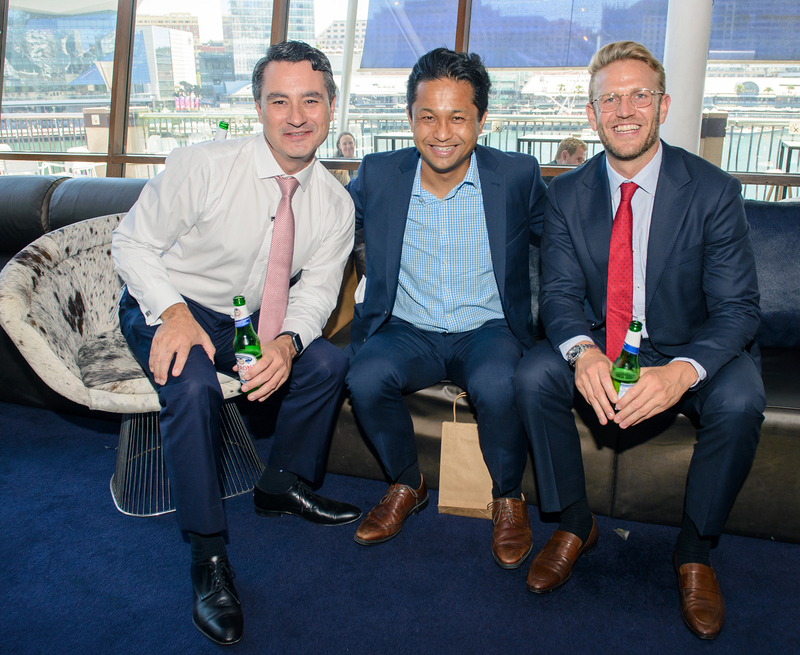 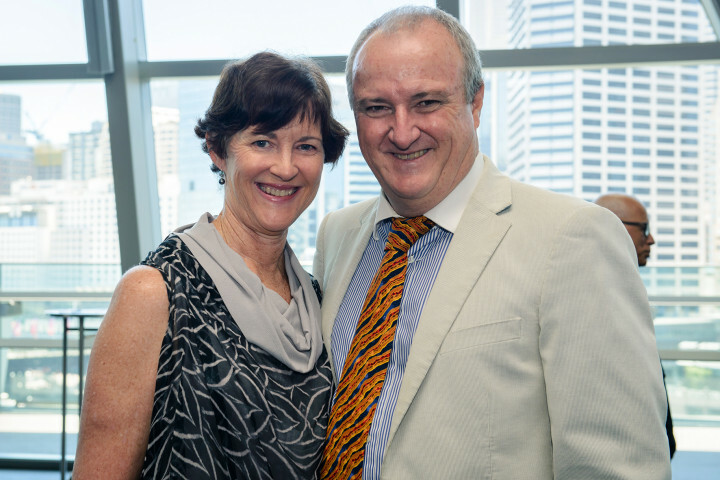 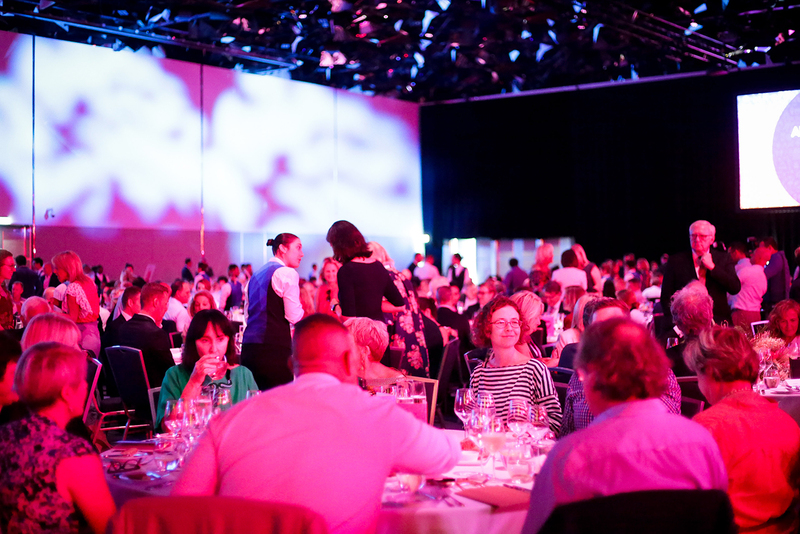 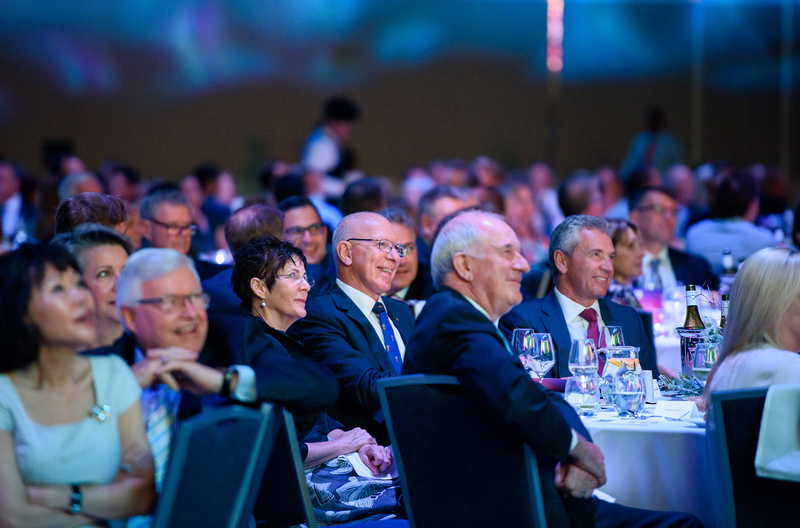 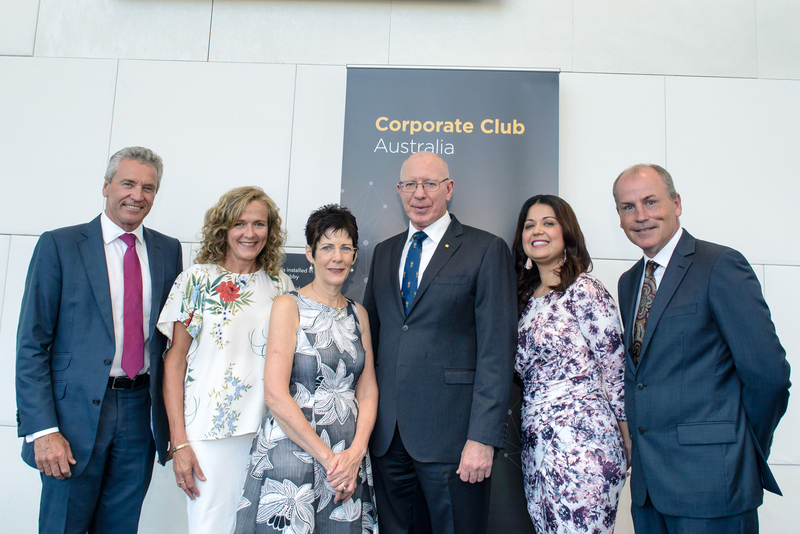 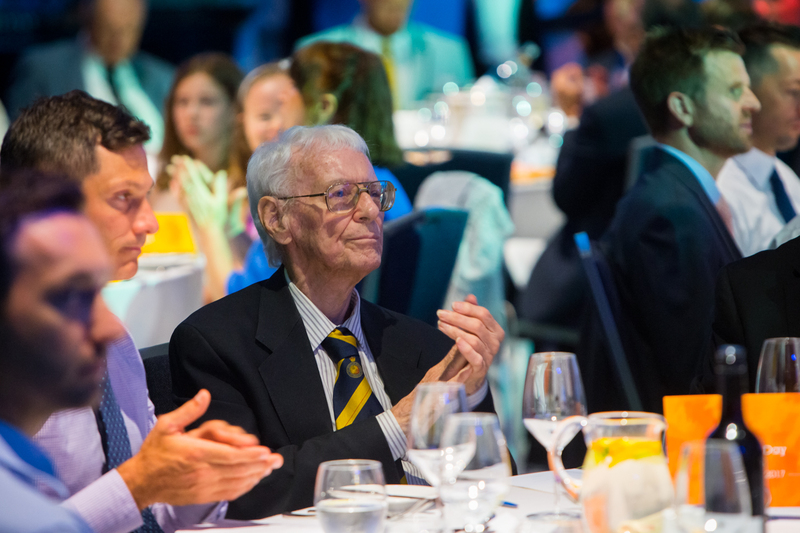 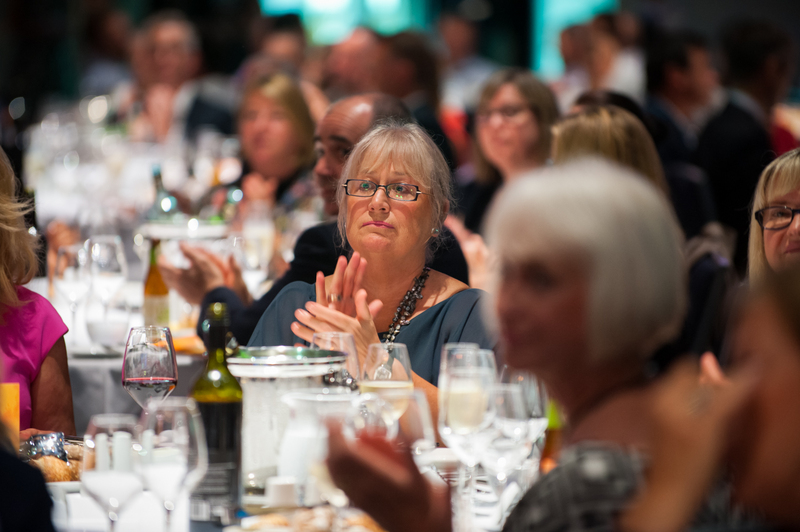 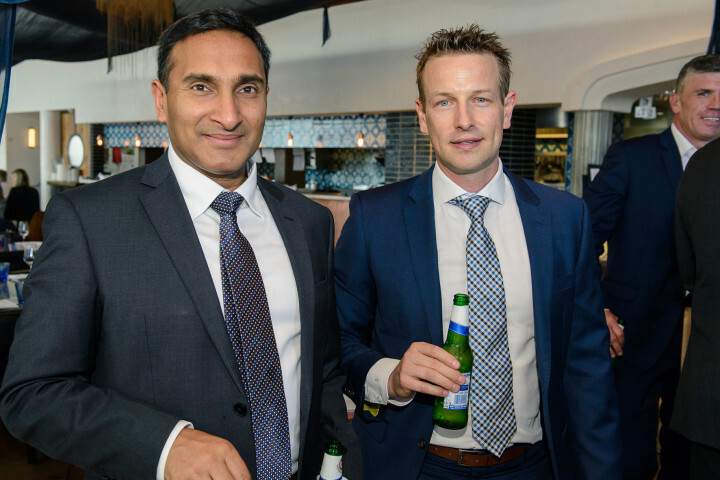 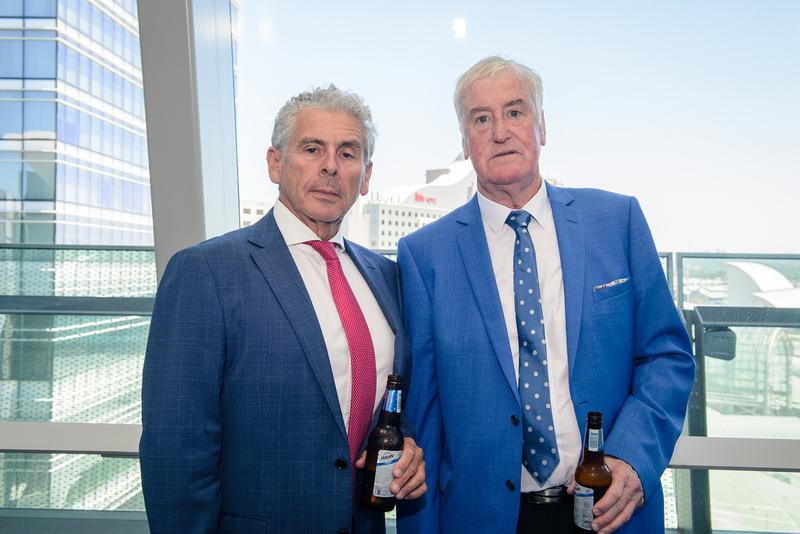 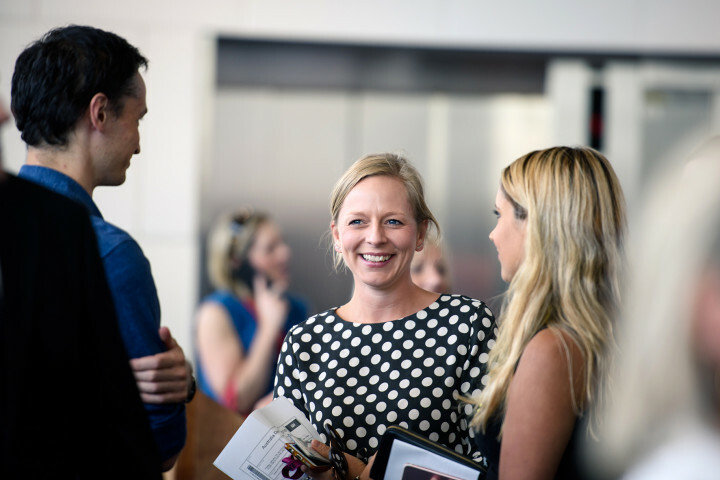 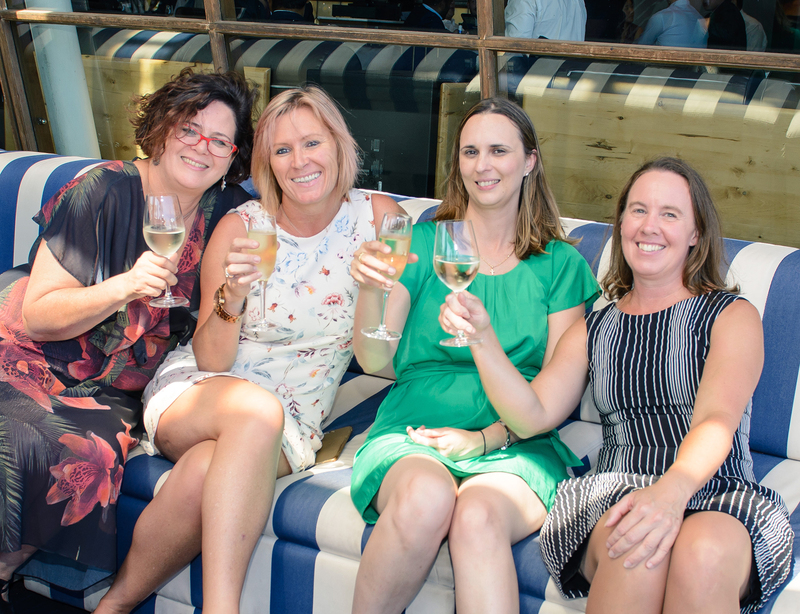 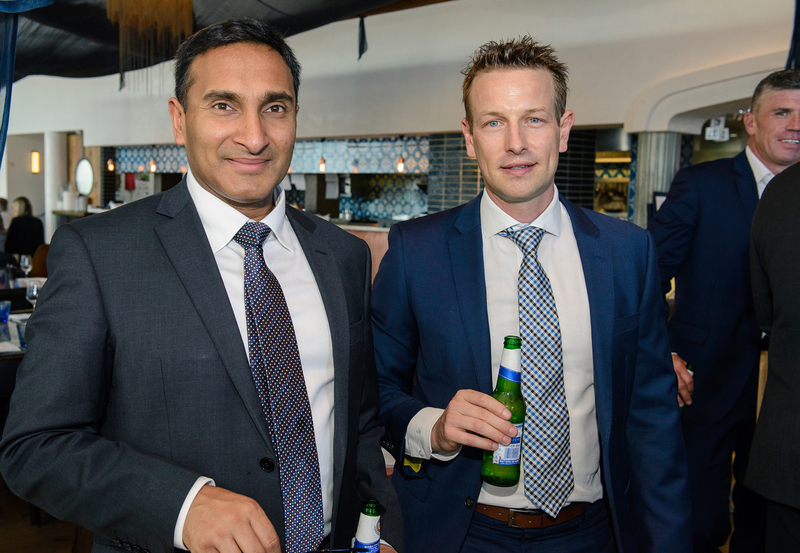 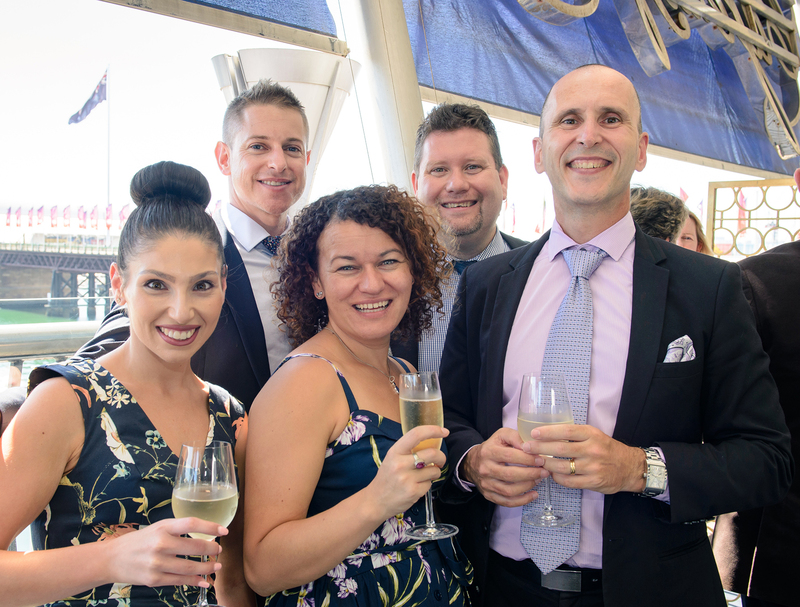 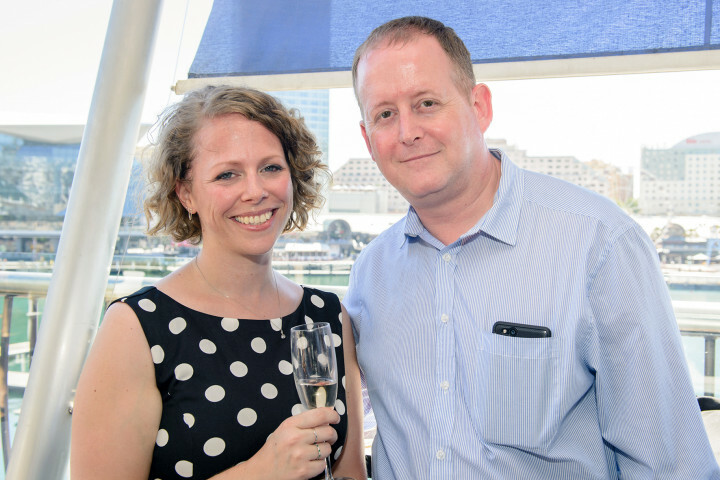 Corporate Club Australia thanks it members and their guests for attending the 2019 Australia Day Lunch.